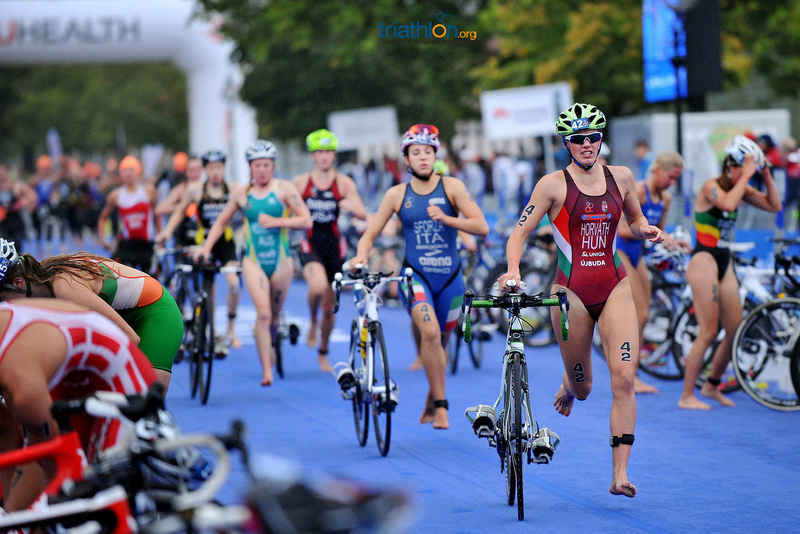 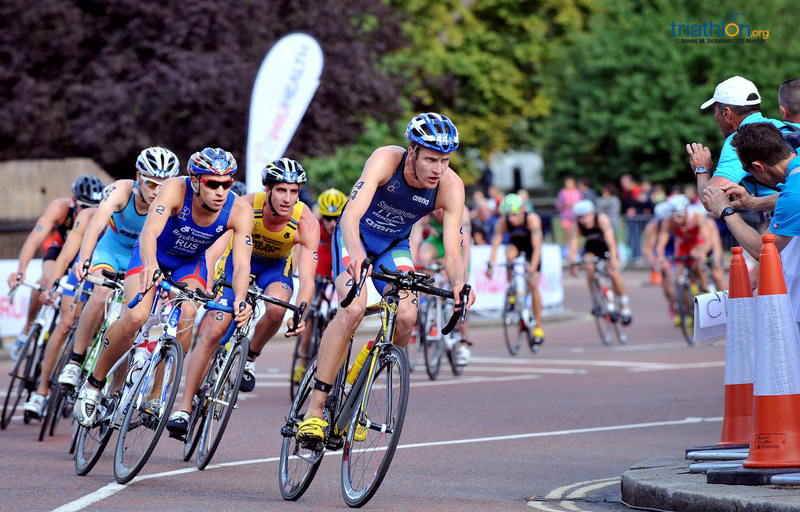 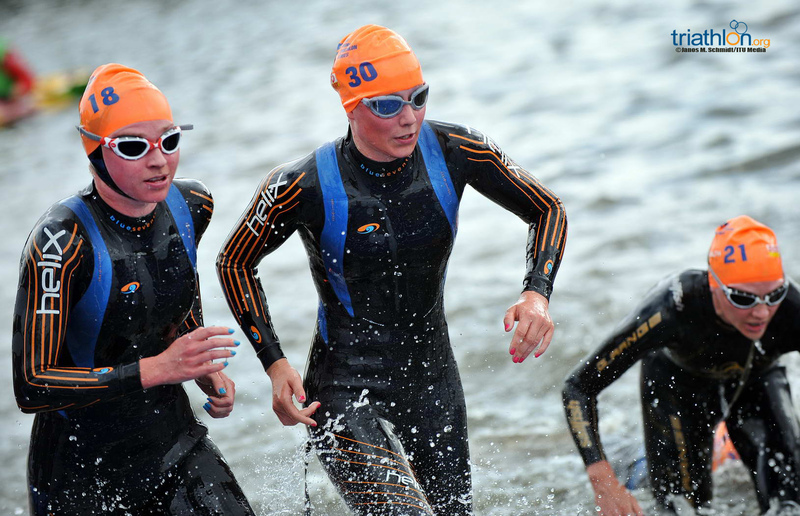 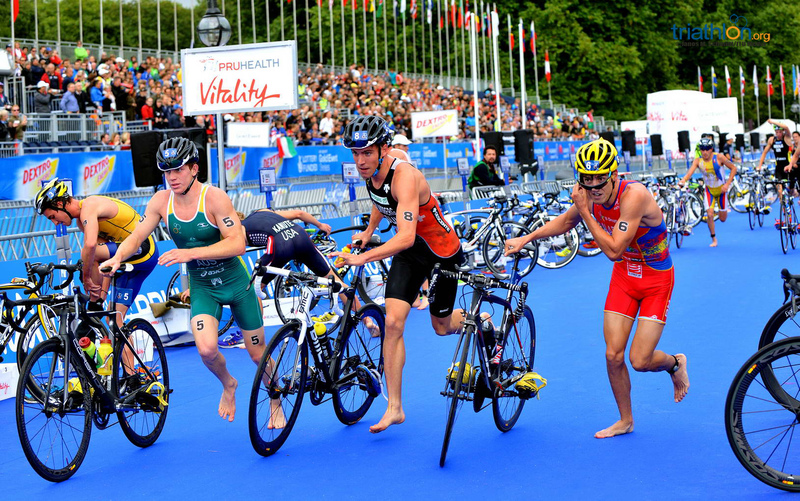 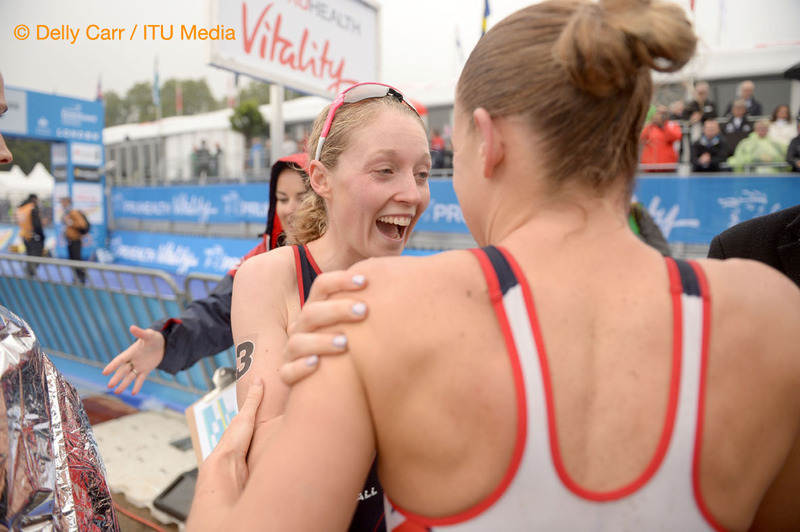 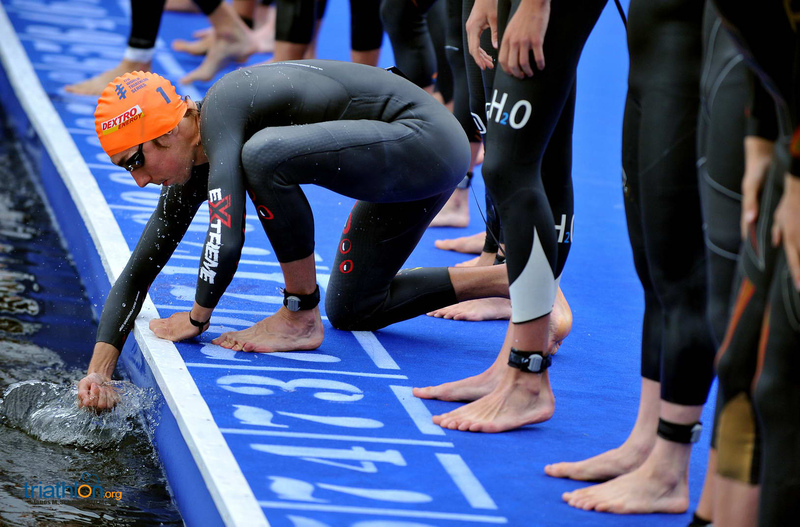 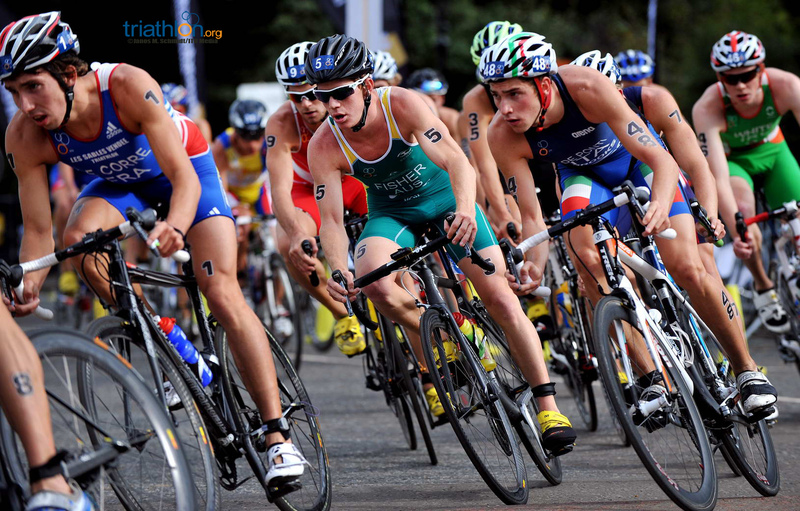 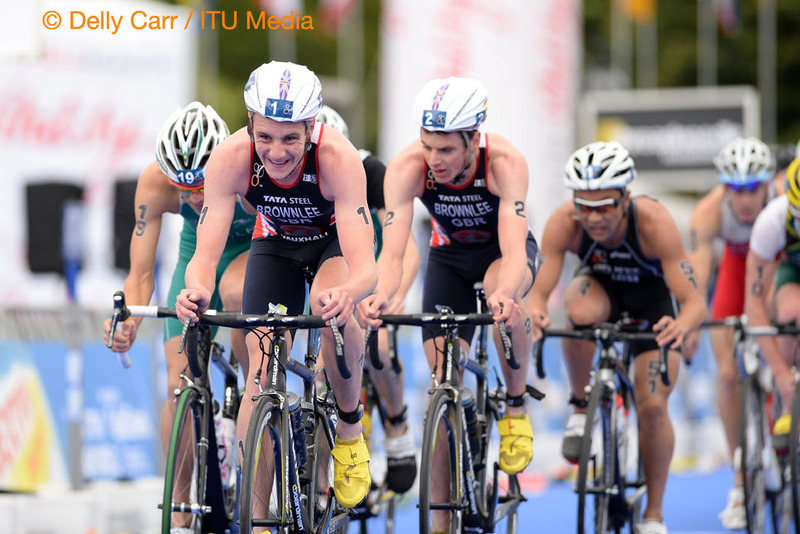 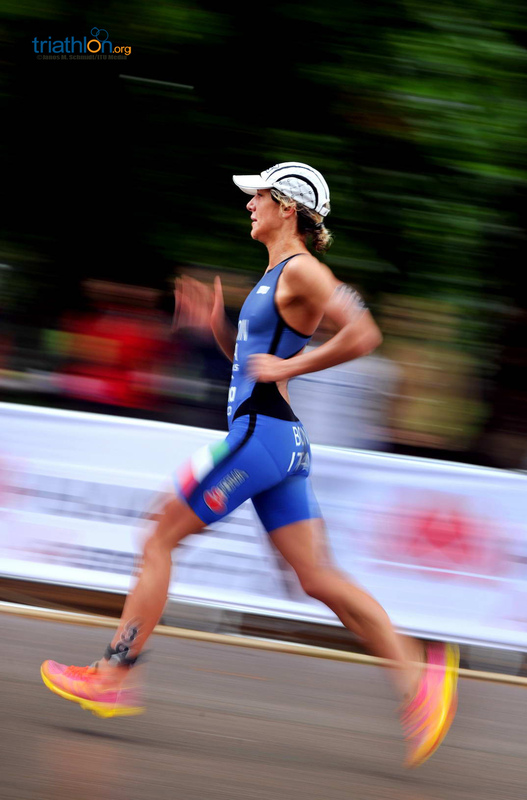 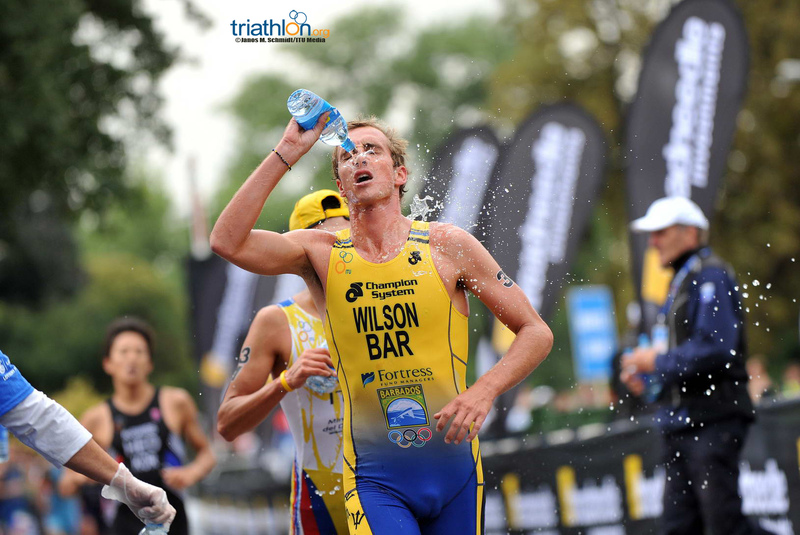 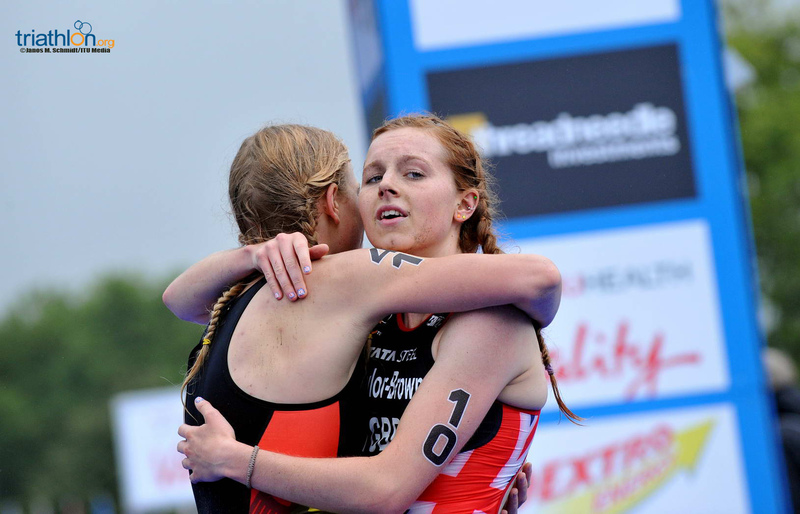 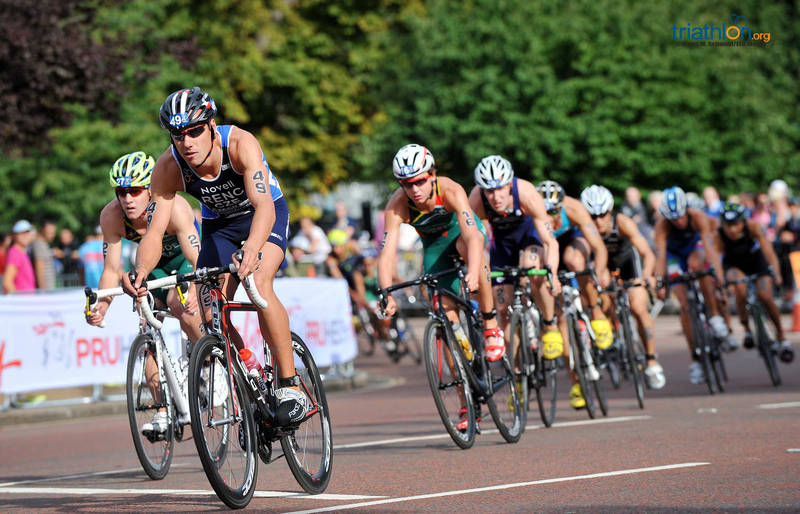 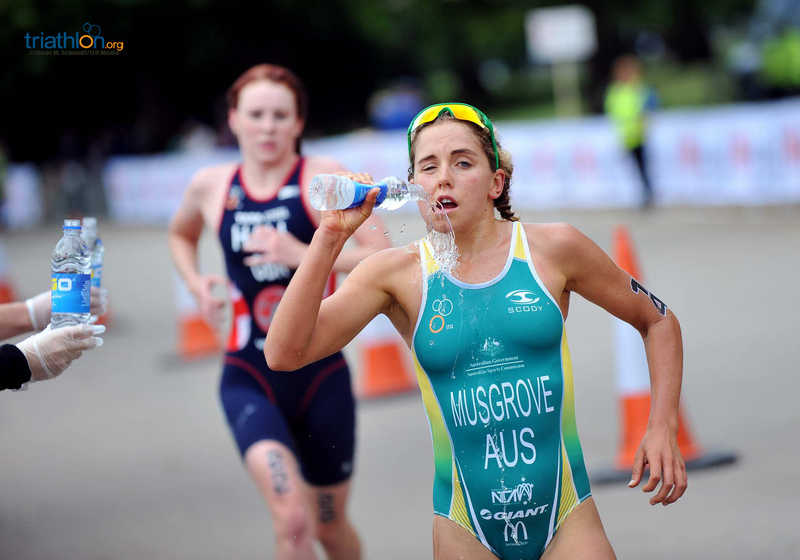 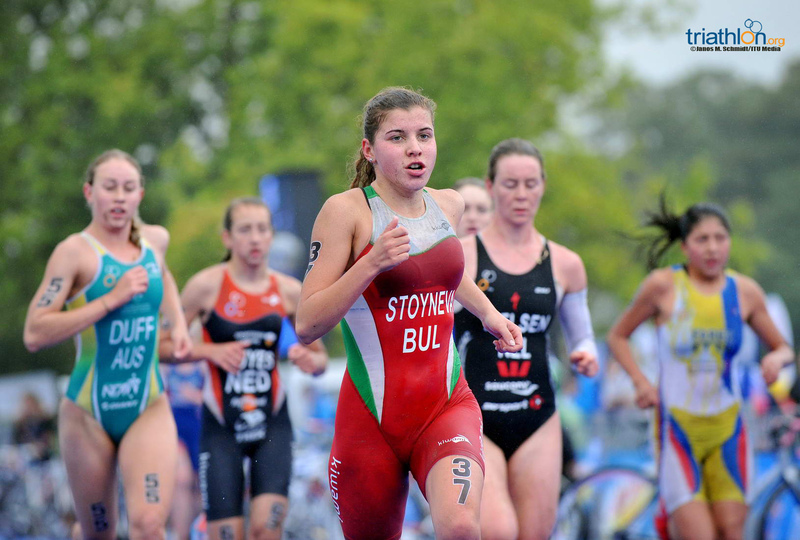 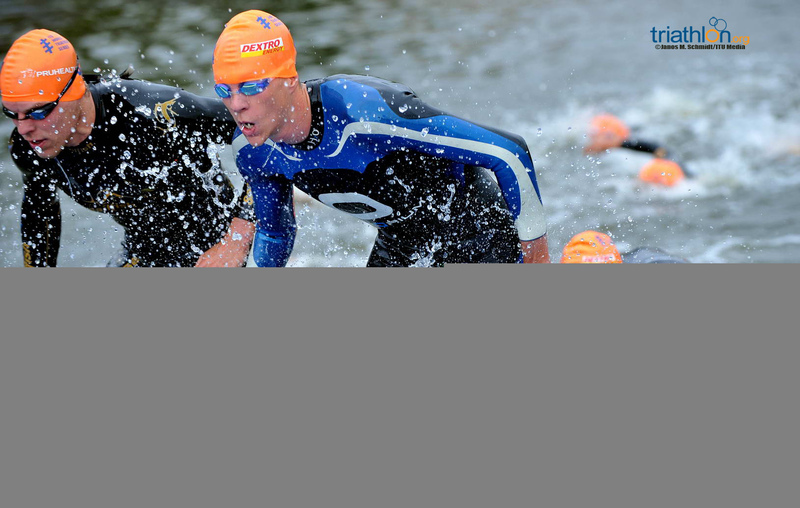 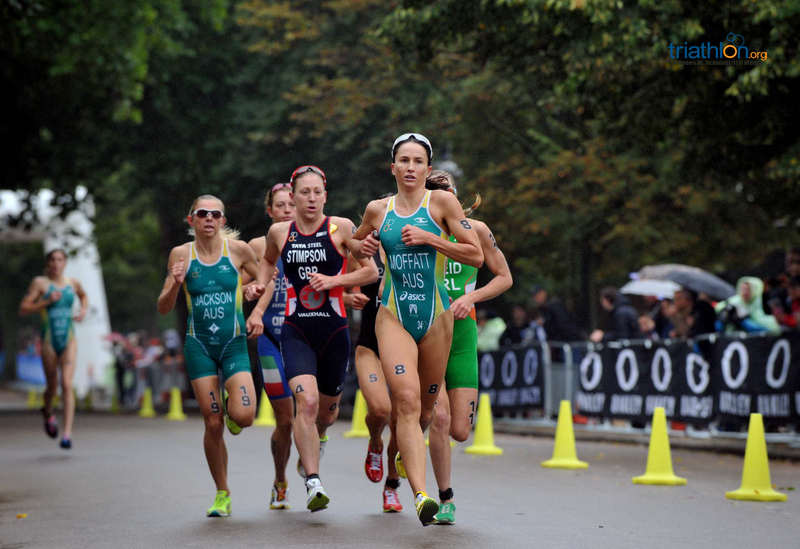 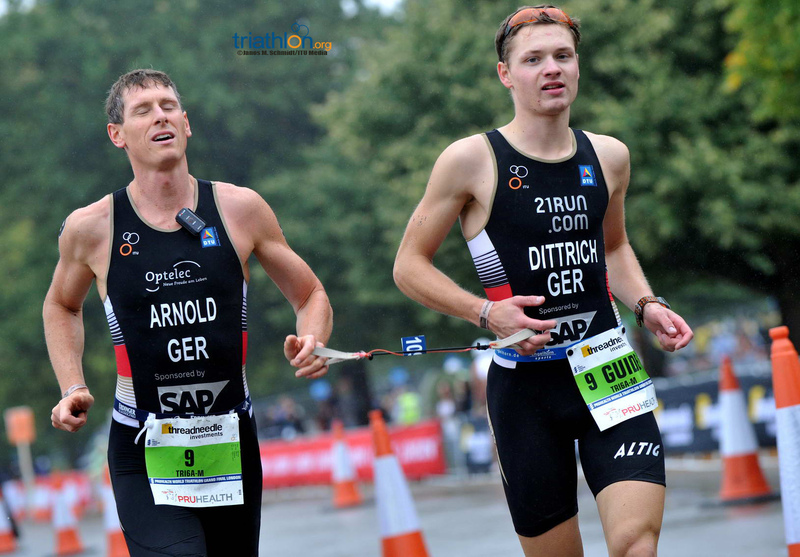 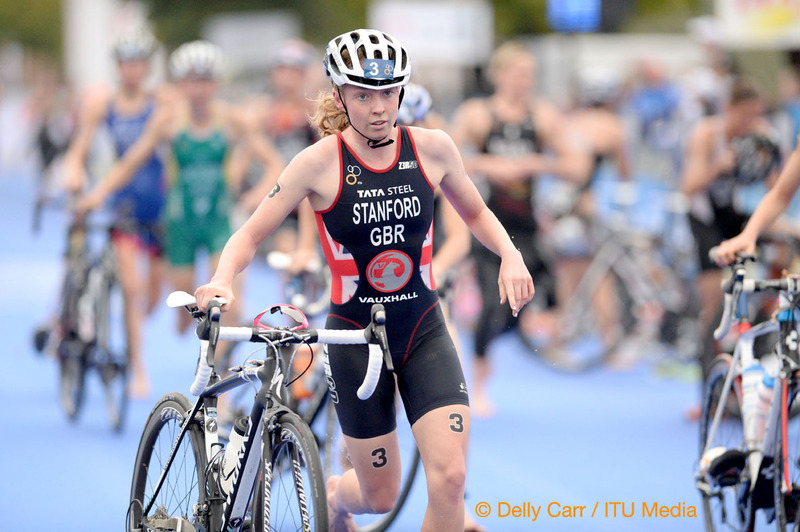 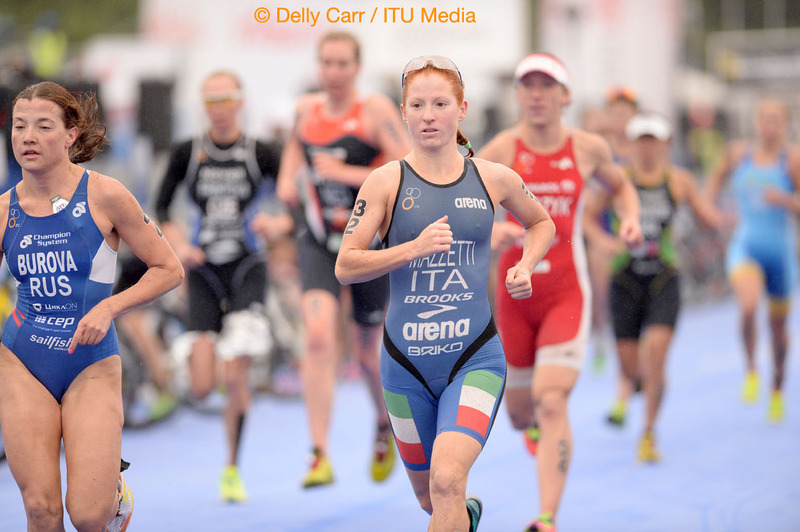 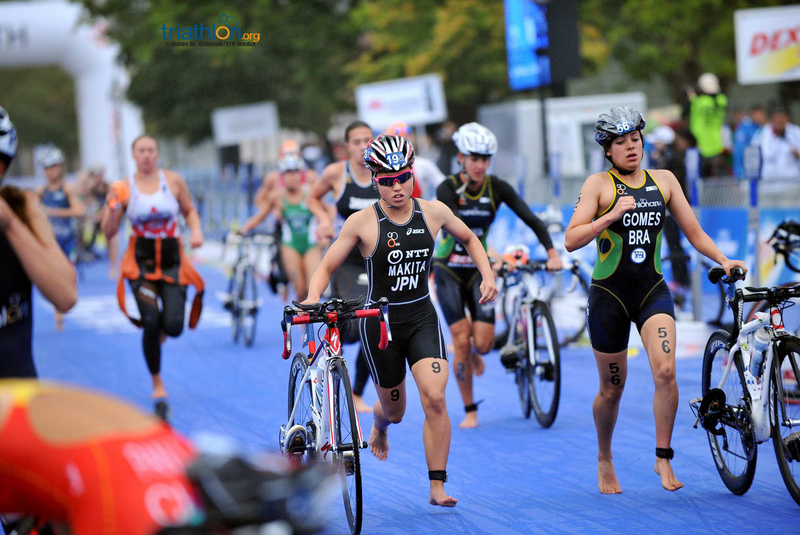 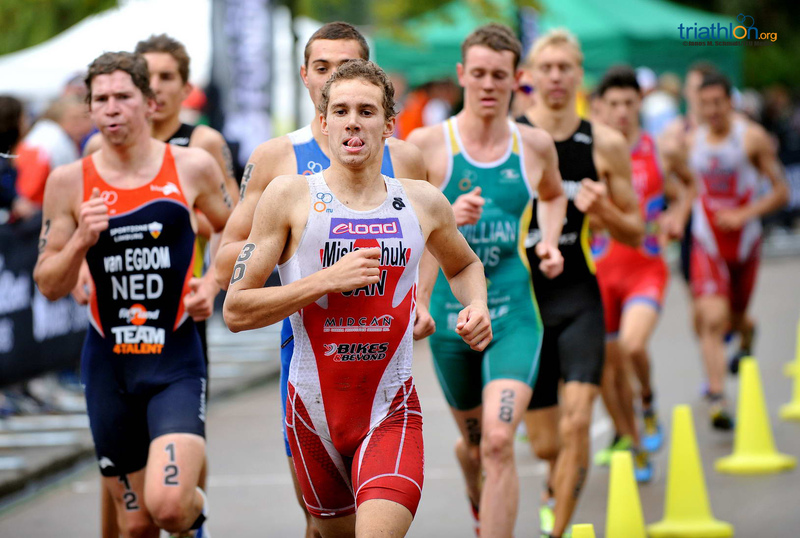 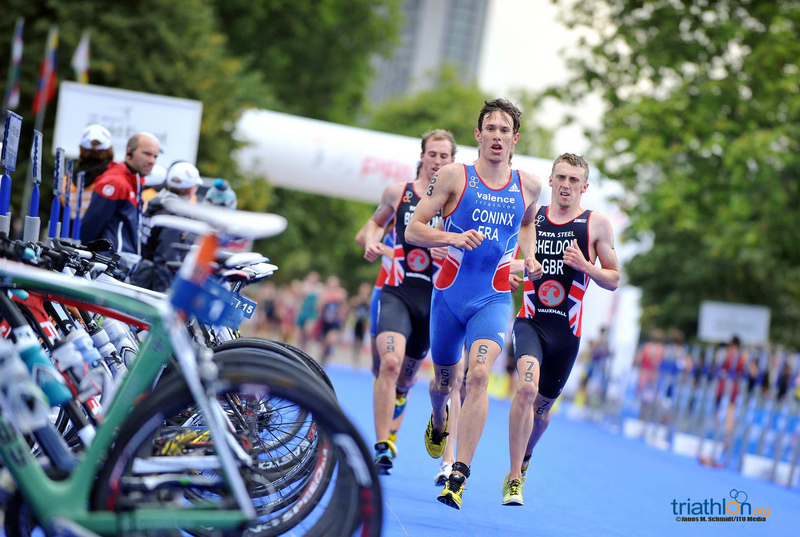 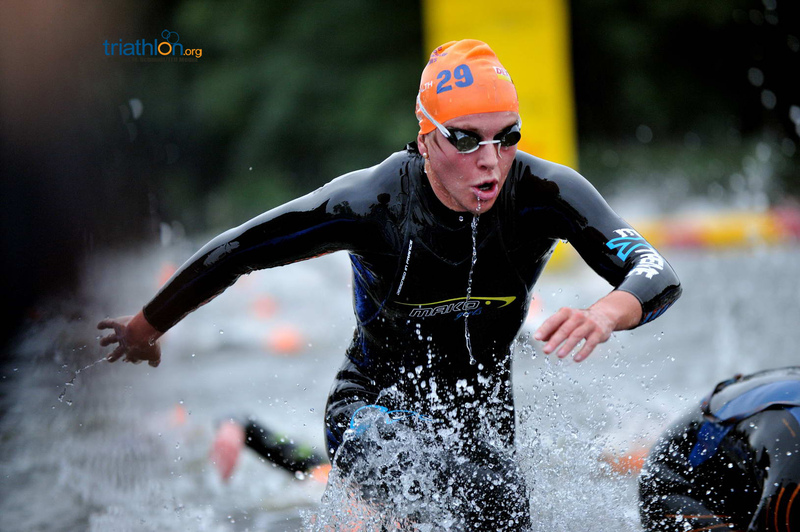 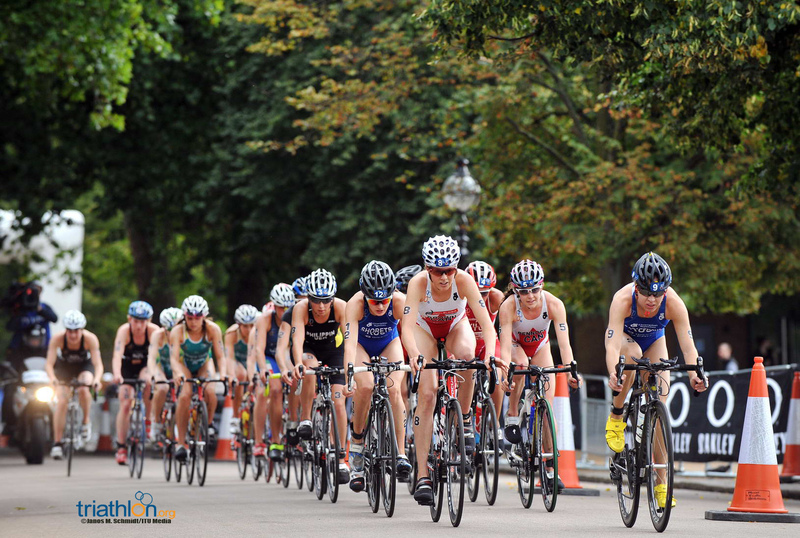 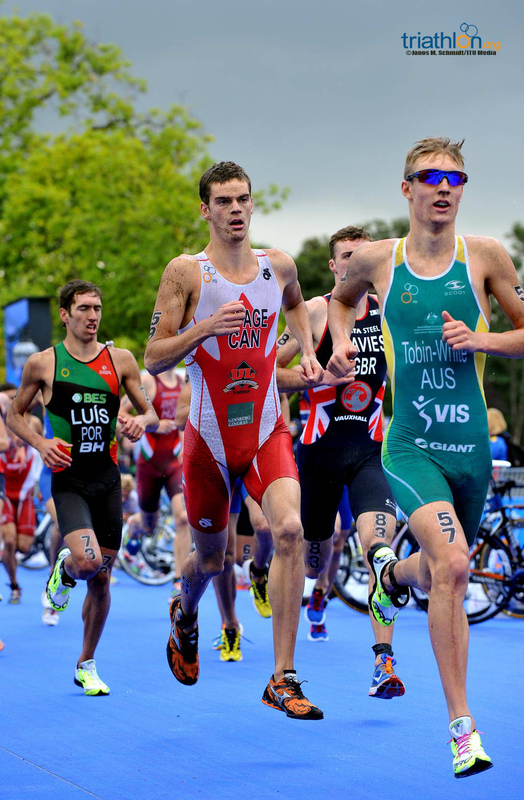 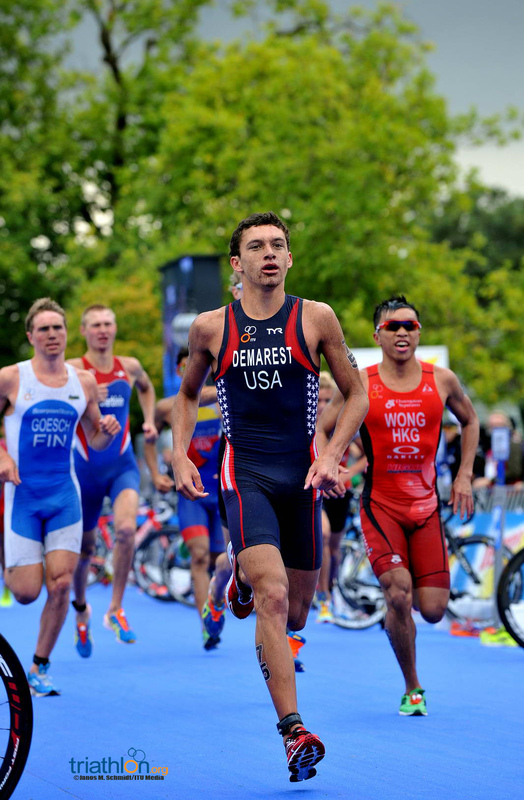 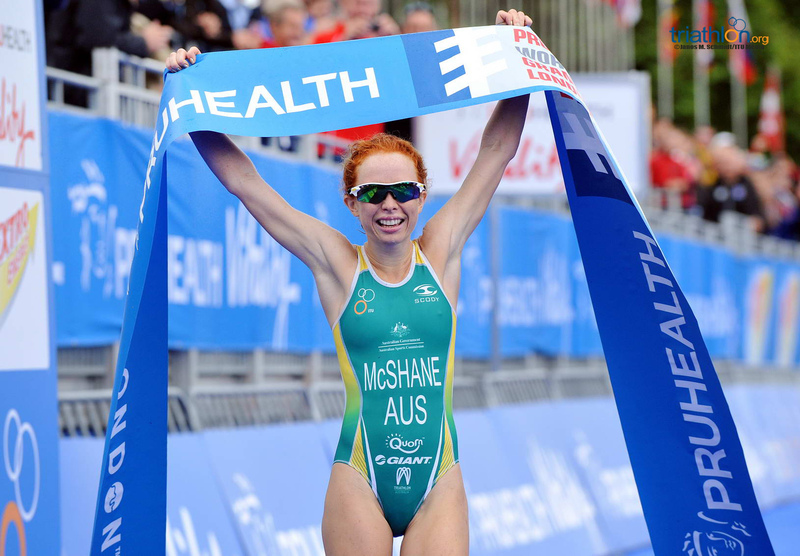 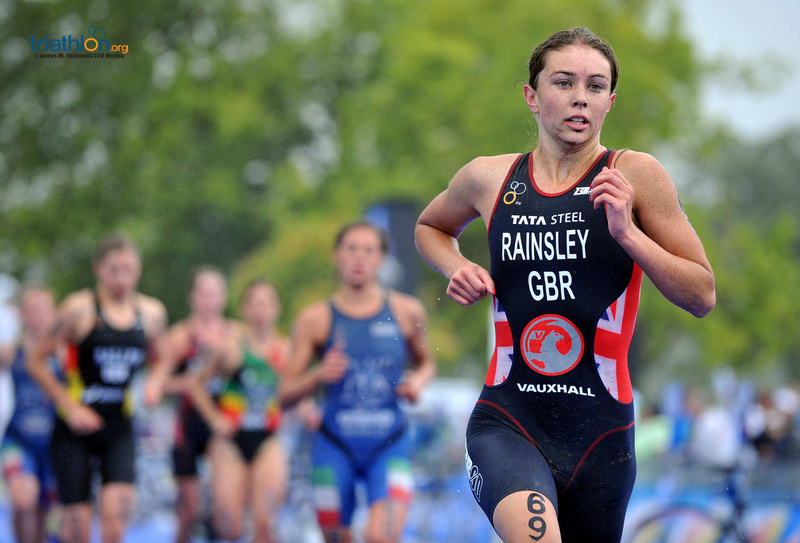 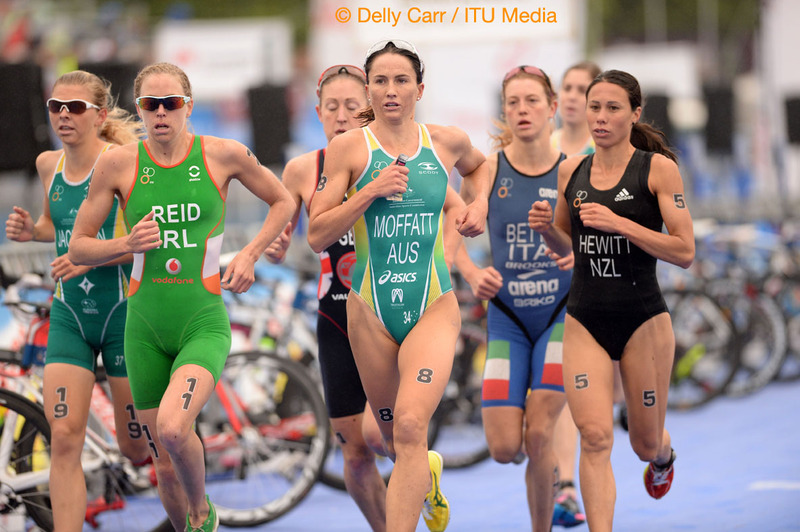 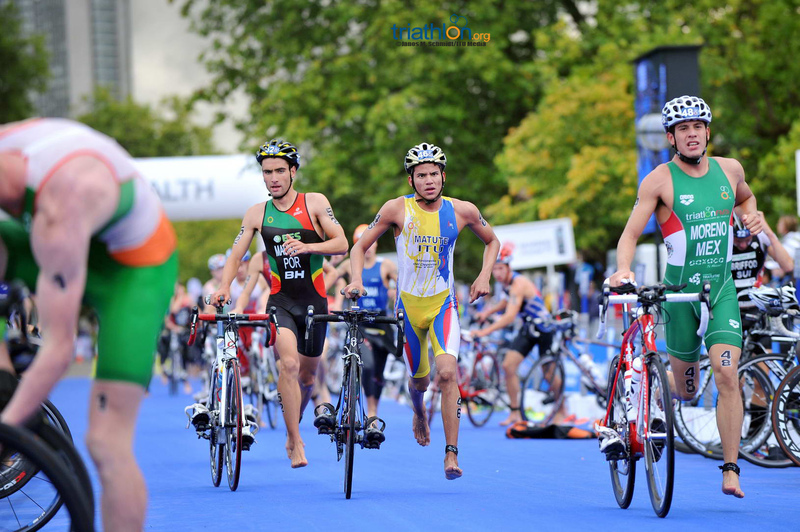 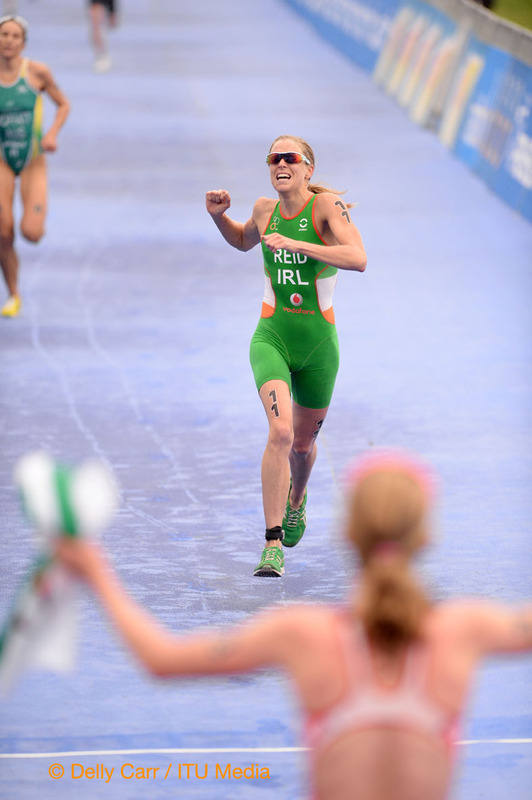 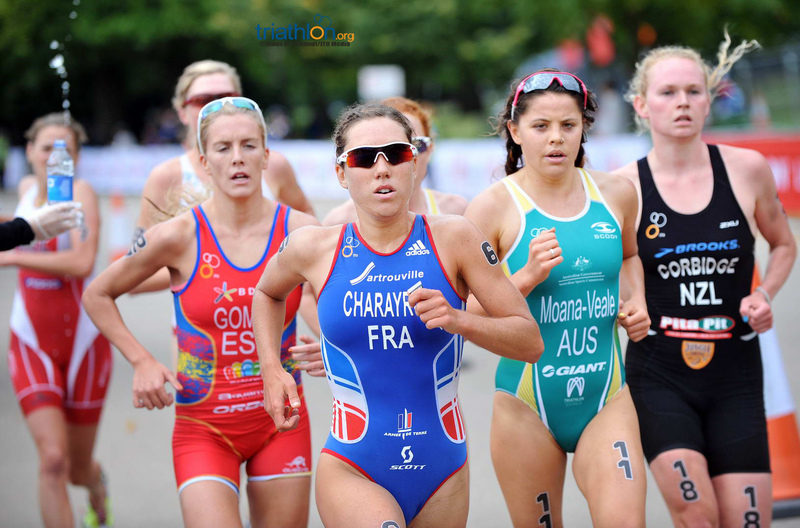 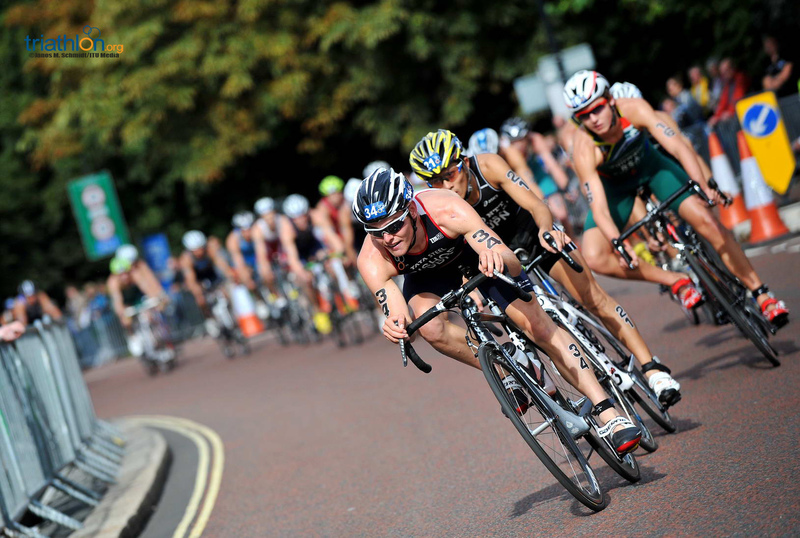 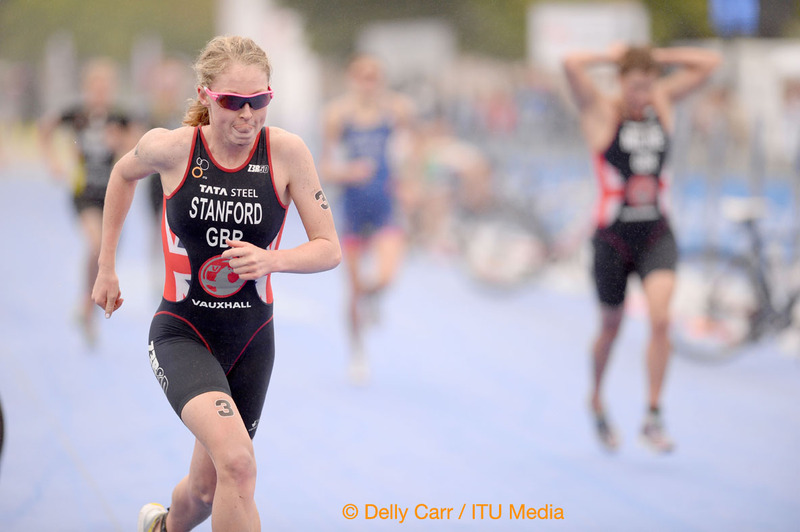 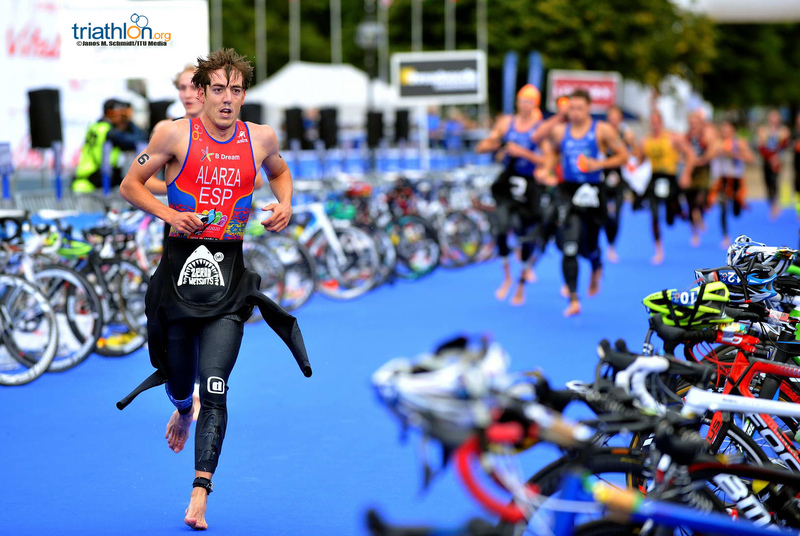 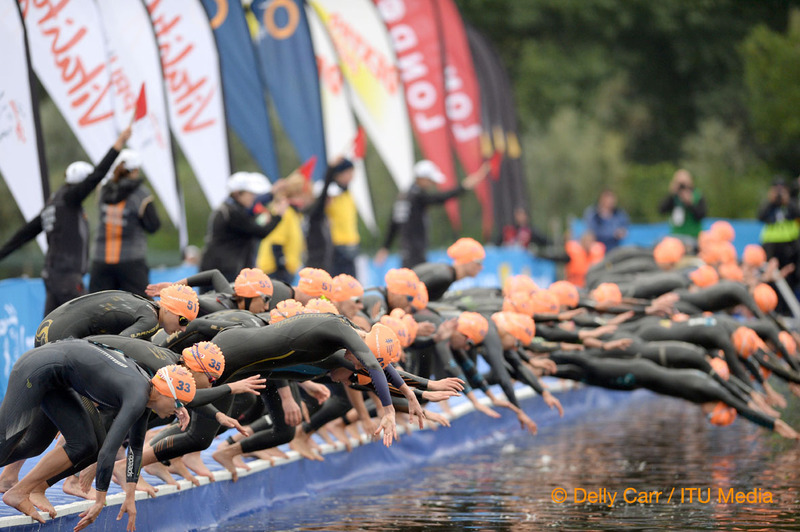 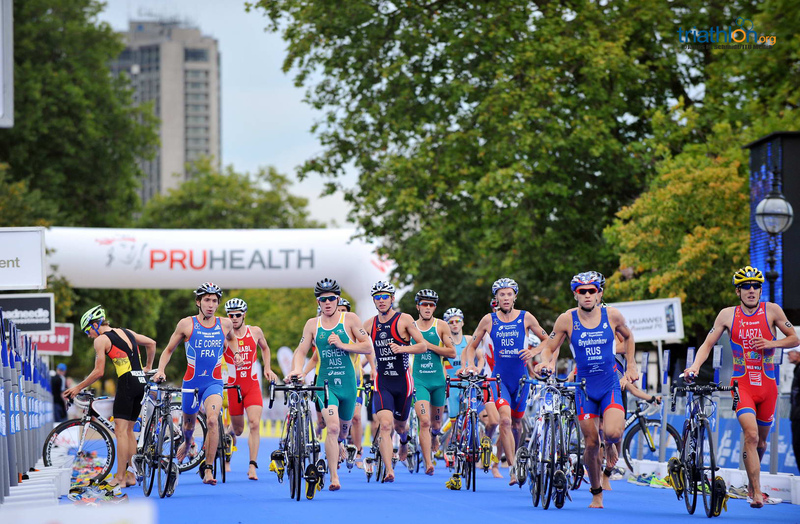 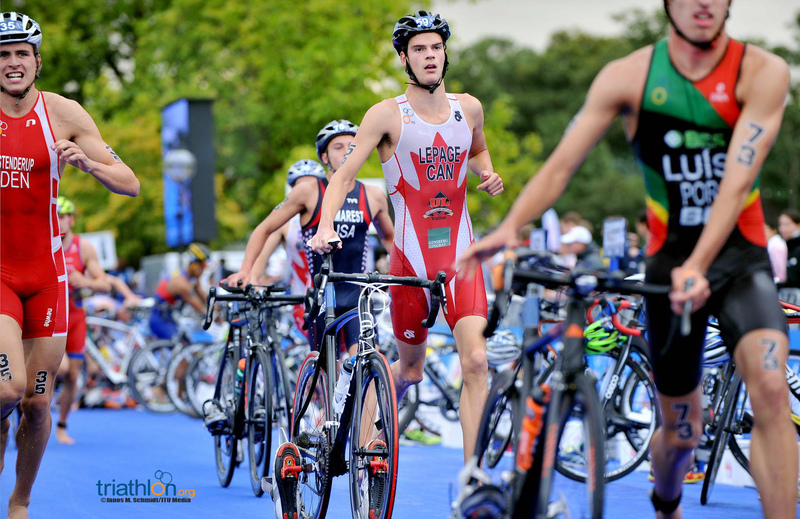 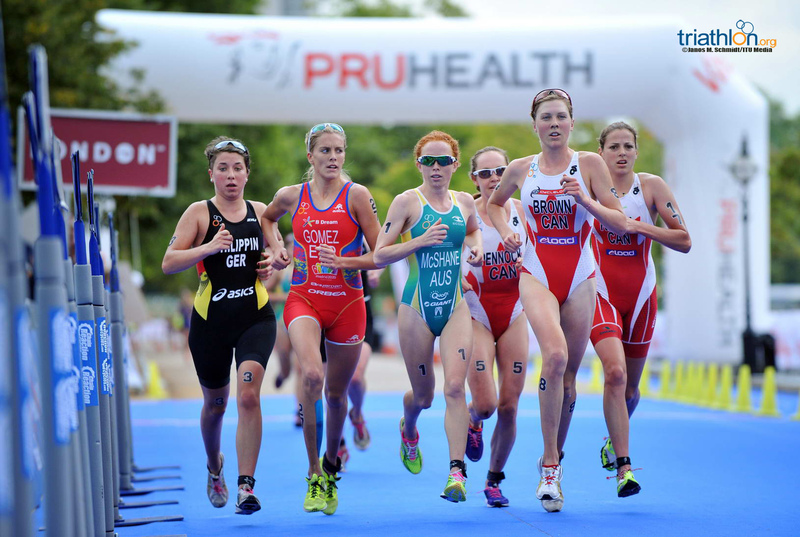 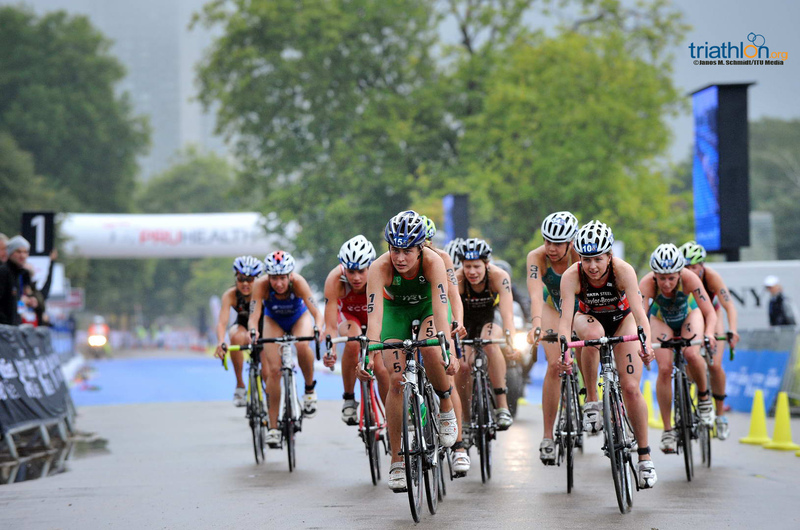 The Junior races will not only kick off a loaded day of action on Thursday, but also marks the start of World Championship triathlon races at the 2013 PruHealth World Triathlon Grand Final. 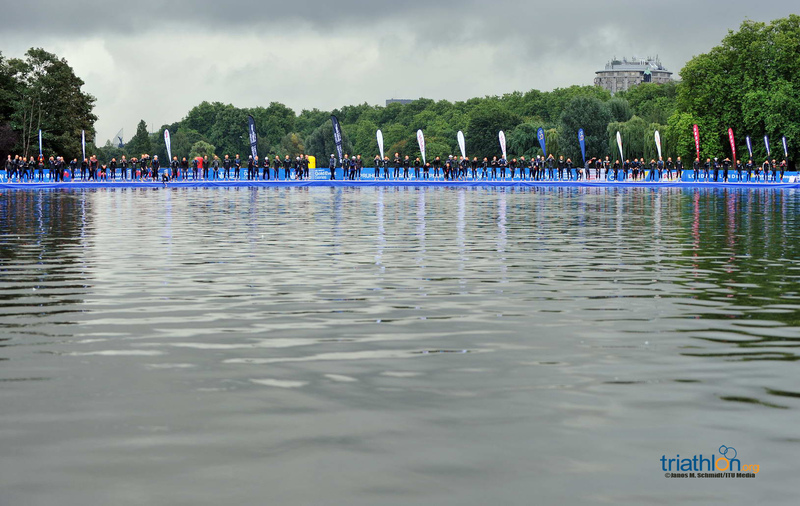 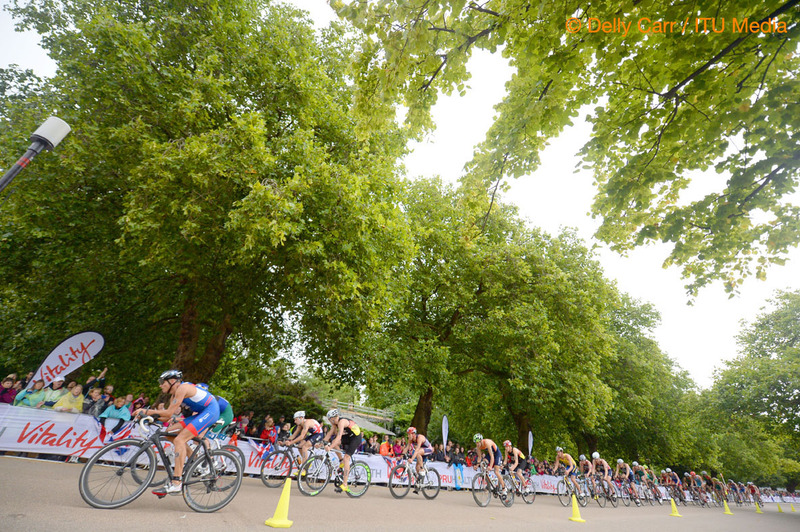 The women are on center stage at the Serpentine first, followed by the Junior men and the U23 races. 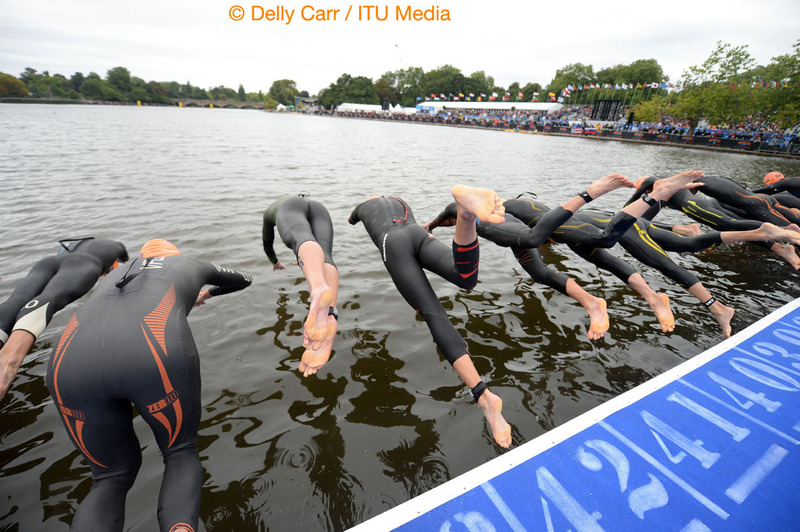 Here’s how we think the Junior races will play out over the sprint 750m swim, 20km bike and 5km run. 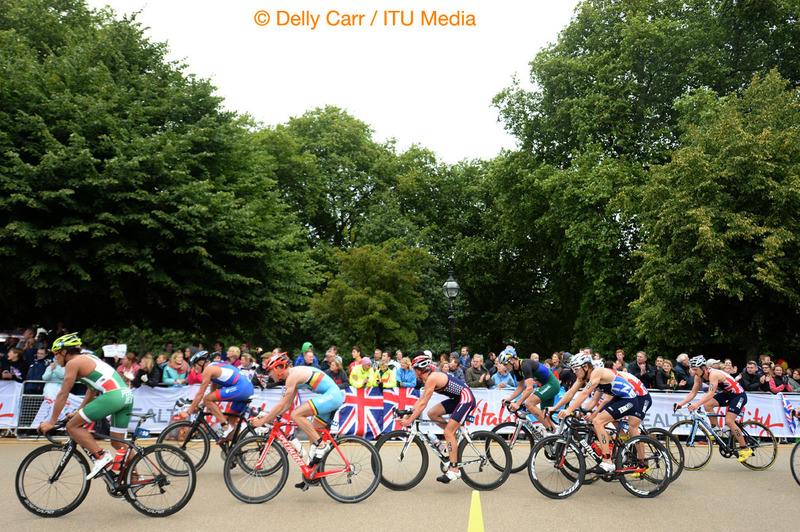 The Junior women’s race is like dejavu all over again. 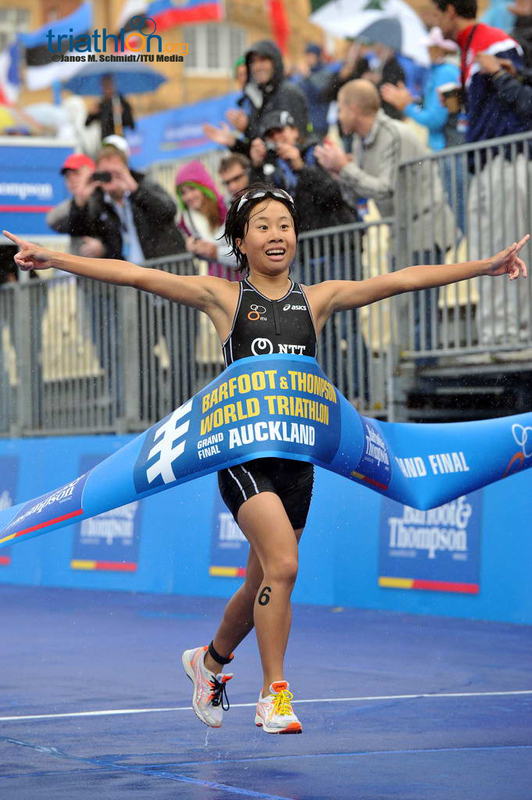 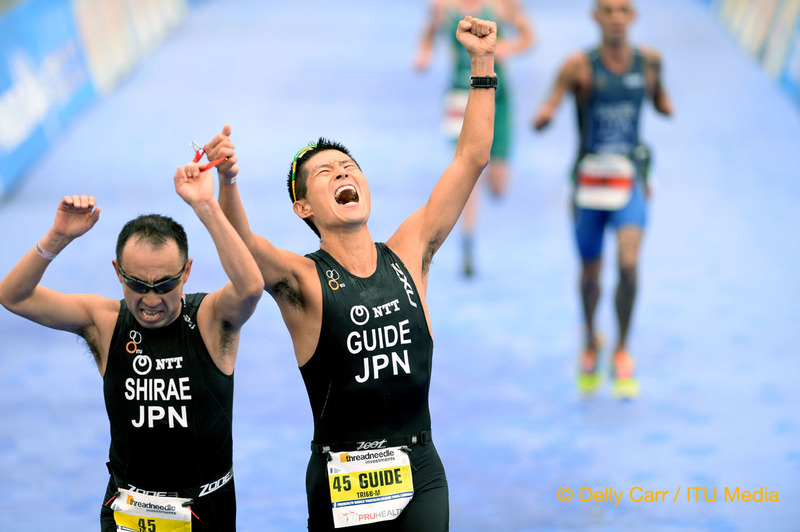 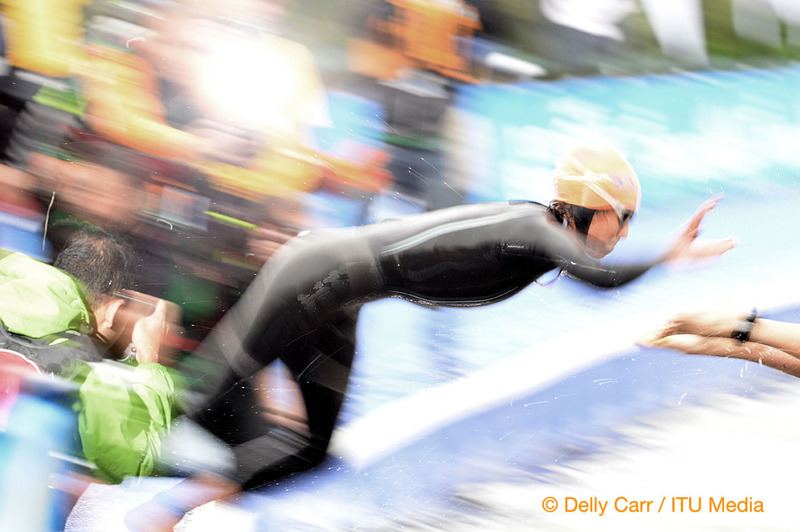 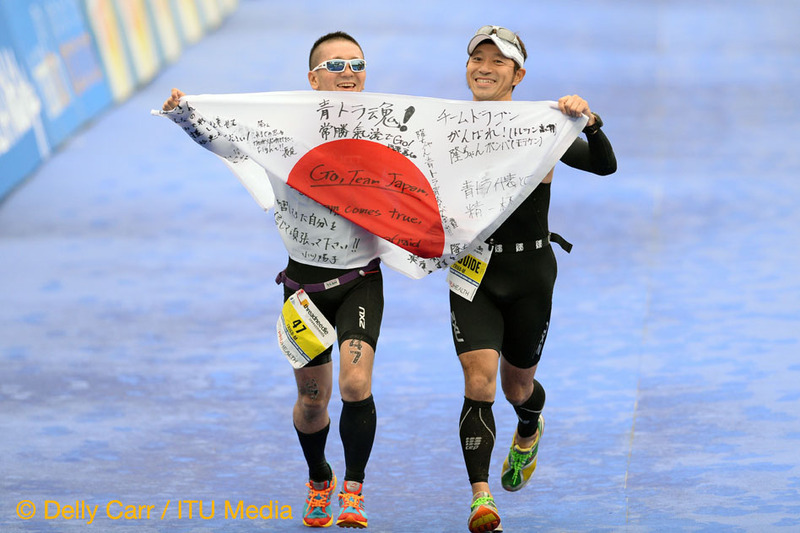 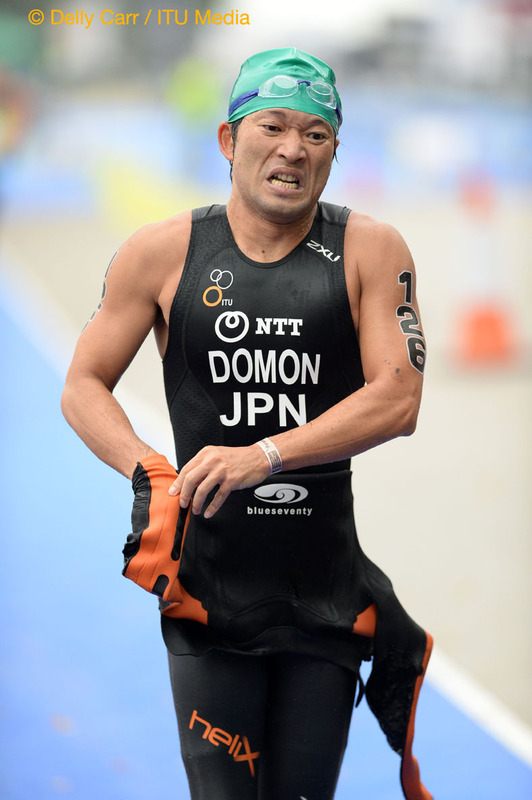 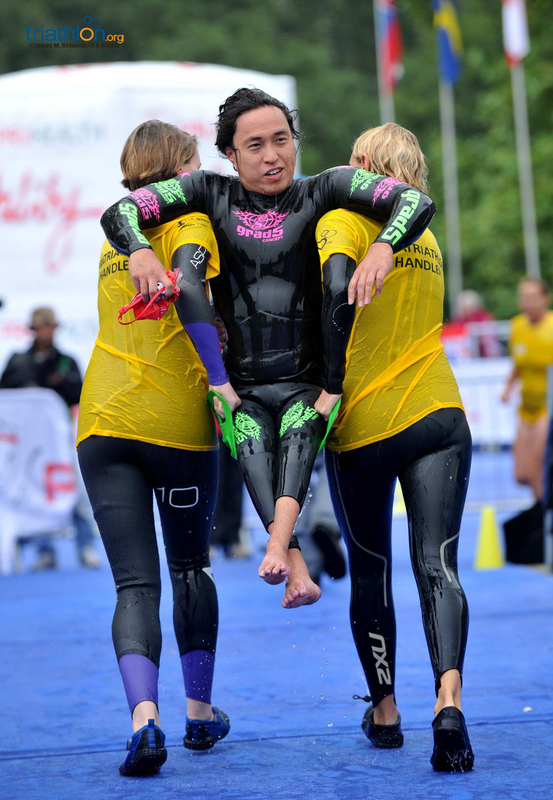 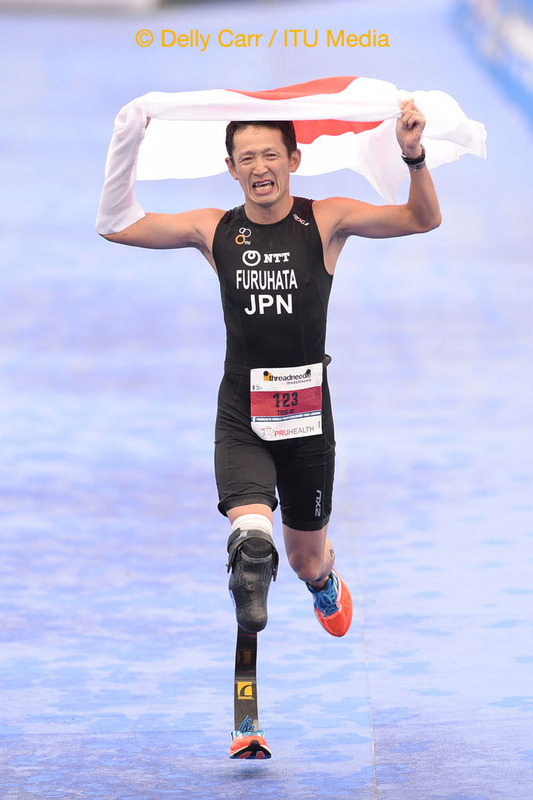 Last year, Fumika Matsumoto became the first triathlete from Japan to ever win a World Championship title when she kicked into overdrive to fire down the finish chute. 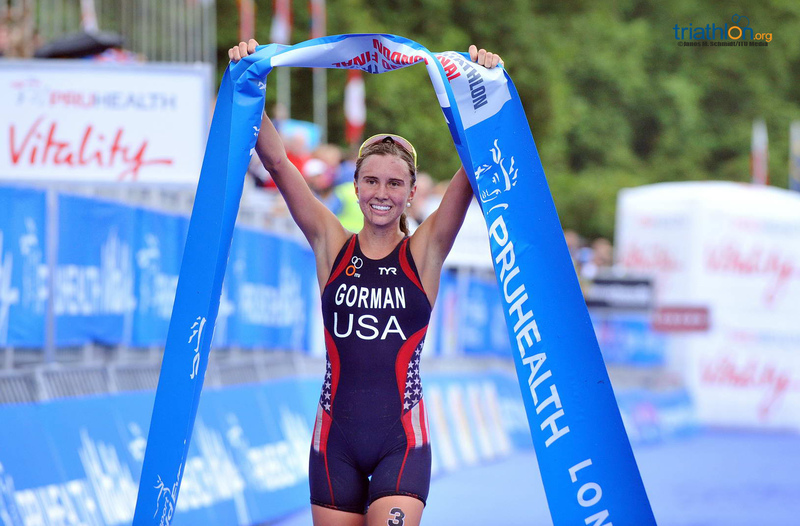 This year, she’s back to defend her title. 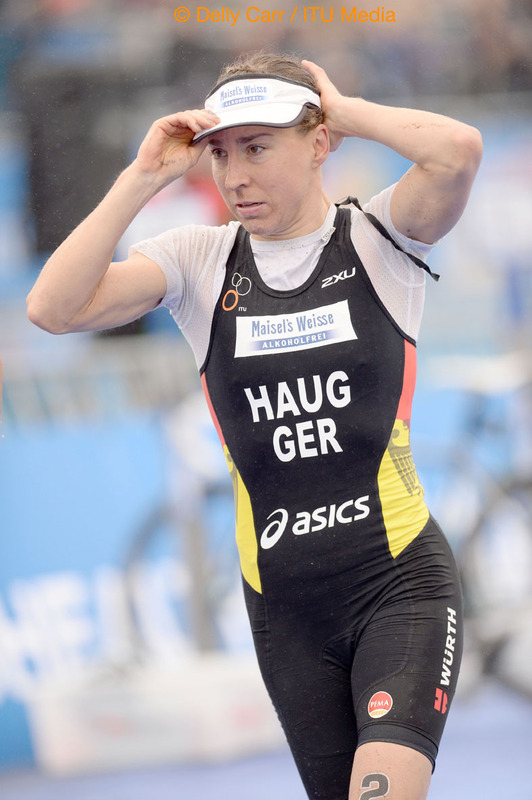 and appears ready for the task, as she has already won the continental championships in Asia this year. 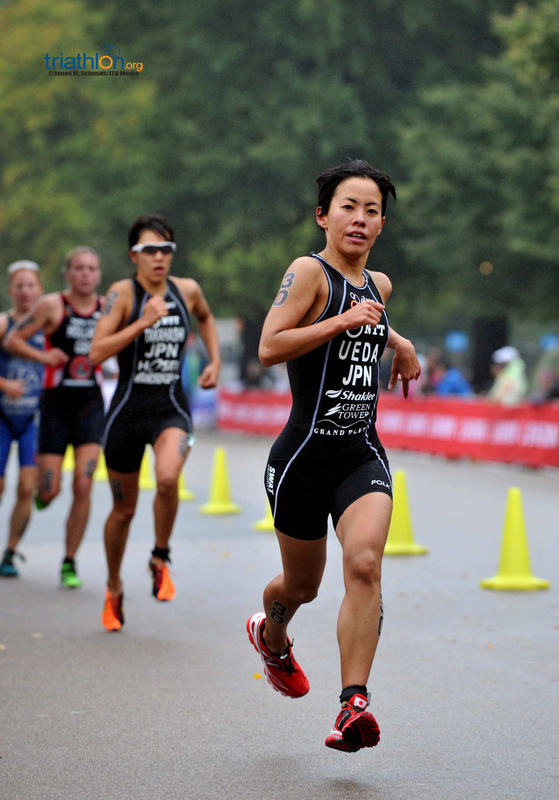 However, just as Matsumoto returns, so does the entire 2012 Junior women’s podium. 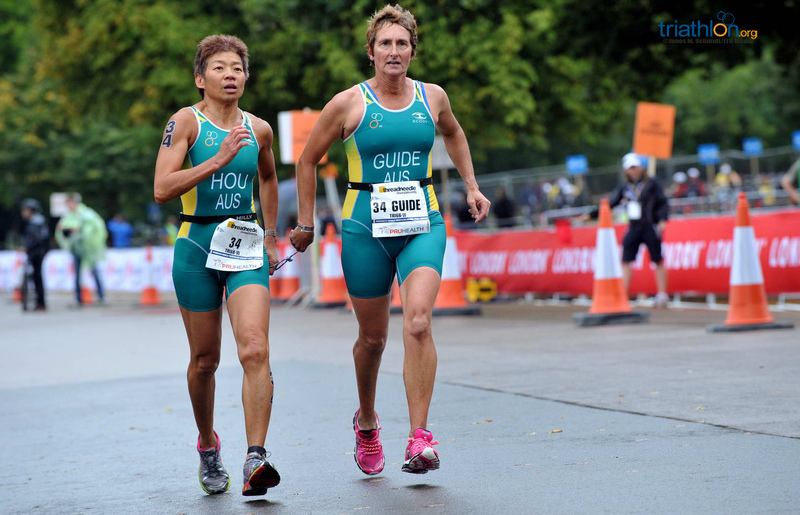 Leonie Periault (FRA) and Tamara Gorman (USA) ran with Matsumoto stride for stride until the final 100 metres when Matsumoto eclipsed them for the win. 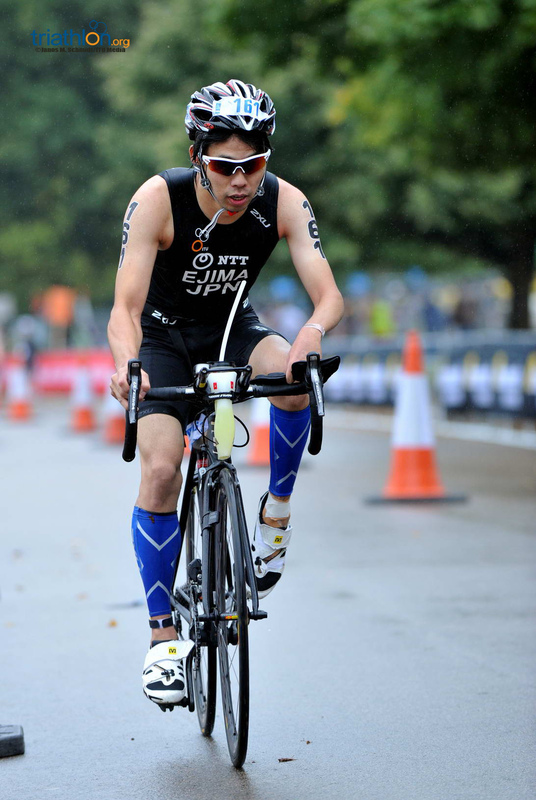 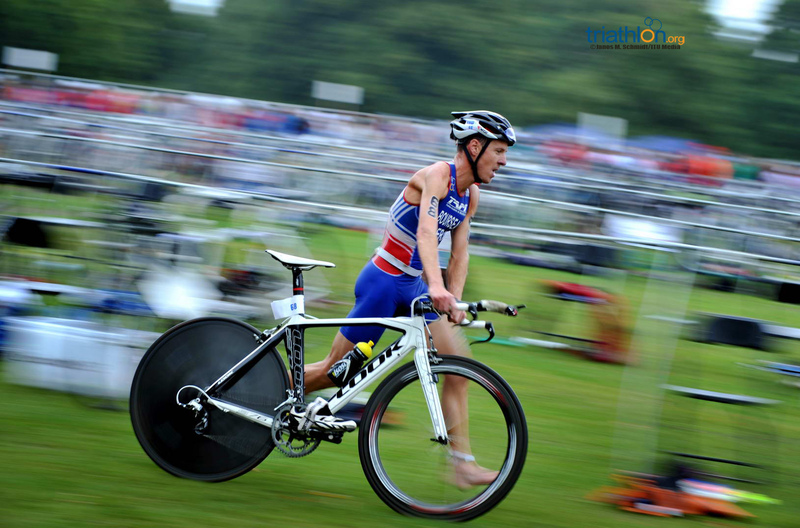 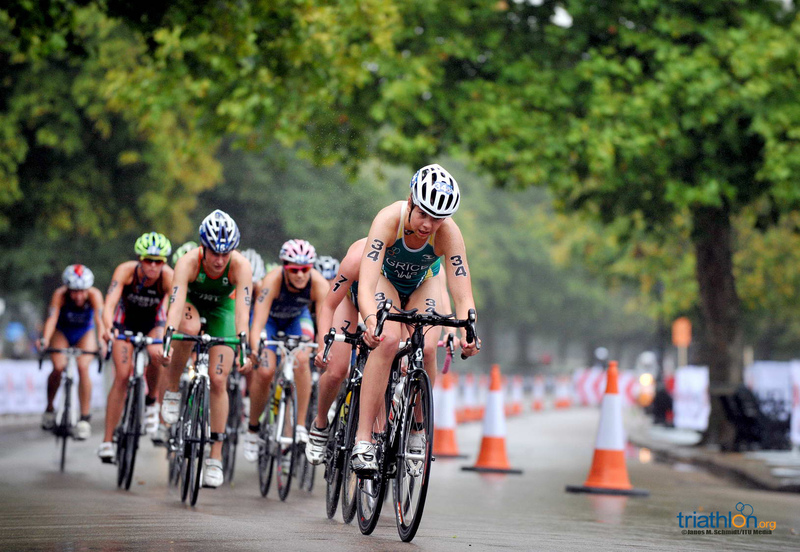 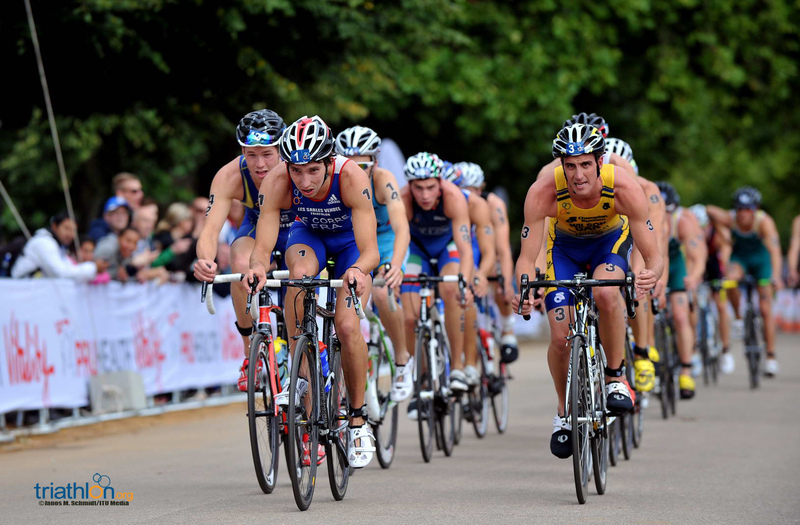 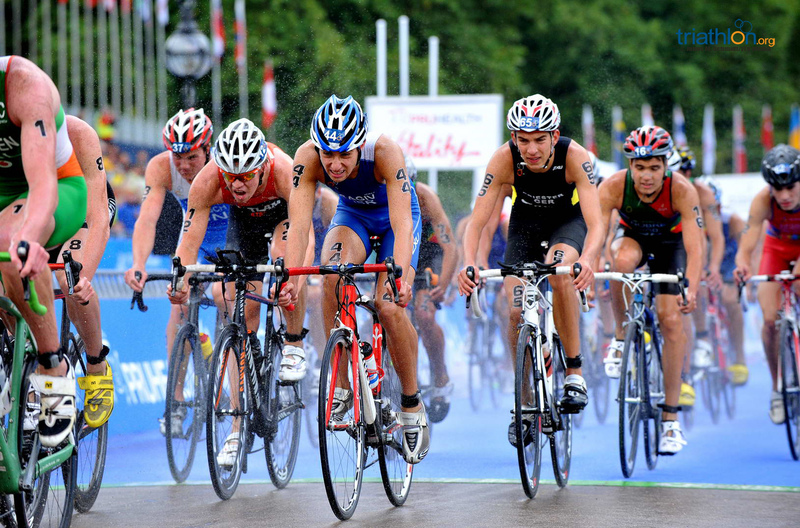 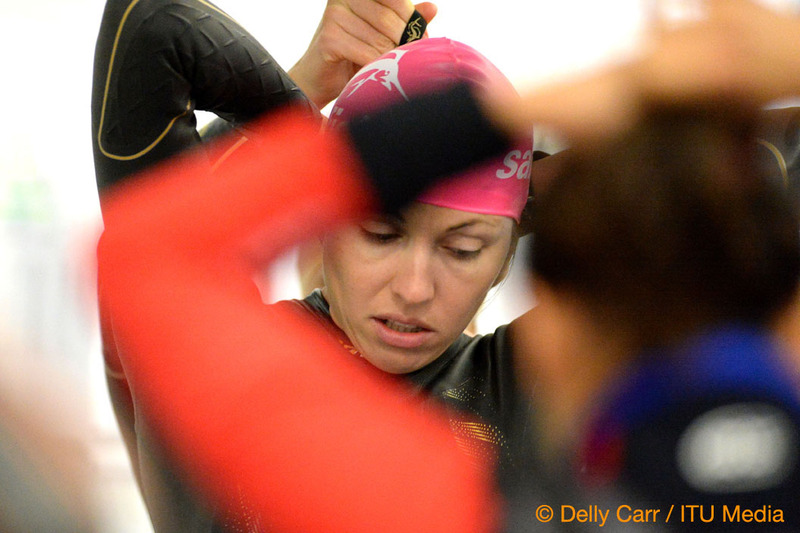 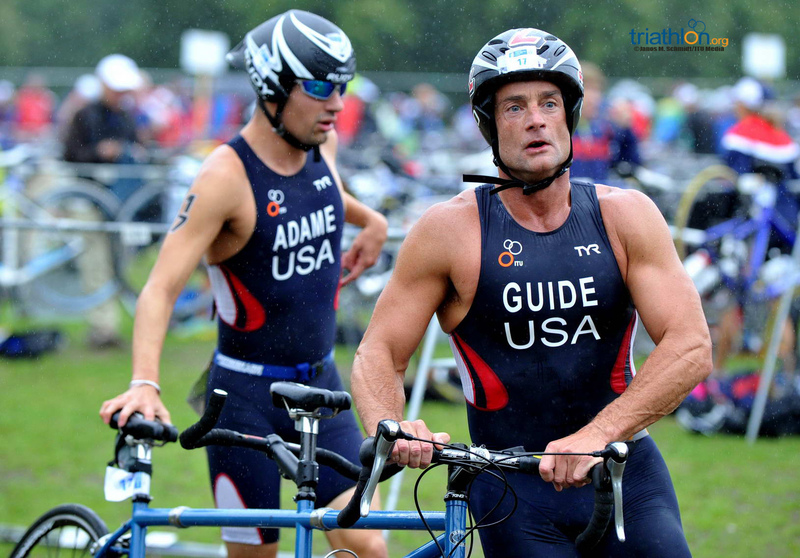 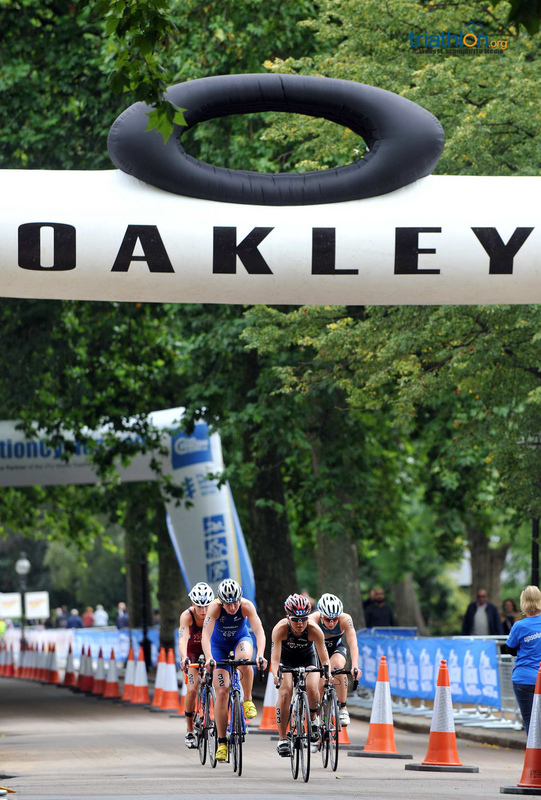 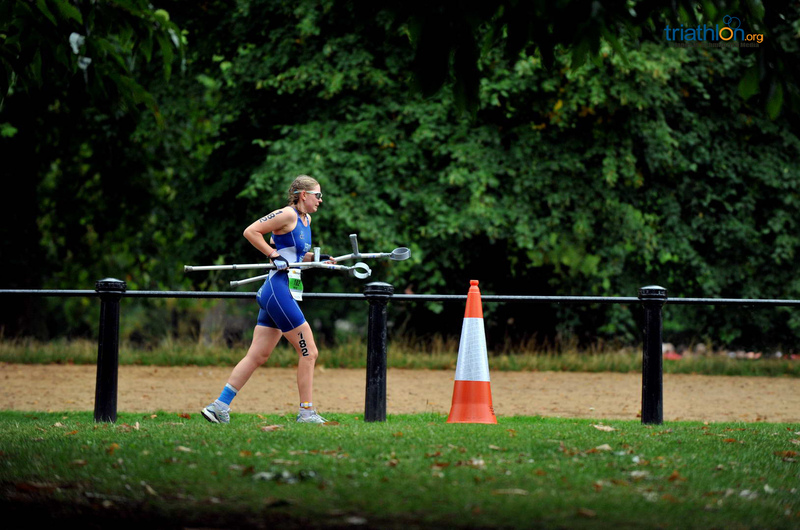 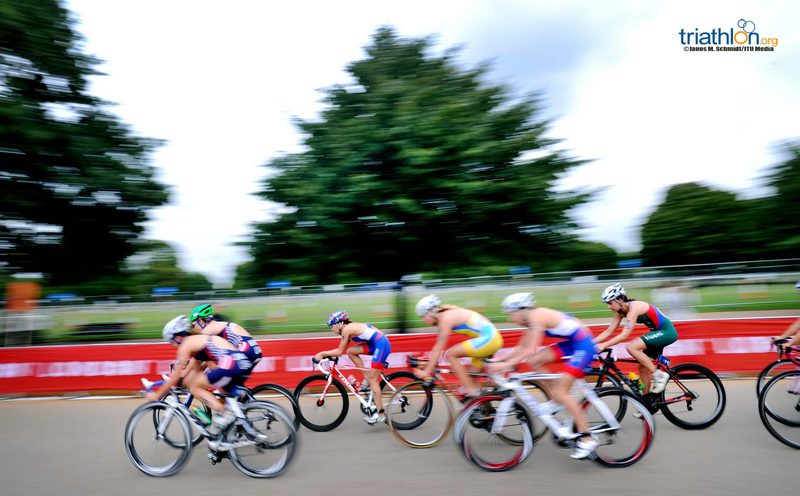 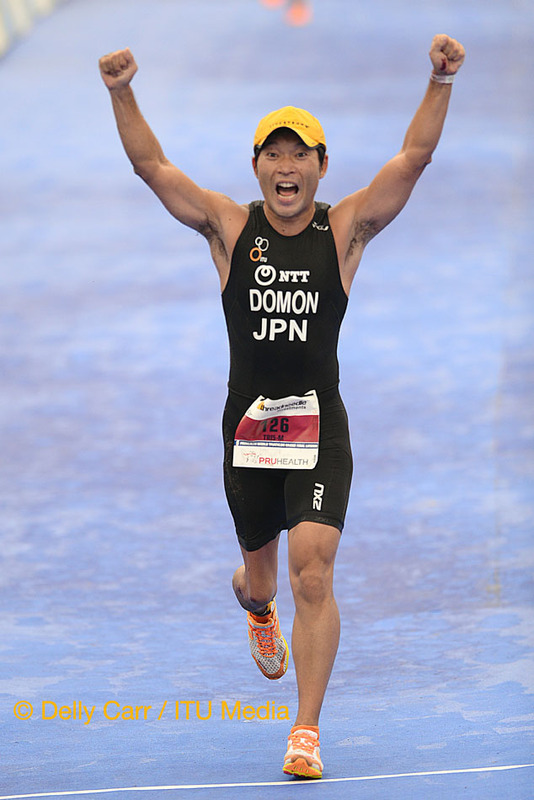 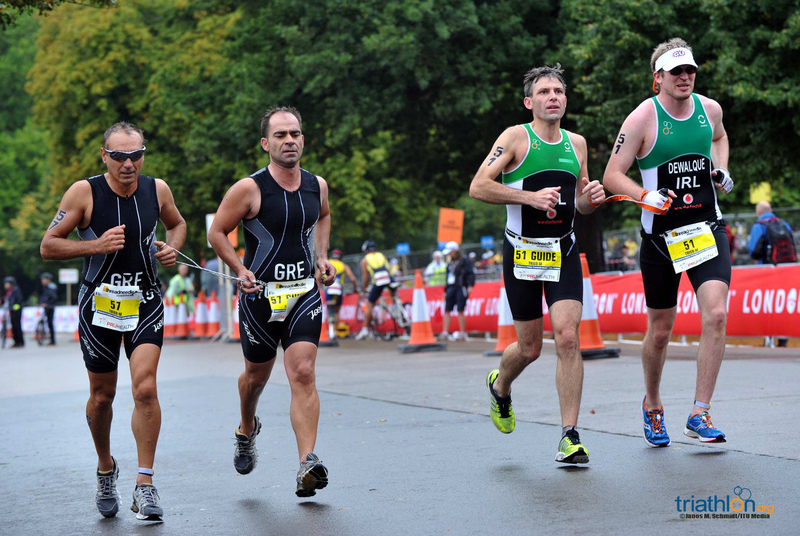 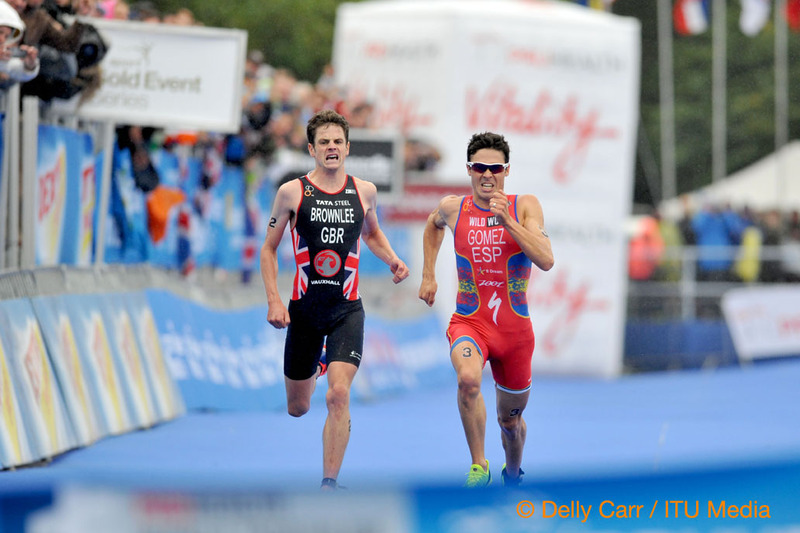 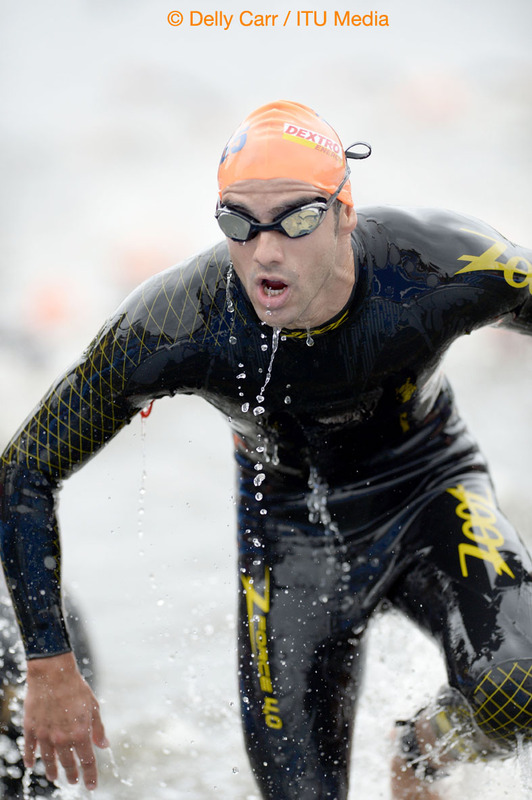 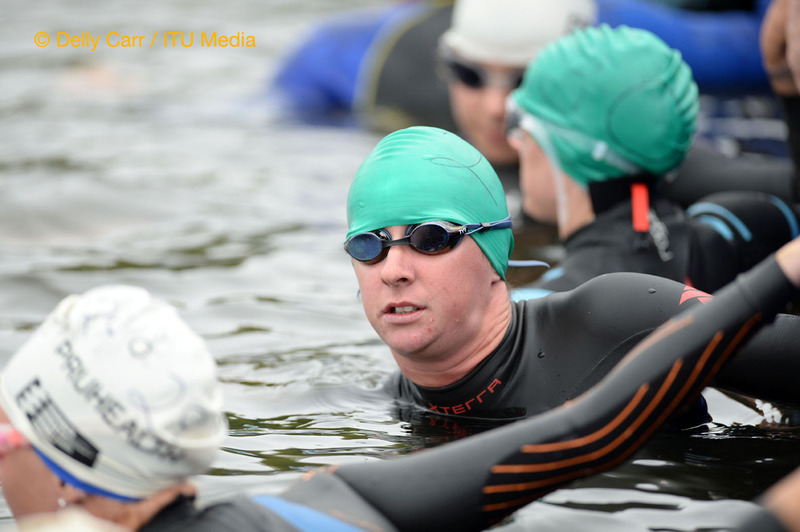 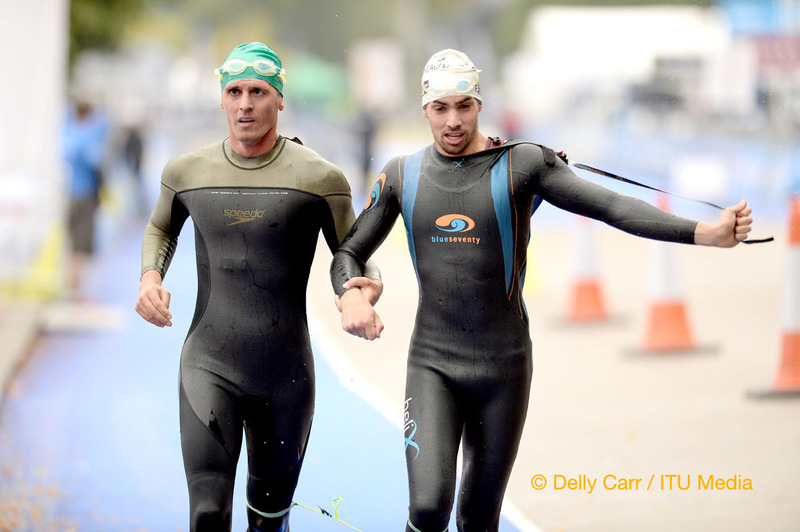 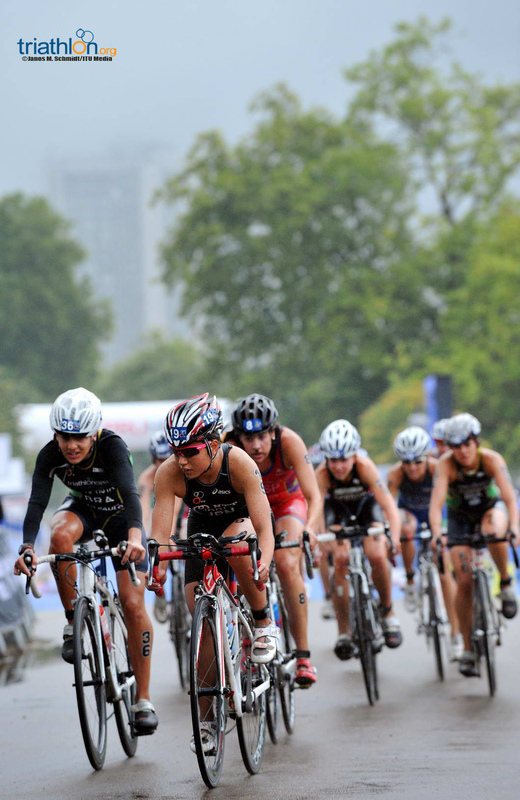 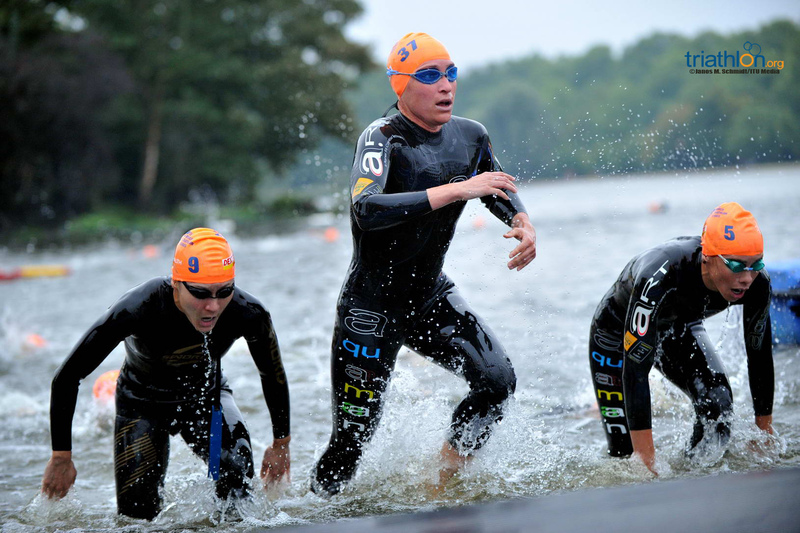 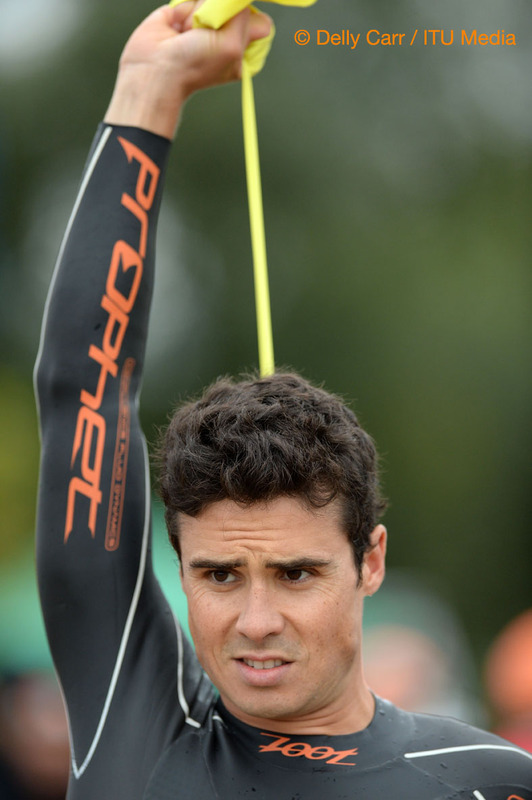 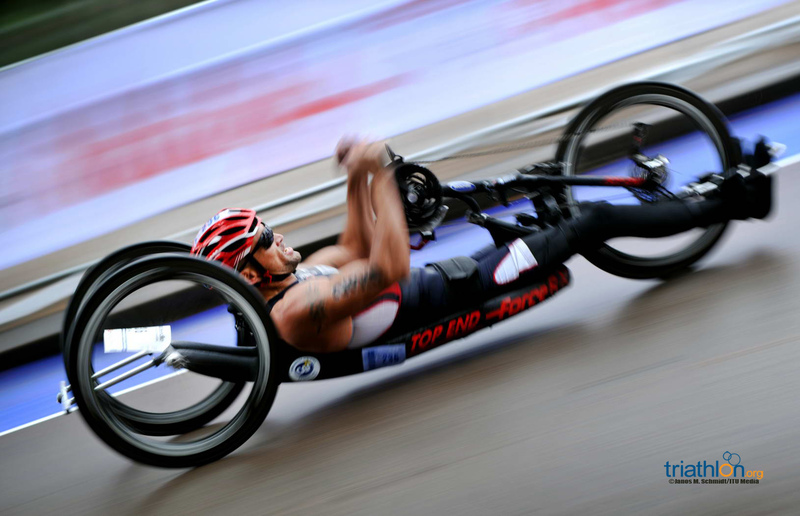 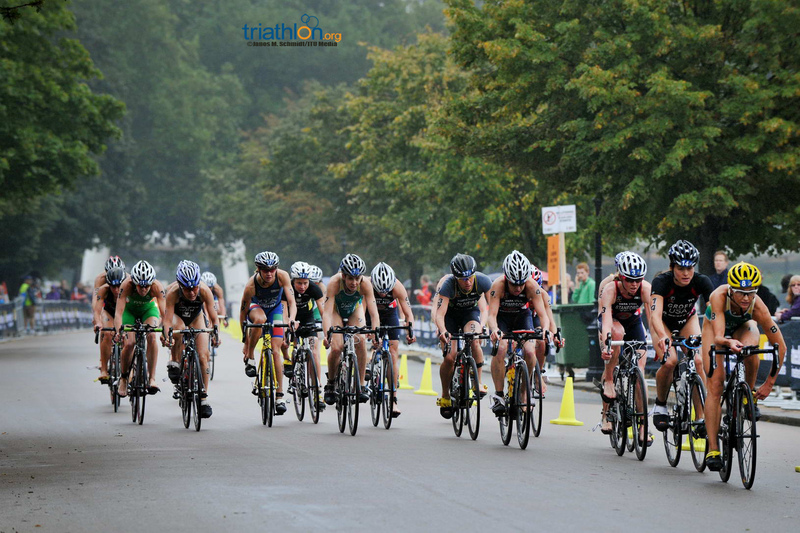 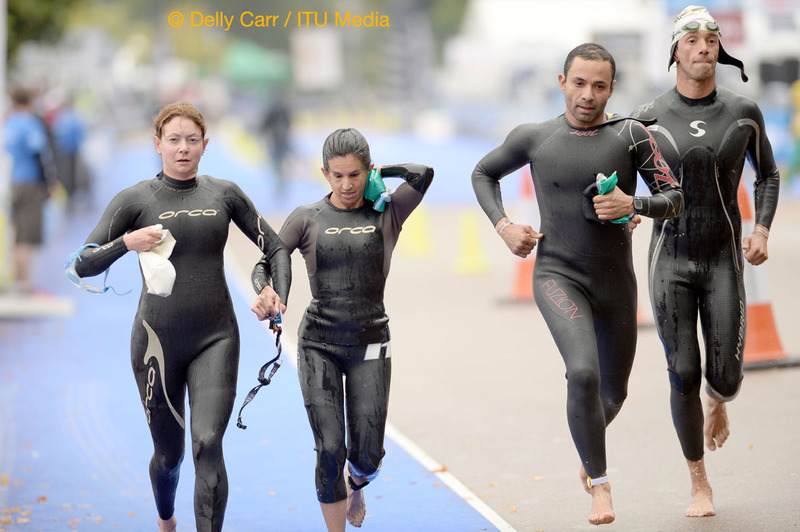 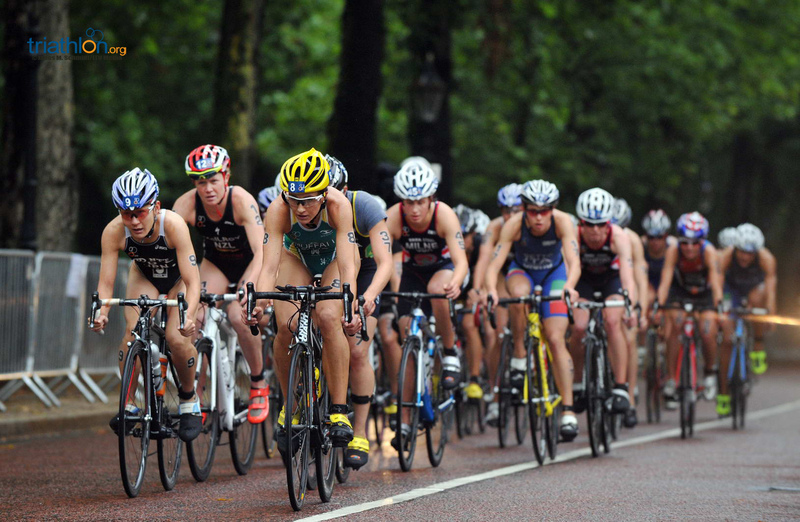 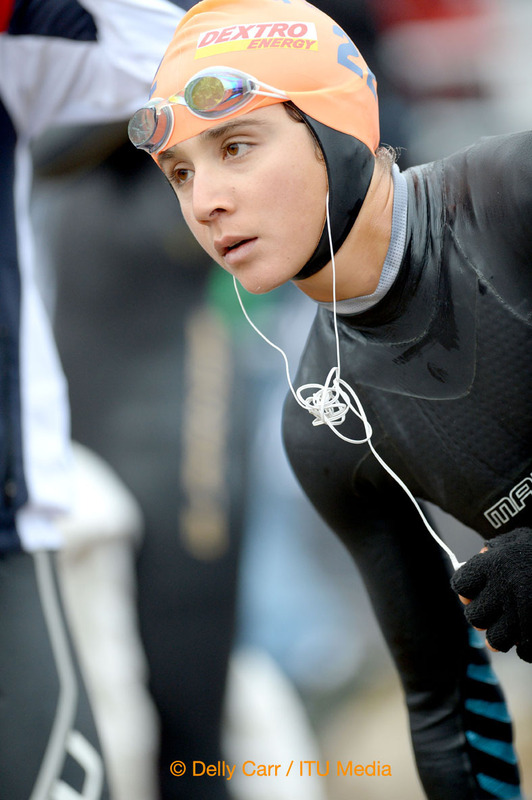 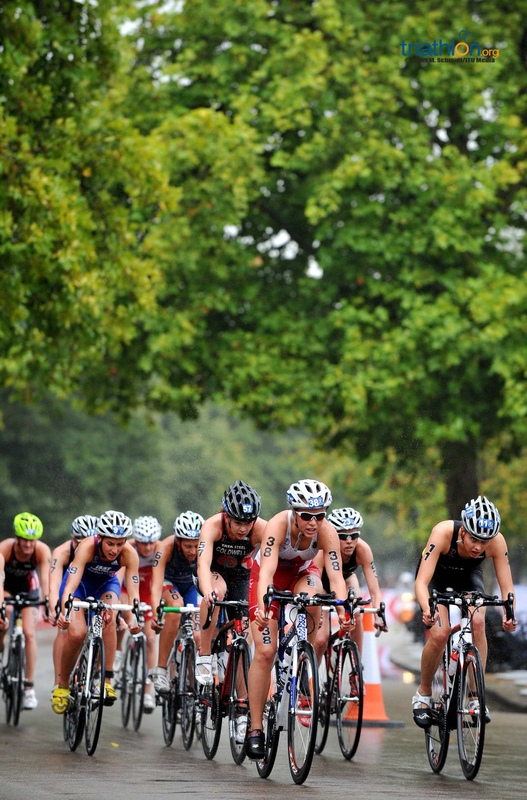 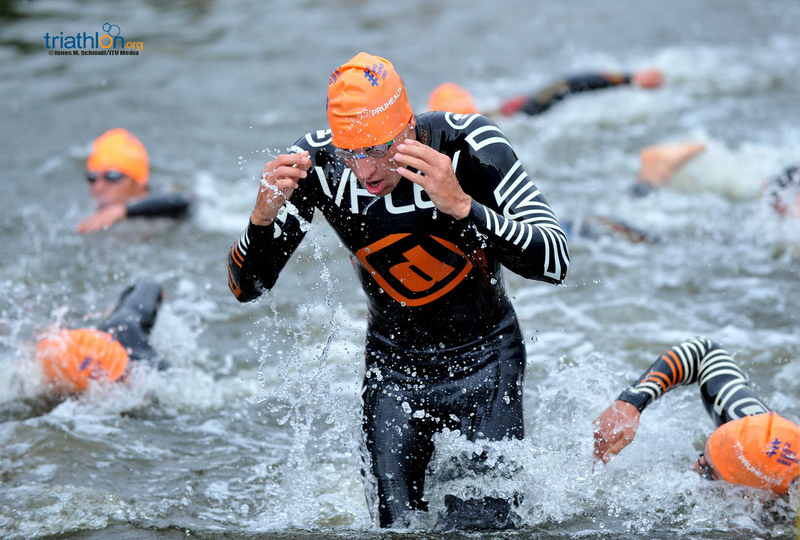 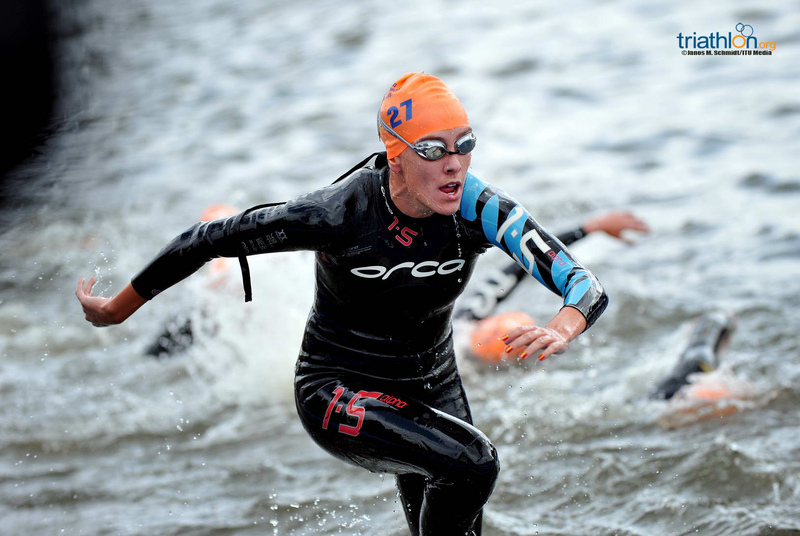 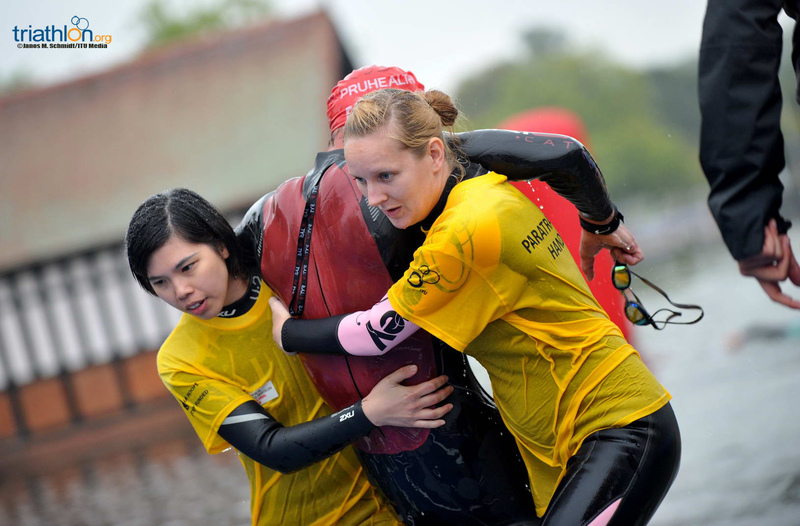 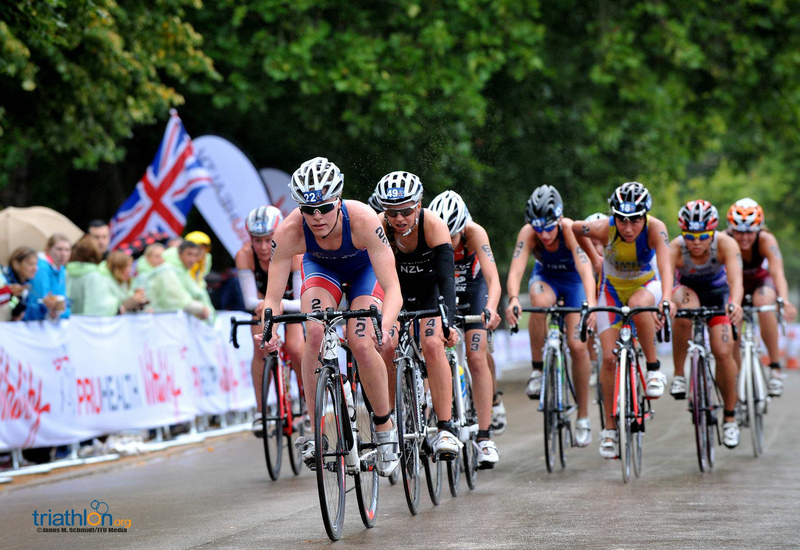 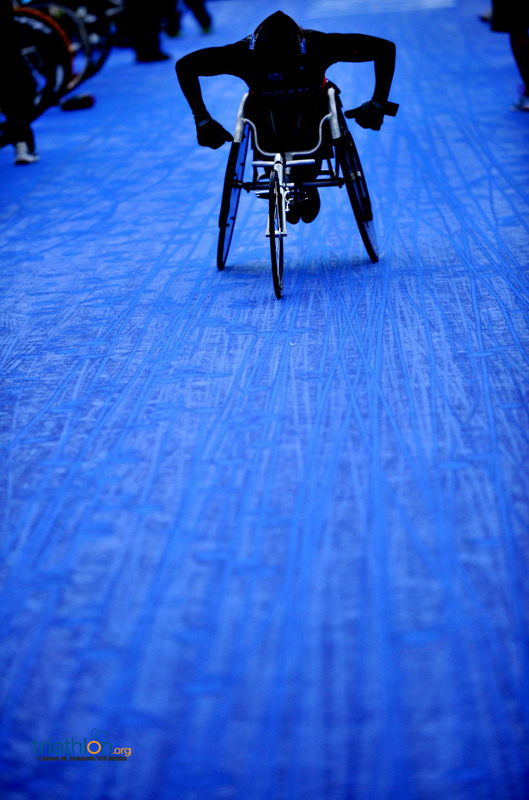 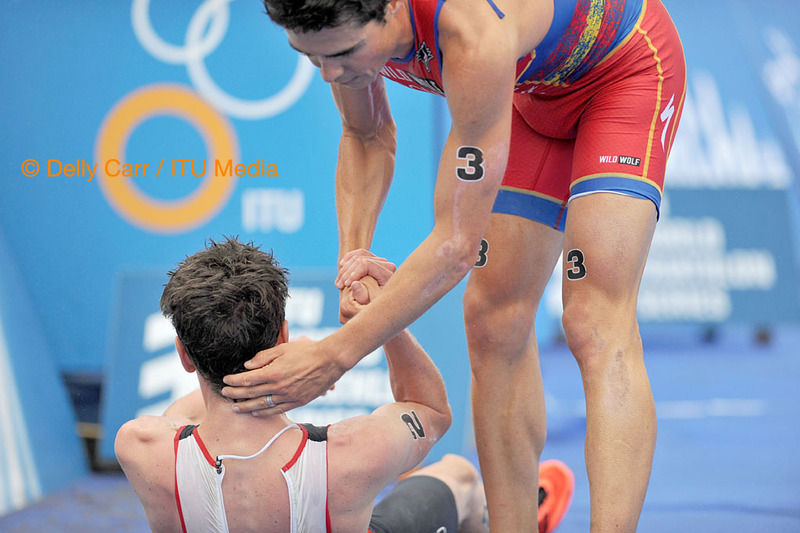 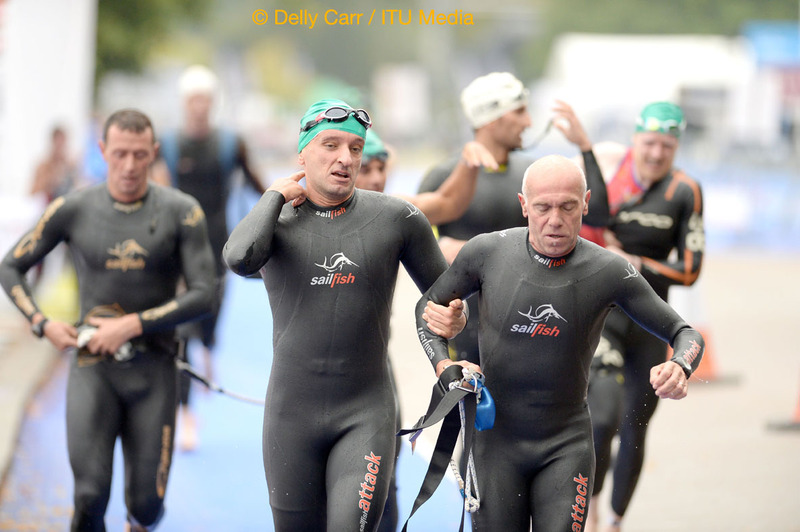 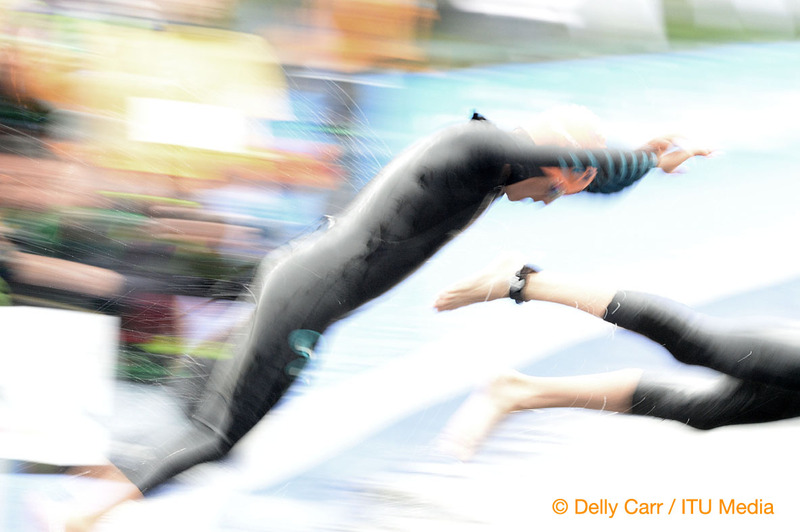 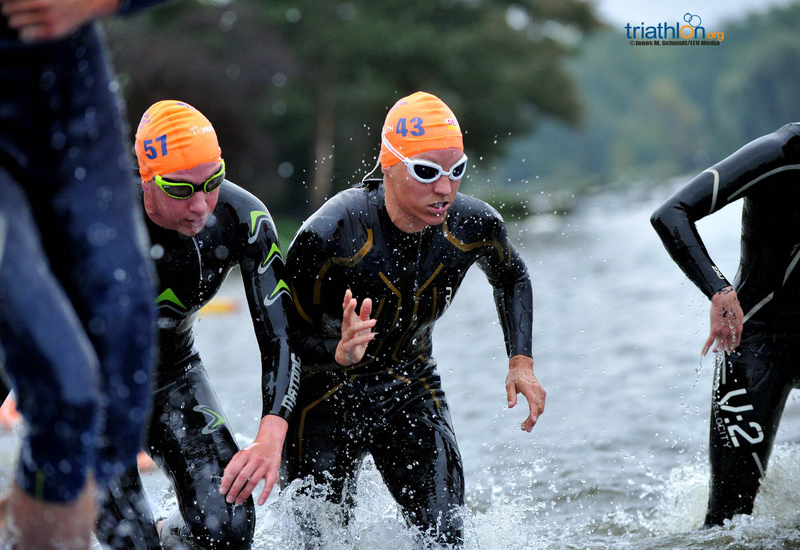 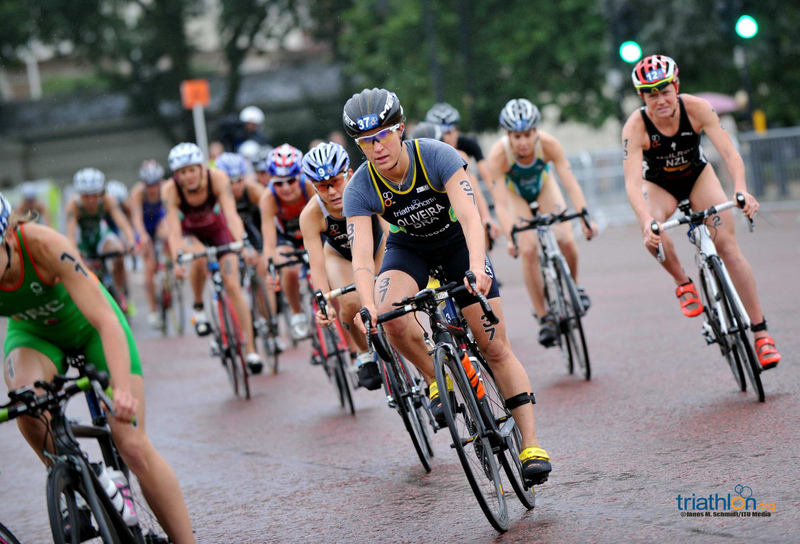 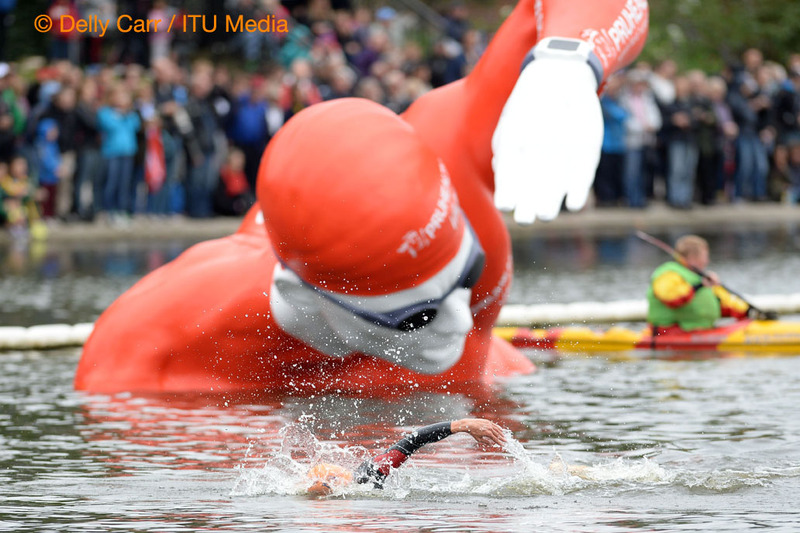 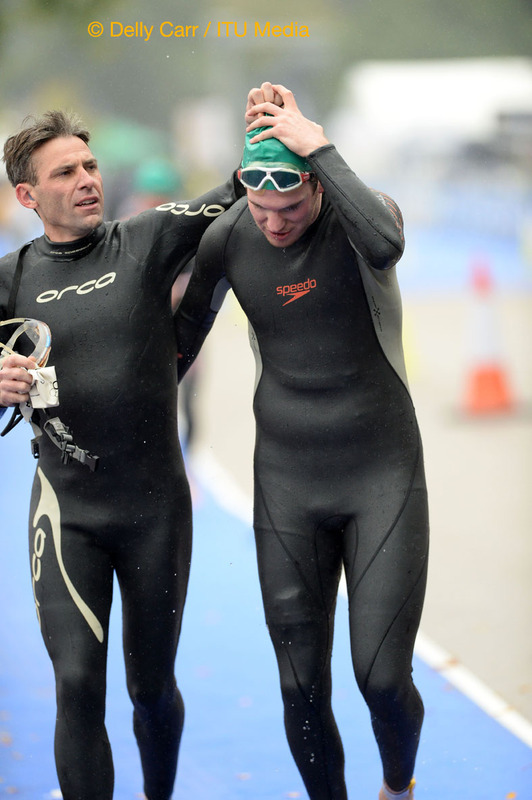 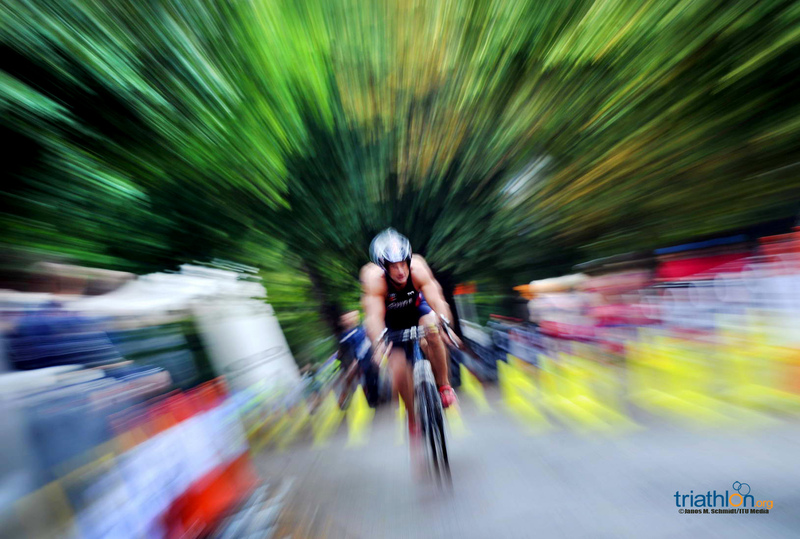 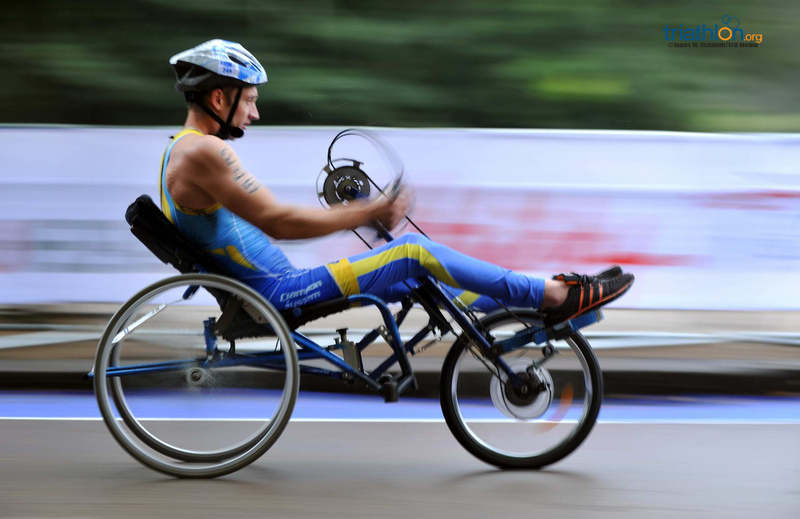 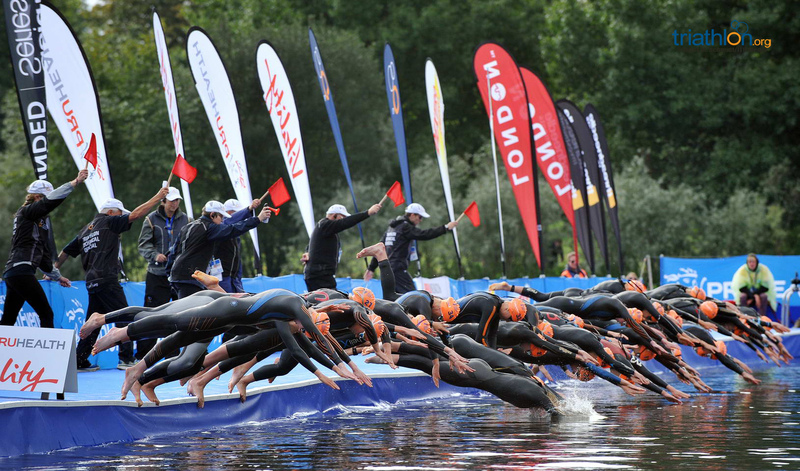 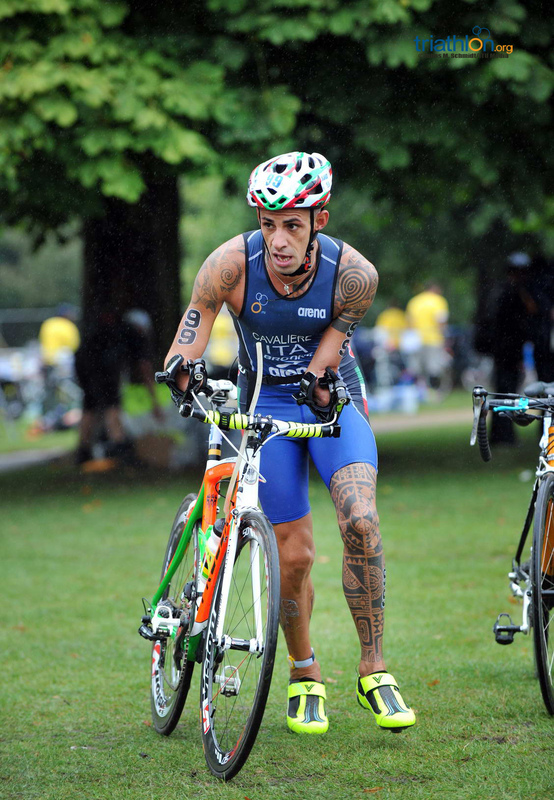 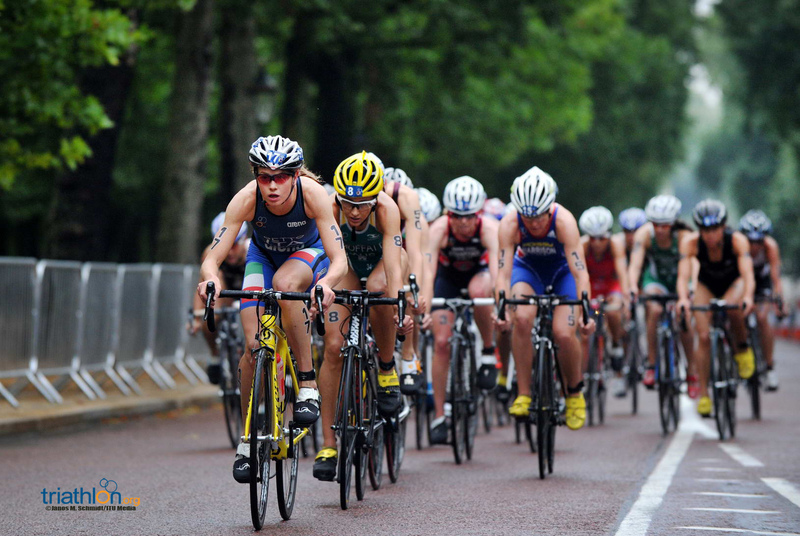 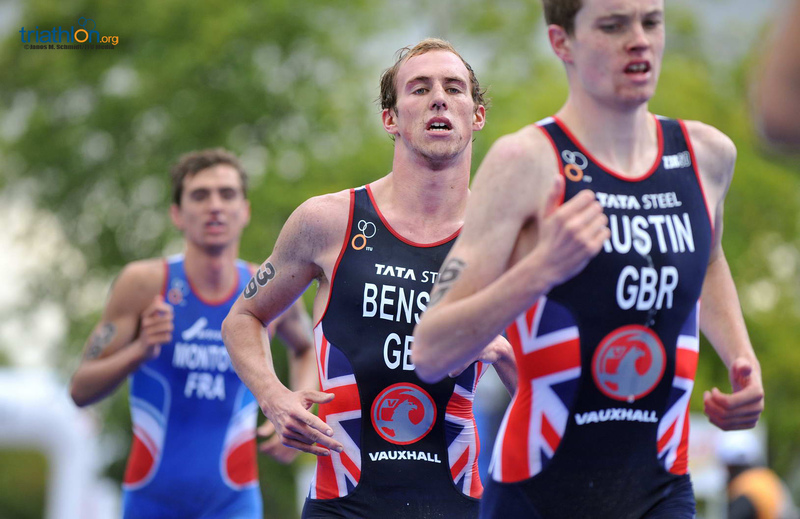 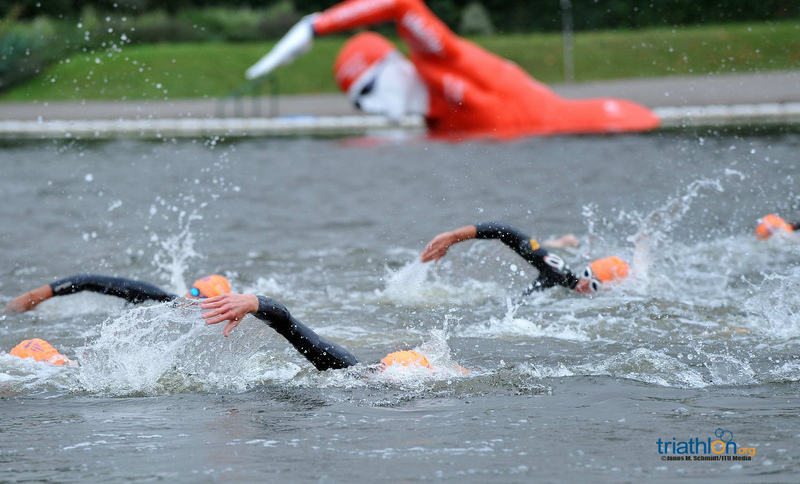 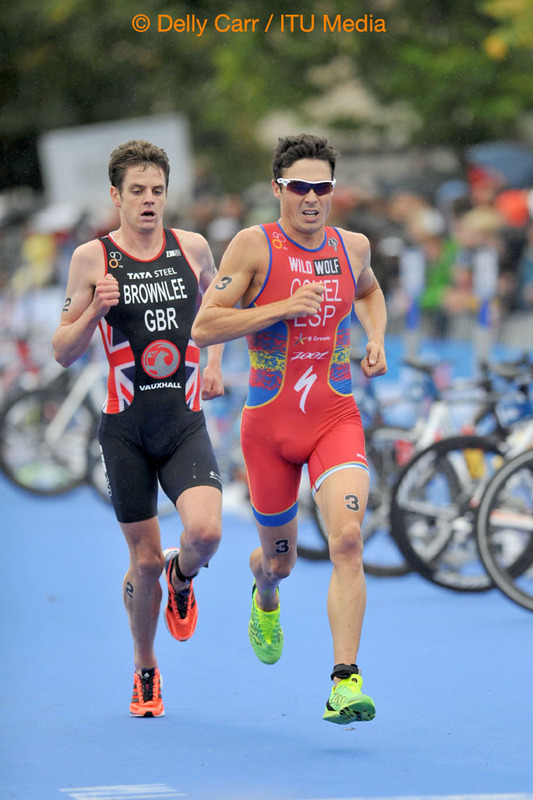 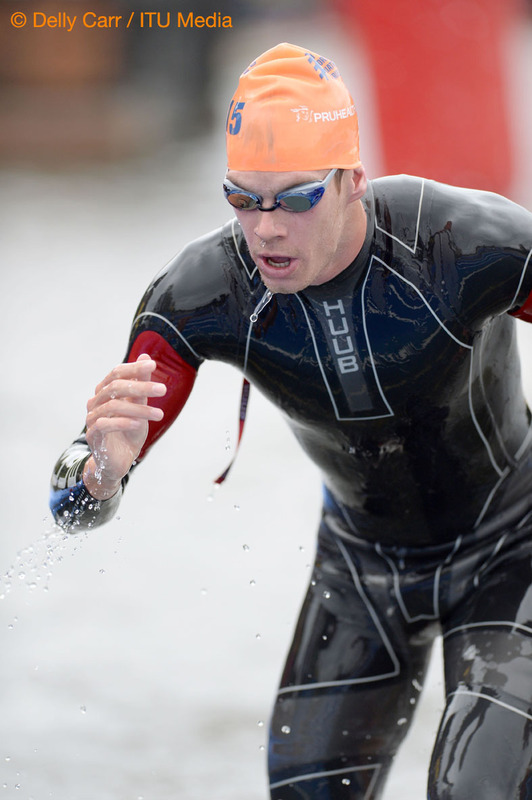 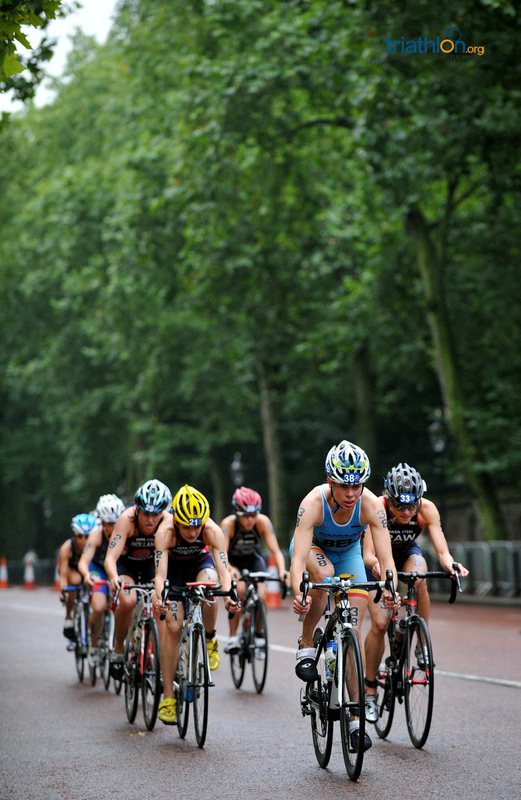 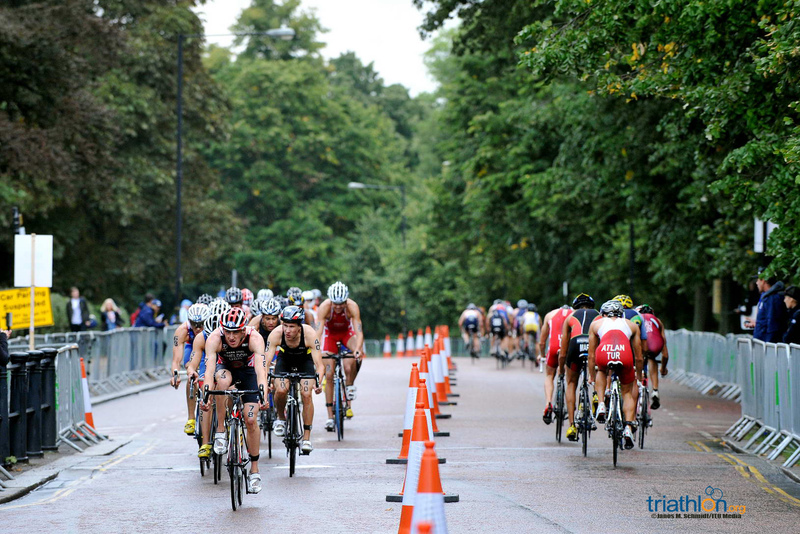 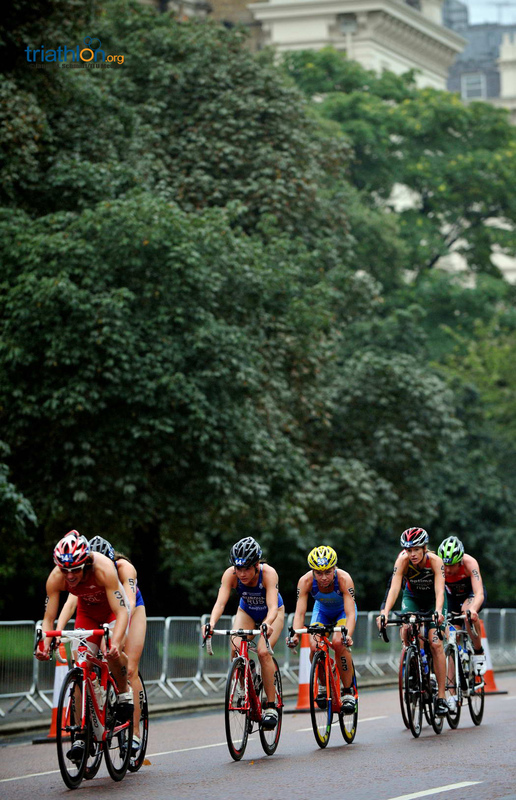 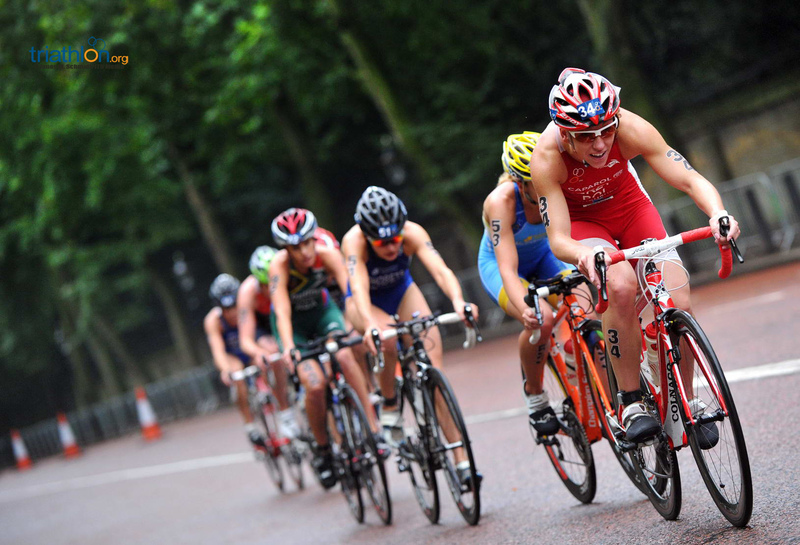 Avenging their missed titles will be high priority on the one lap swim, four lap bike and two lap run course. 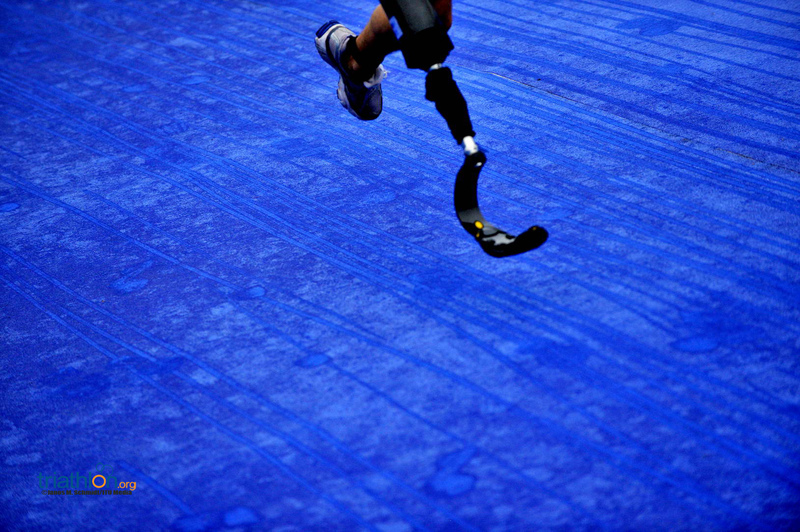 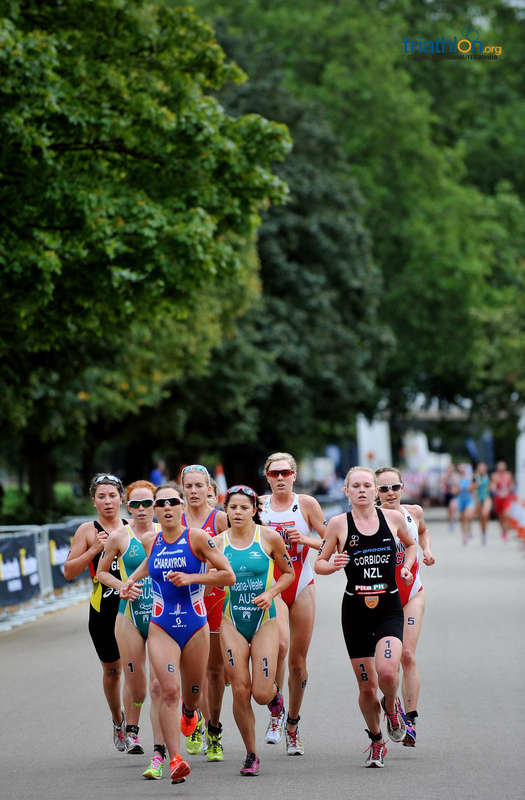 Reigning in a medal, however, is no guarantee for the ladies, especially with Great Britain’s own Georgia Taylor-Brown and Sophie Coldwell on the start list. 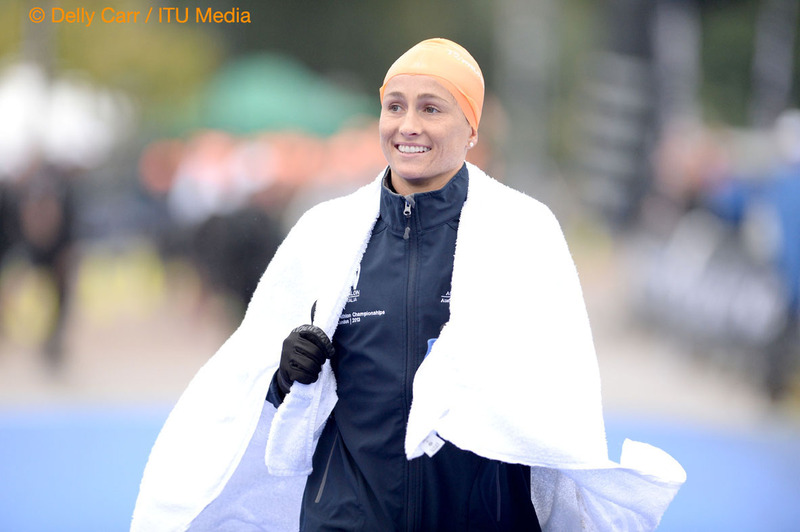 The pair, along with Australia’s Mikayla Nielsen, was responsible for bridging up to a trio that broke away on the swim course in Auckland, which played a key role in the women’s race. 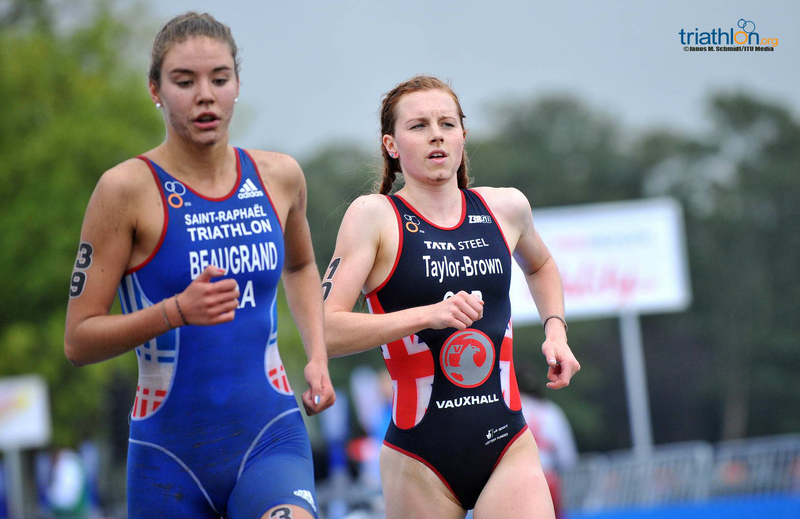 Taylor-Brown has also gone on to enjoy a dynamite season punctuated with a series of wins in Junior European Cups this season. 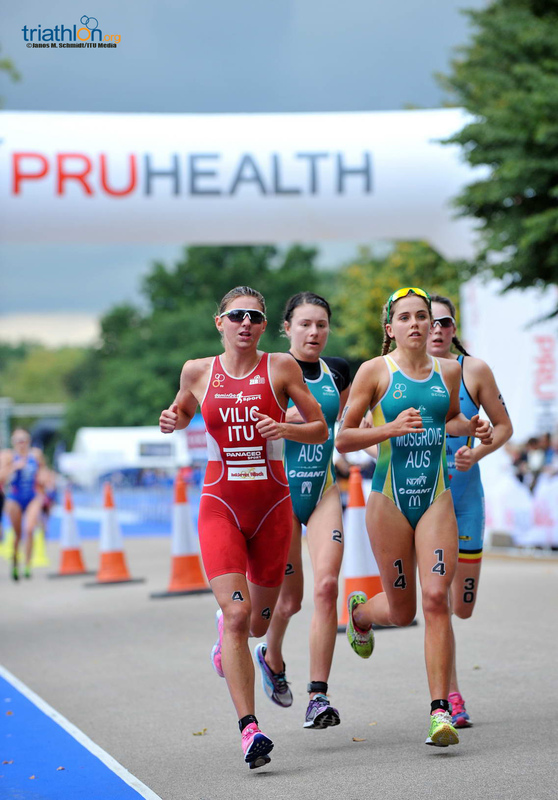 The Brits will no doubt look to set the tone for their teammates in the U23 and Elite races to come with stellar performances on home soil, while Mikayla also looks strong having won the Junior race at the Oceania Championships this year. 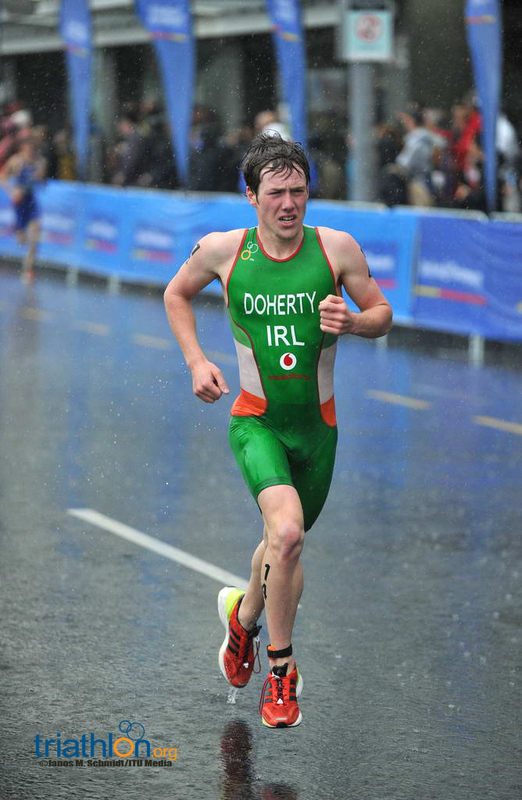 While the women return all of their medallists, Constantine Doherty (IRL) will be the sole representative from the 2012 podium in the Junior men’s race. 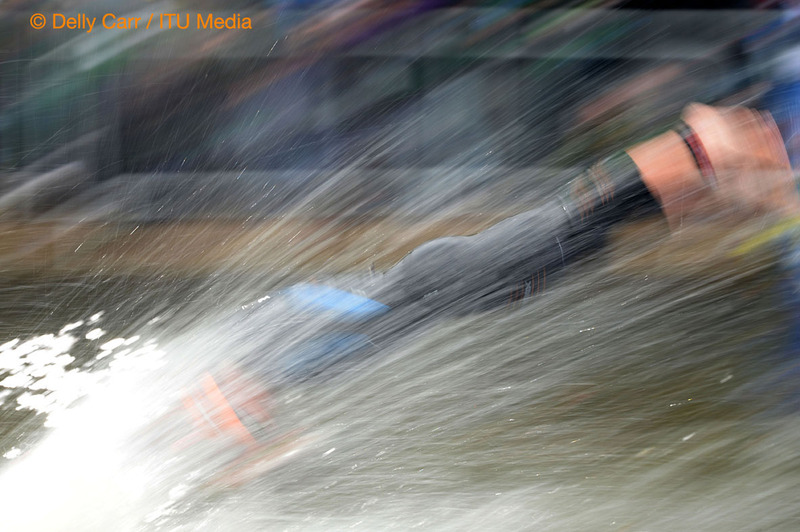 He made waves last year when he became the first Irish ever to earn a World Championship medal with bronze. 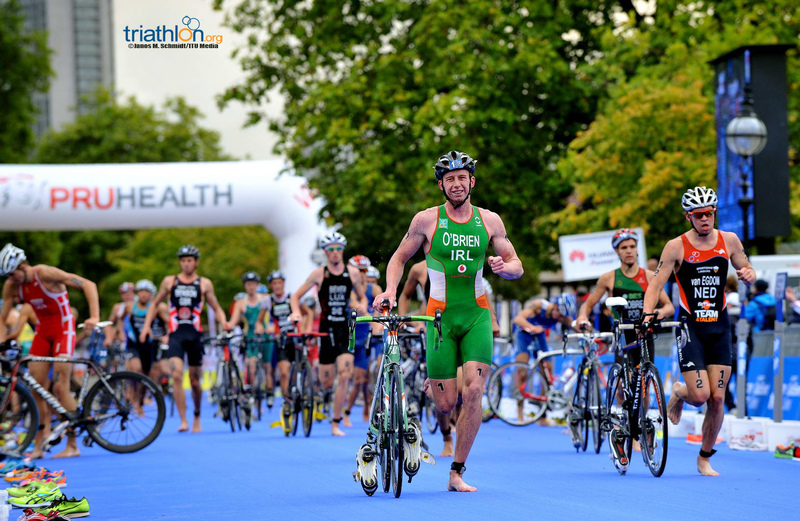 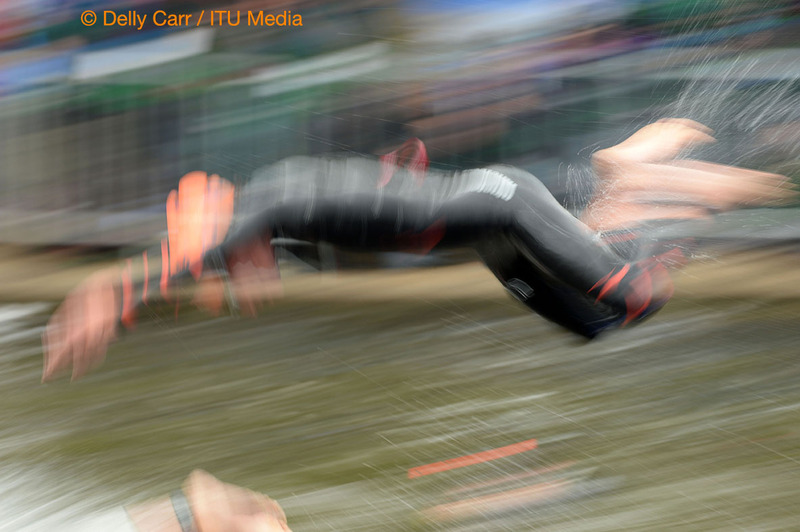 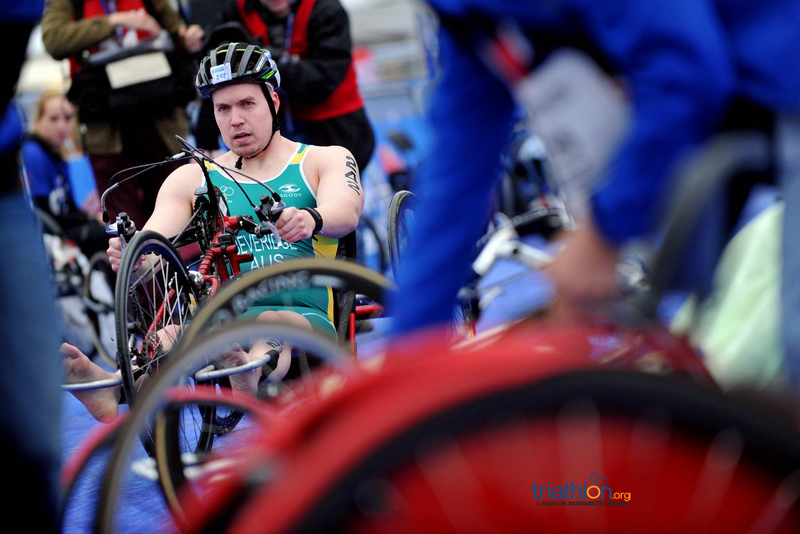 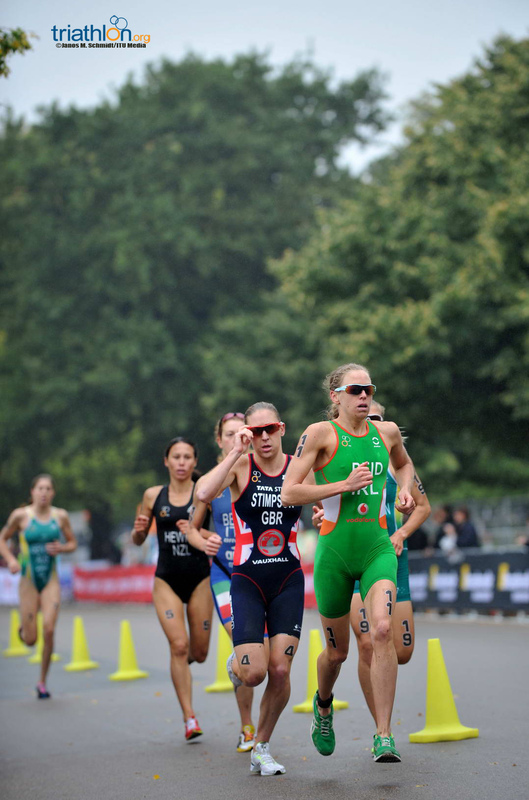 Doherty got off to a bumpy start this year when he failed to finish and was disqualified from a pair of races, but his recent silver medal performance at the Cross Triathlon World Championships suggest he may return to form just in time for London. 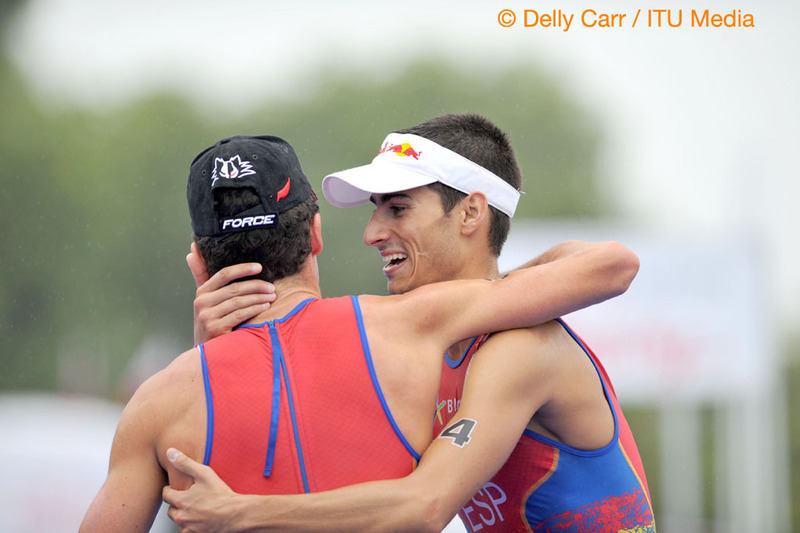 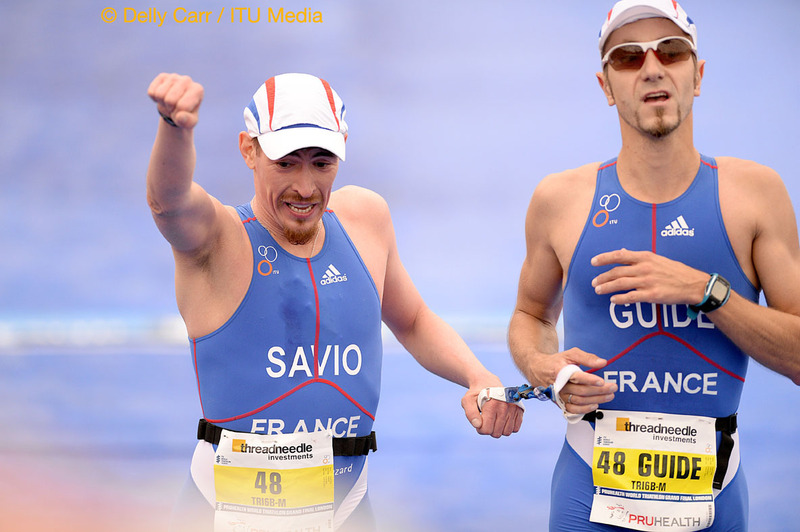 France will feature a small but lethal team of Dorian Coninx and Raphael Montoya. 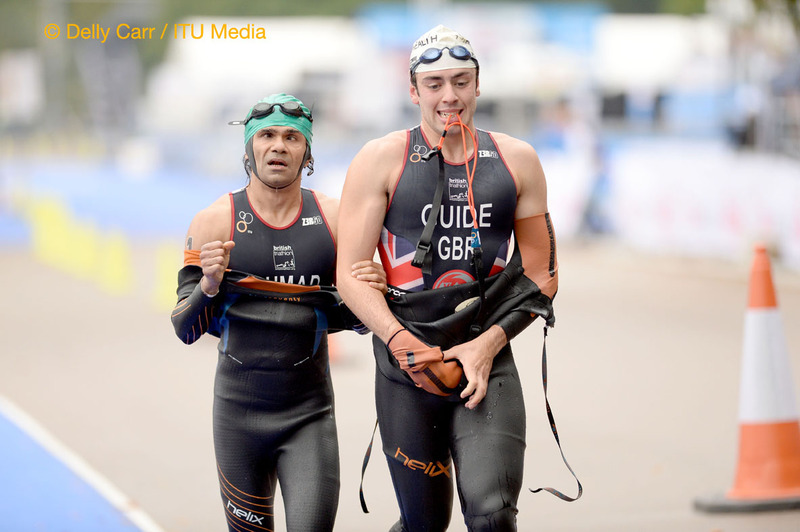 The duo scored gold and silver at this year’s European Championships, followed by Great Britain’s Marc Austin and Gordon Benson, who will also line up in London. 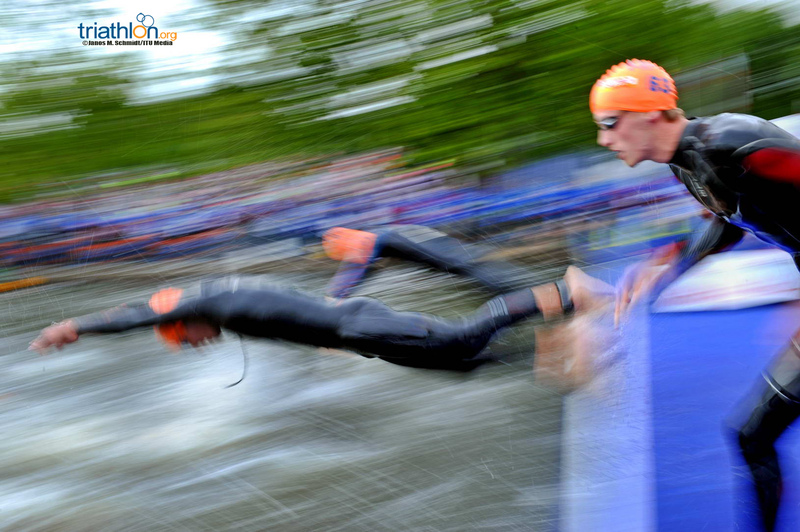 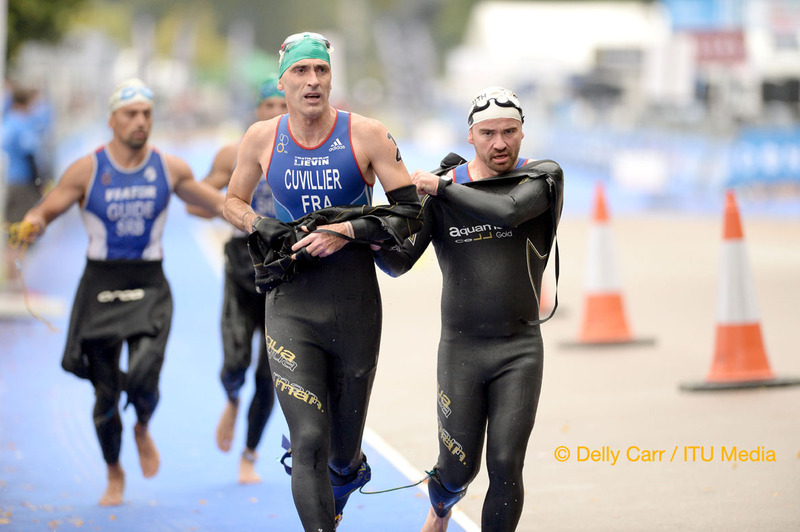 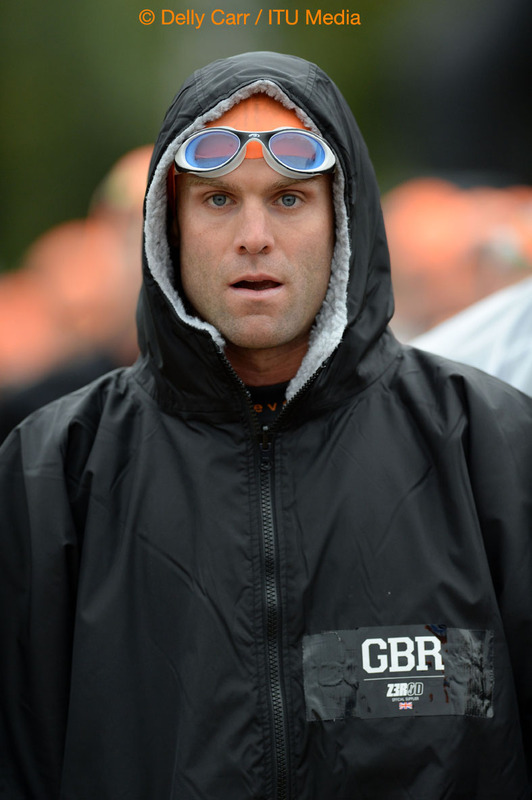 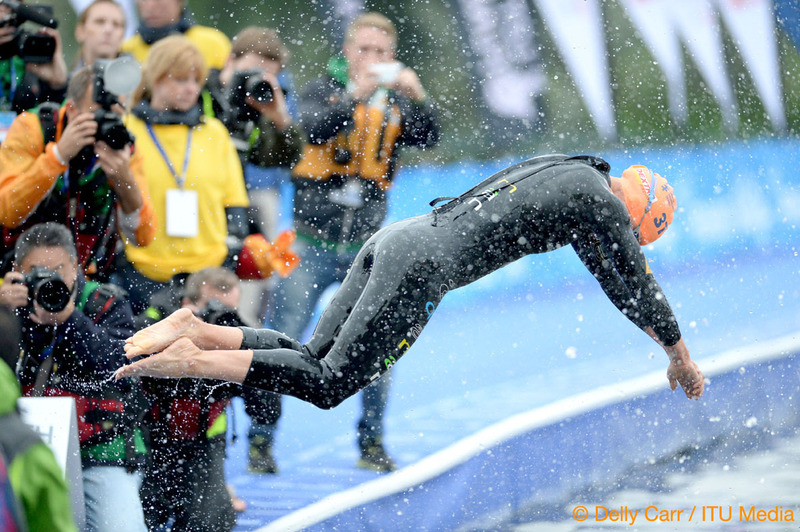 Look for Coninx and Benson to lead out of the water to get a necessary head start over Jorik van Egdom (NED). 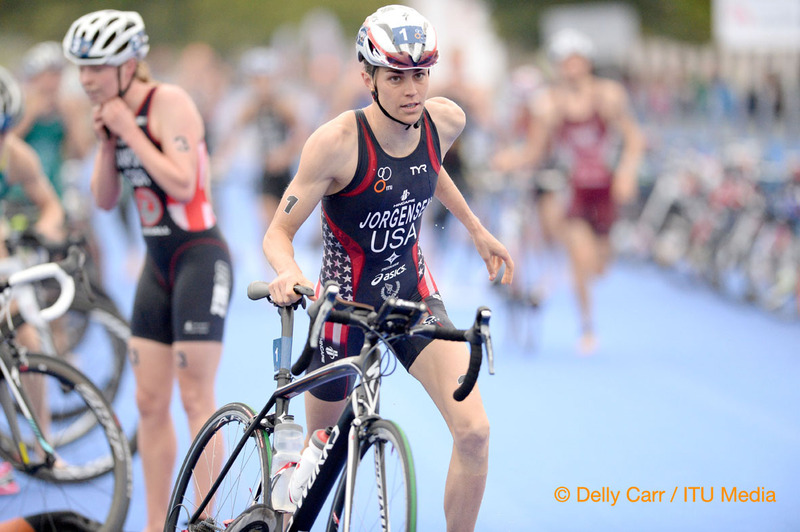 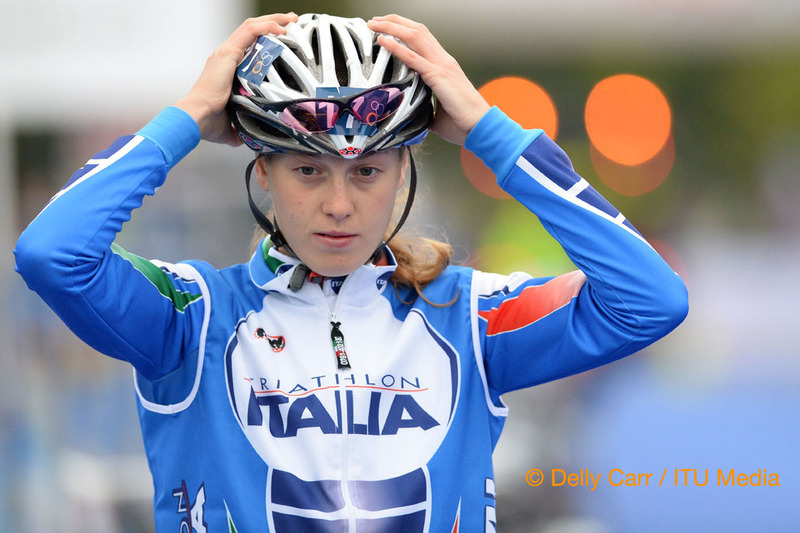 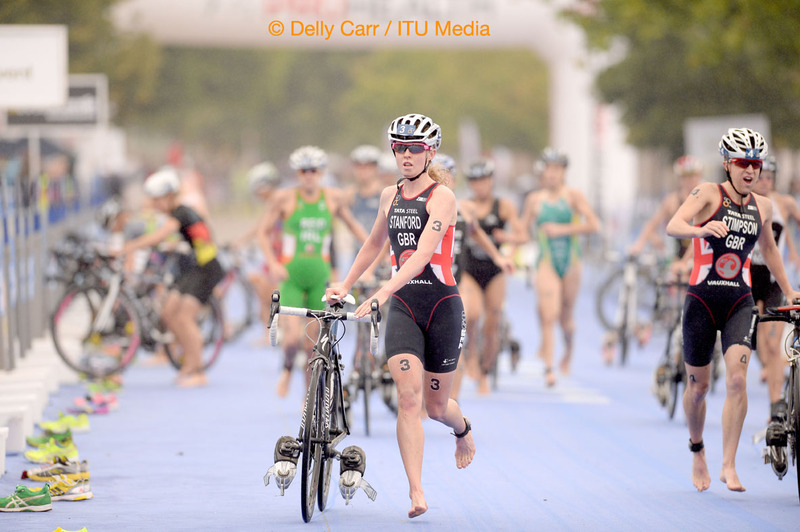 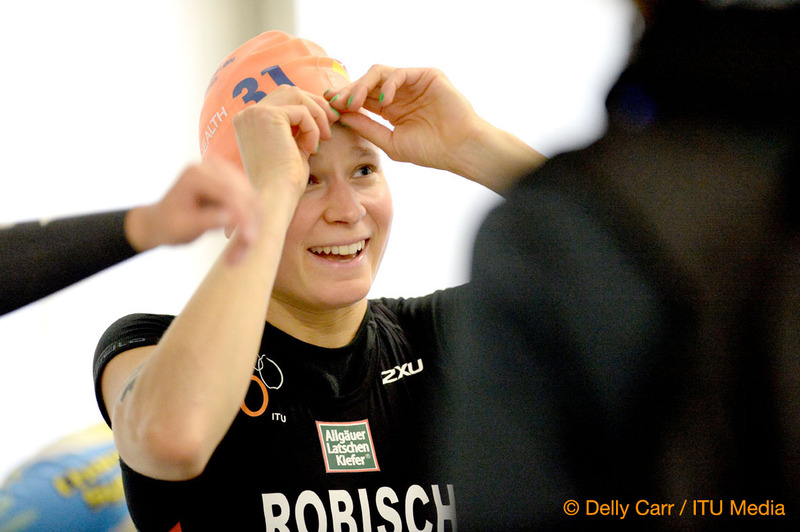 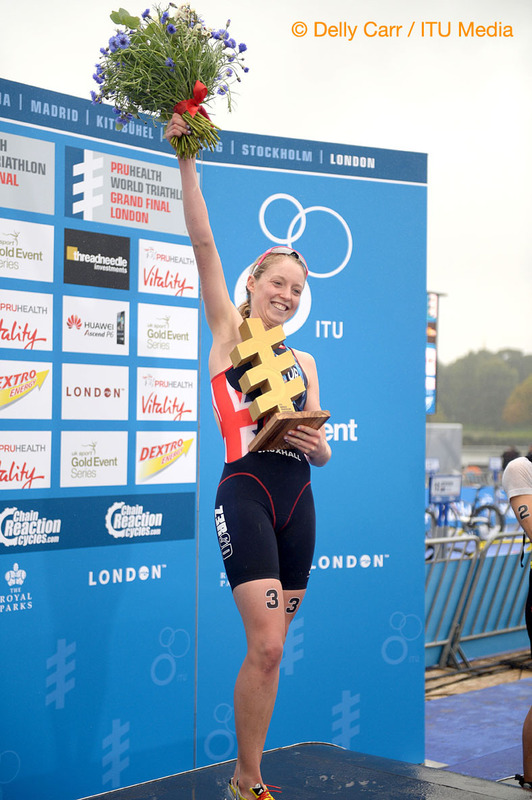 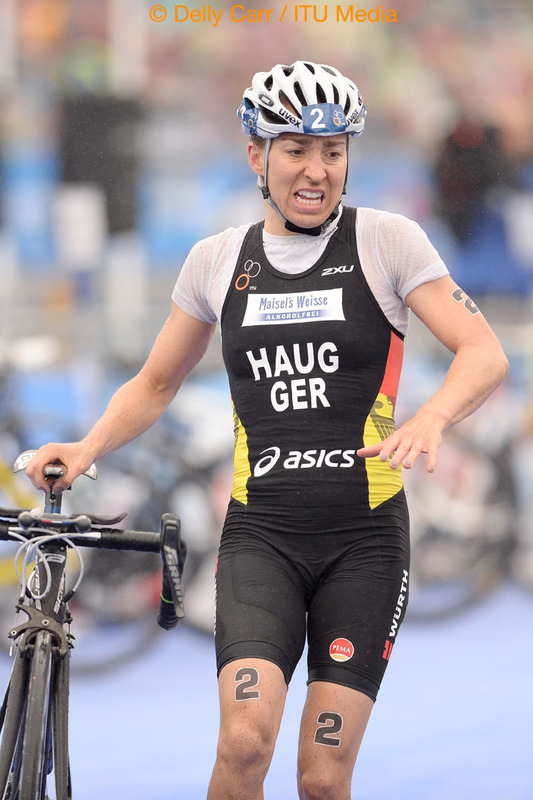 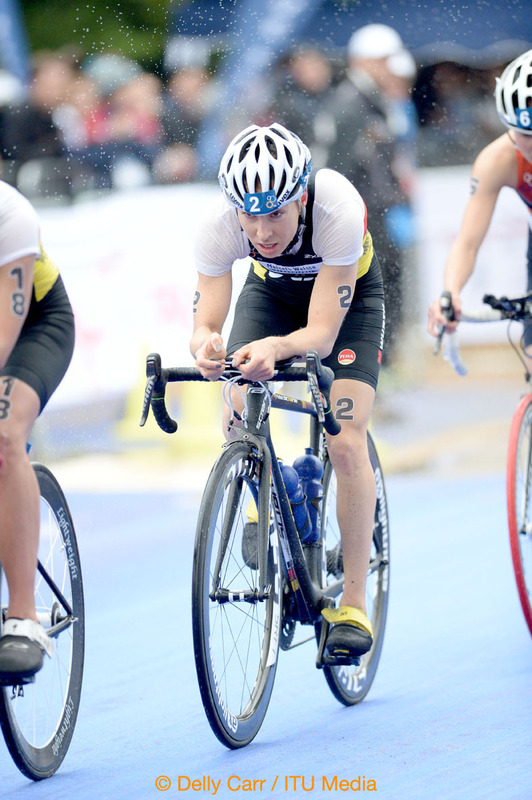 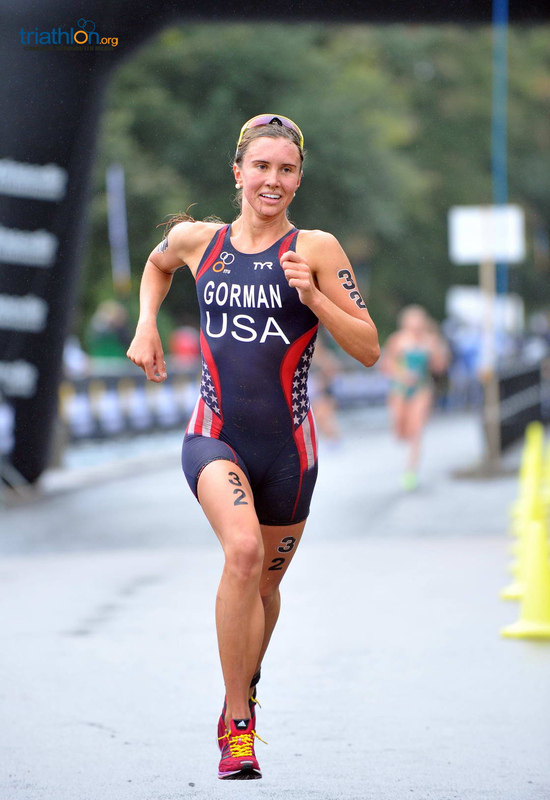 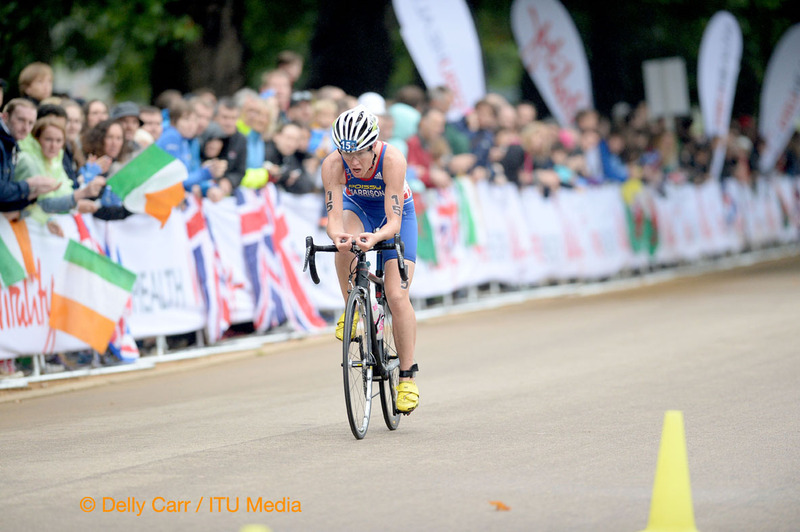 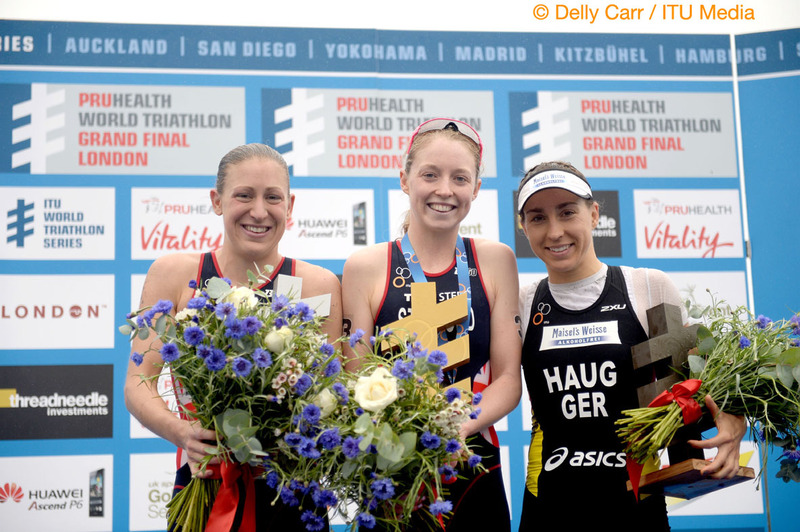 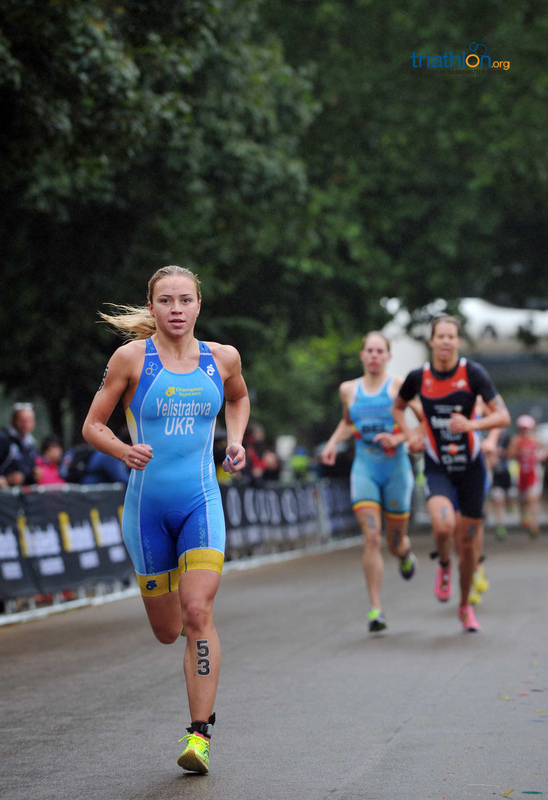 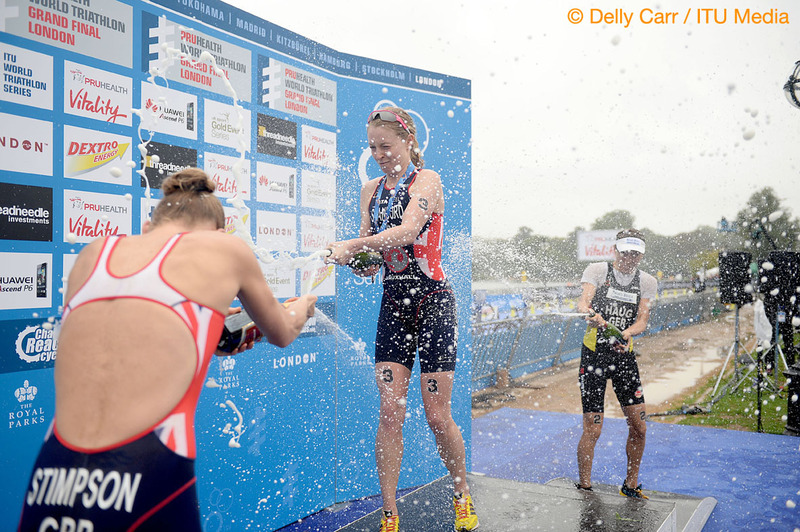 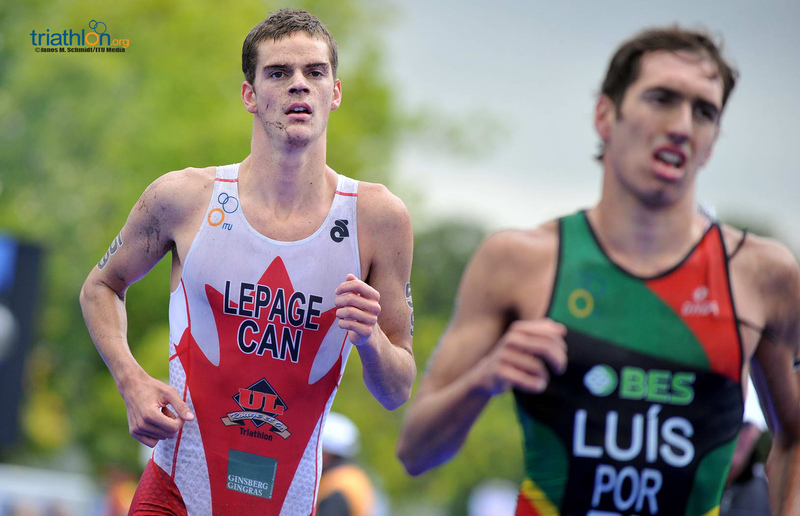 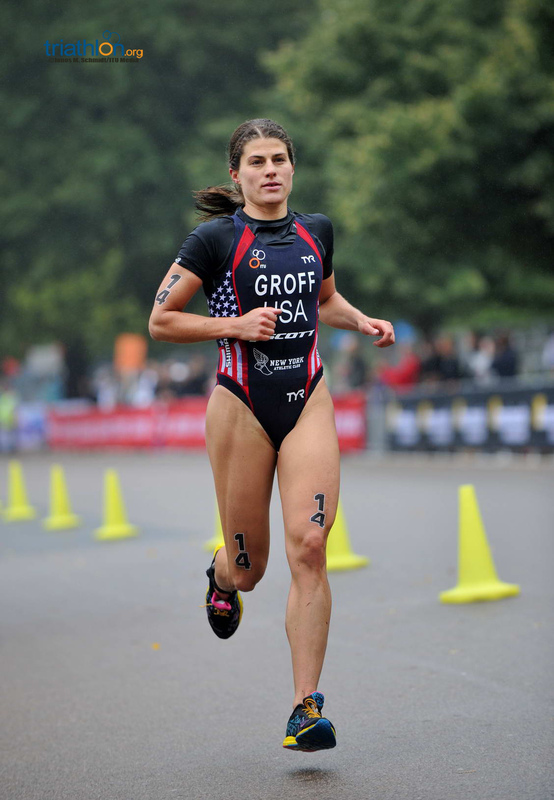 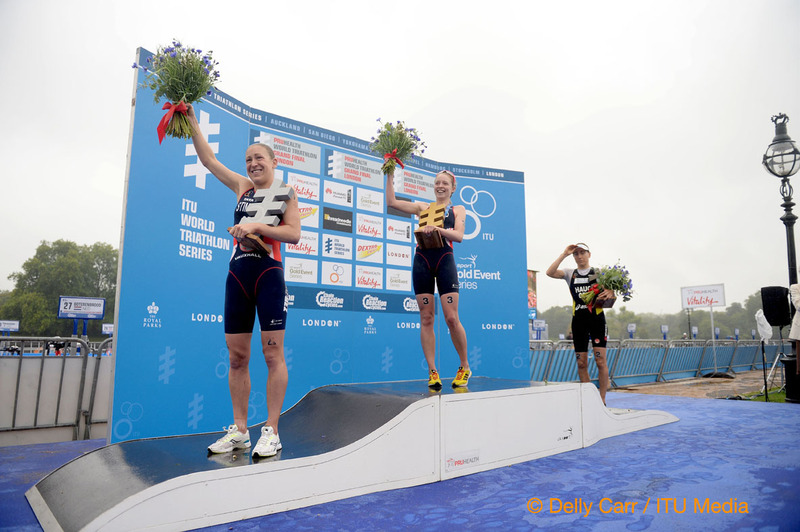 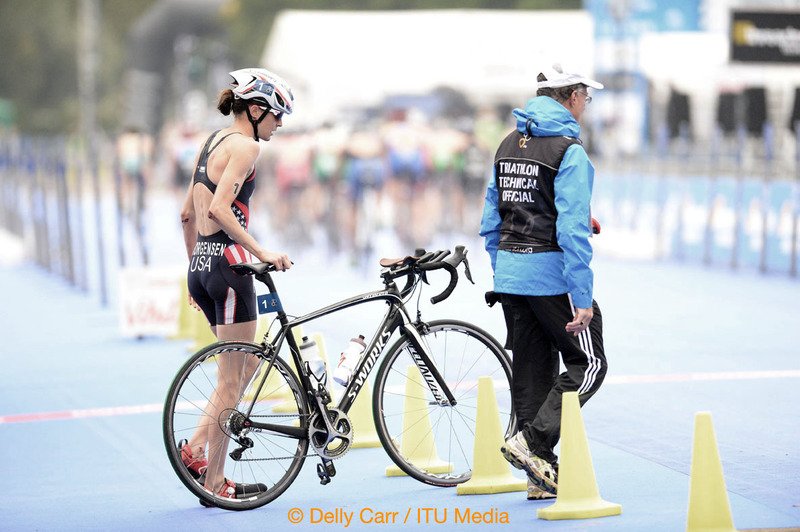 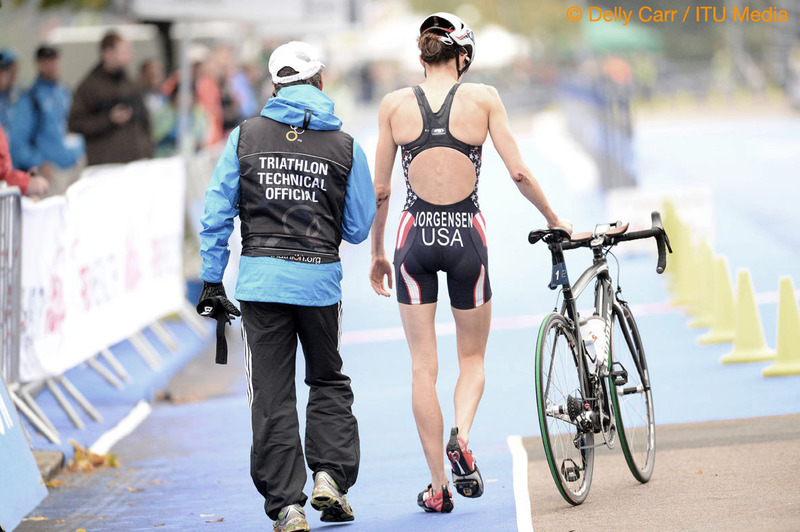 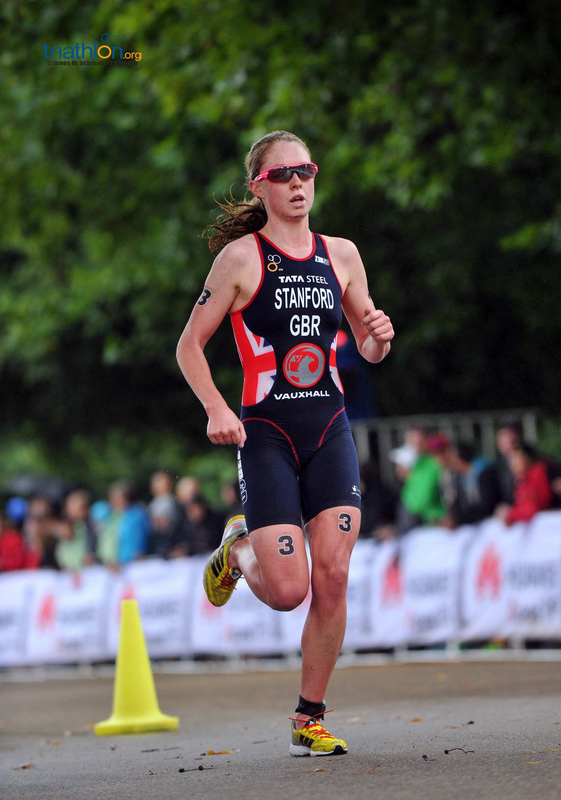 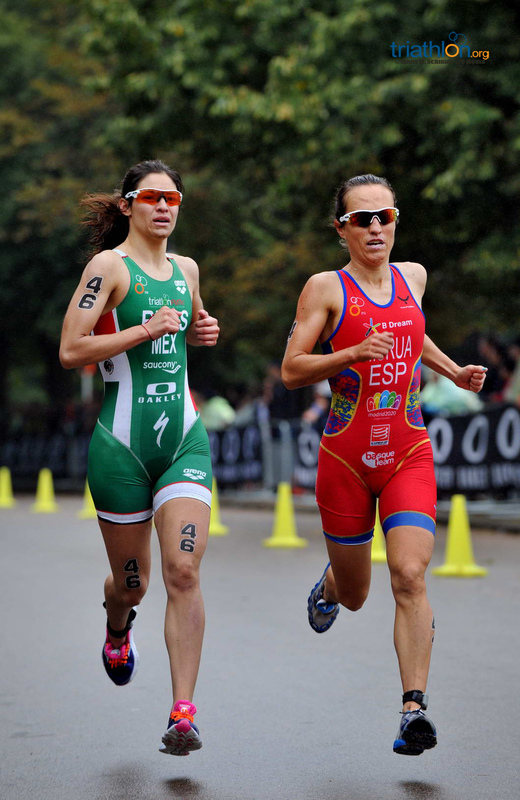 Van Egdom is the 2013 Junior Duathlon World Champion, as well as the this year’s Junior Cross Triathlon World Champion. 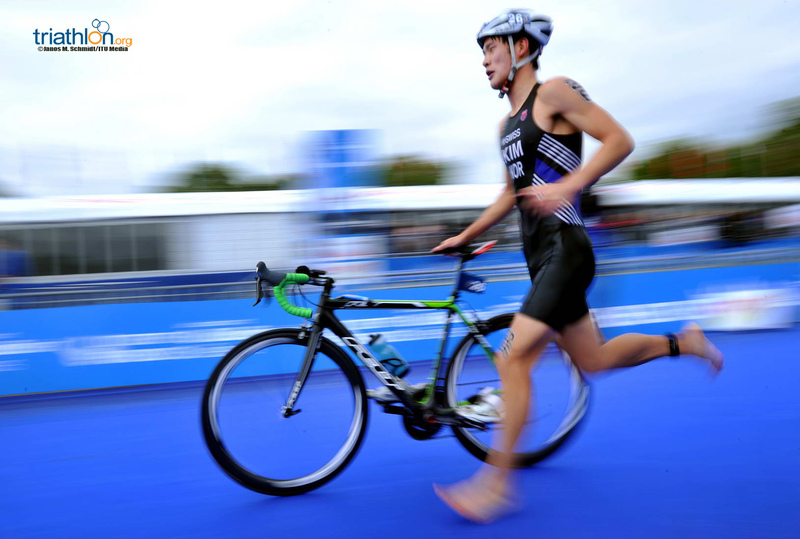 He also split the fastest run in Auckland and if his swim has improved at all, he will be a dangerous threat for the podium. 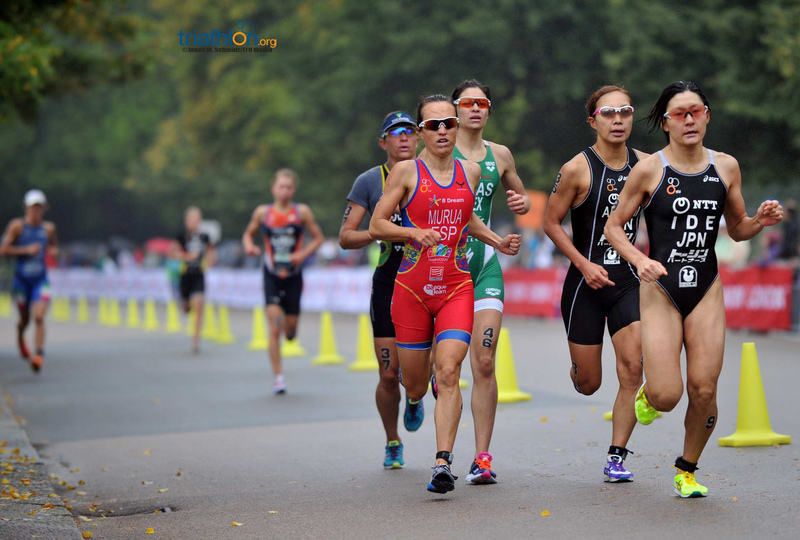 Others to keep an eye on include Oceania Continental Champion Jacob Birtwhistle (AUS) and Asia’s silver medallist Perry Wong (HKG). 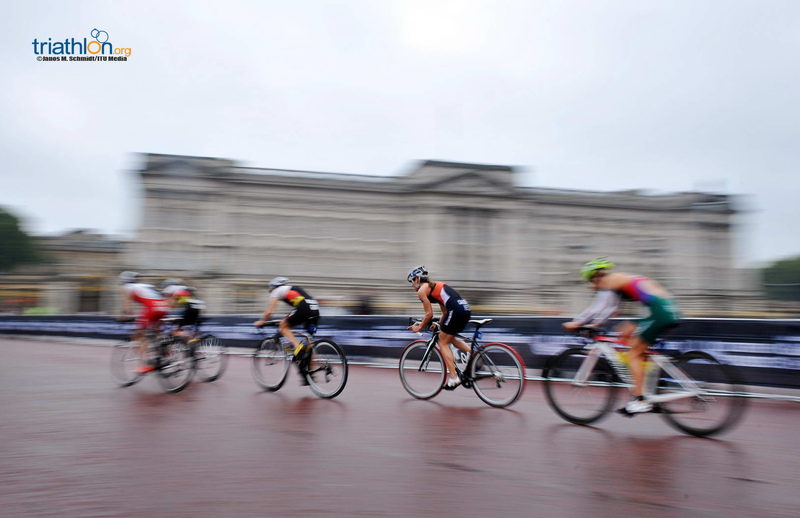 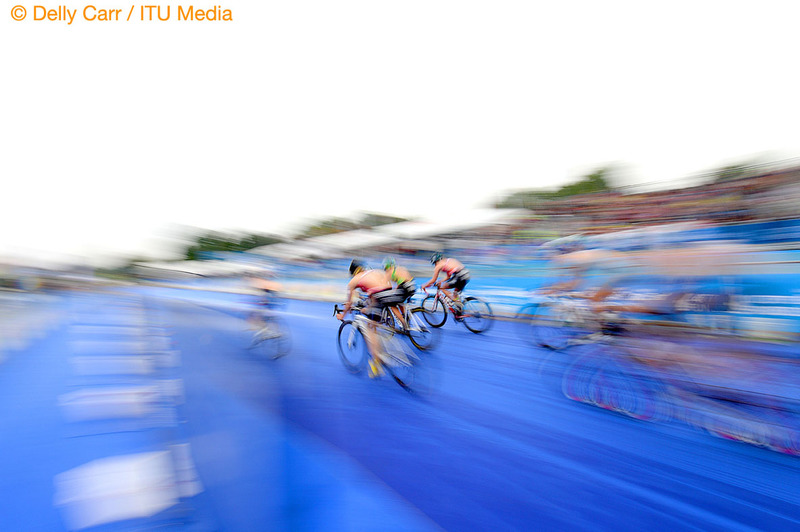 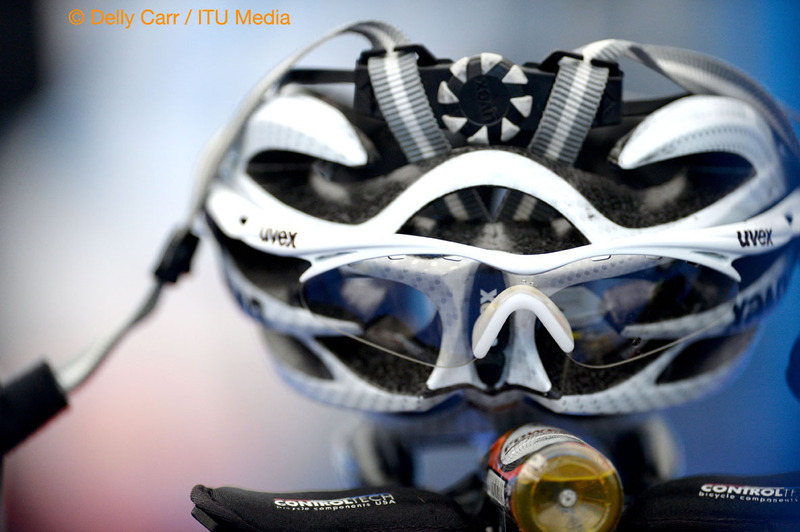 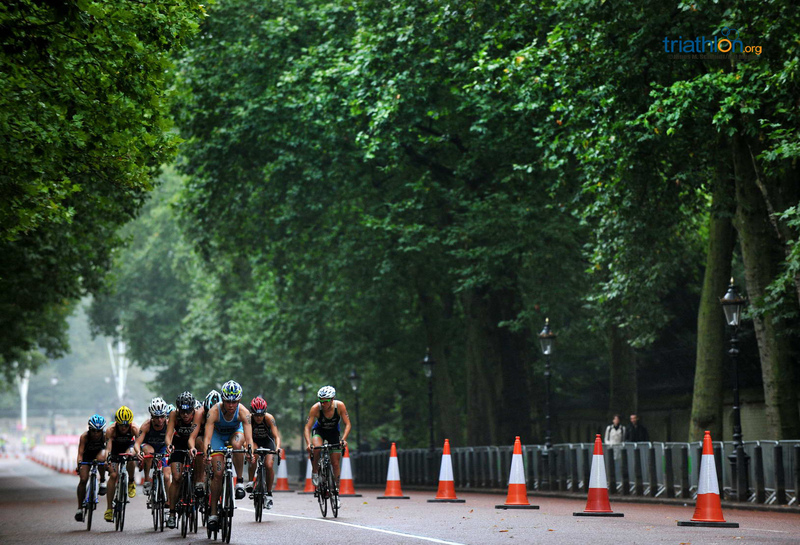 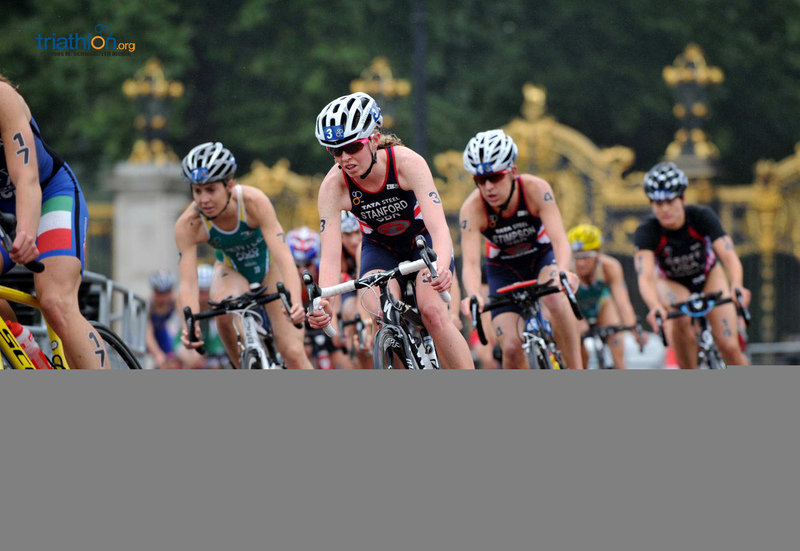 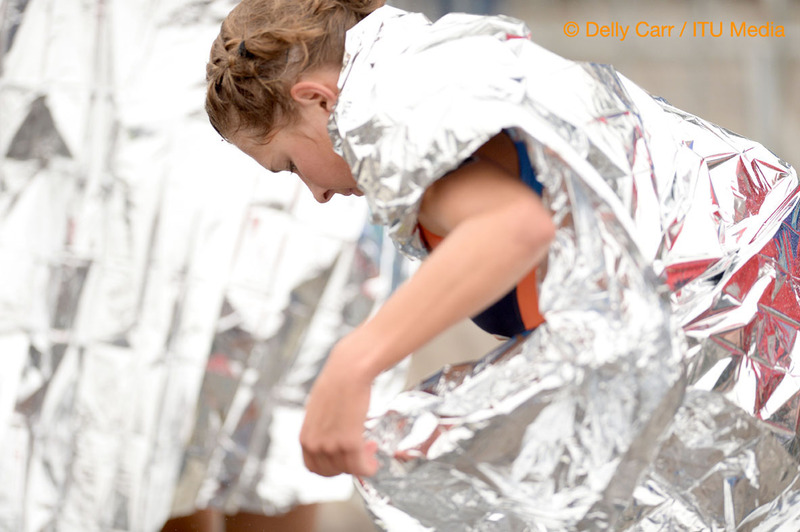 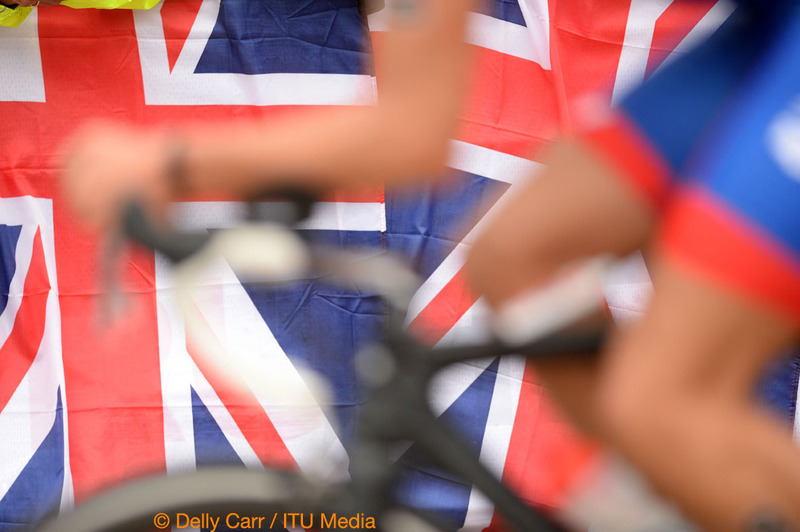 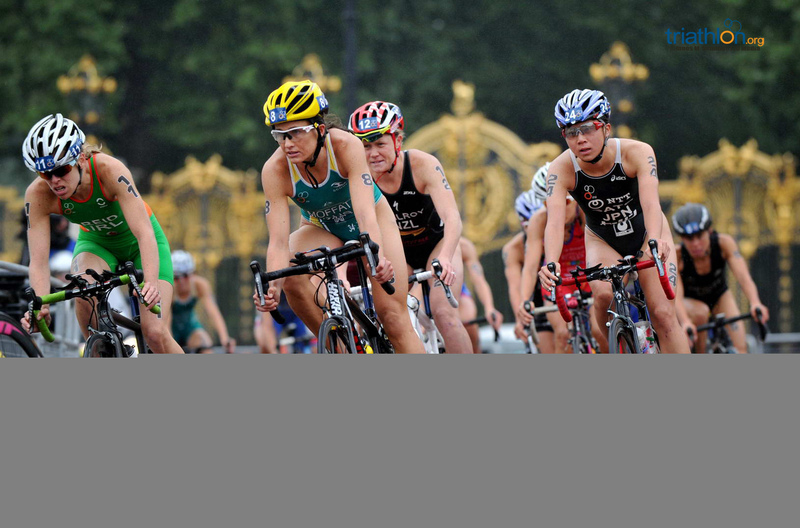 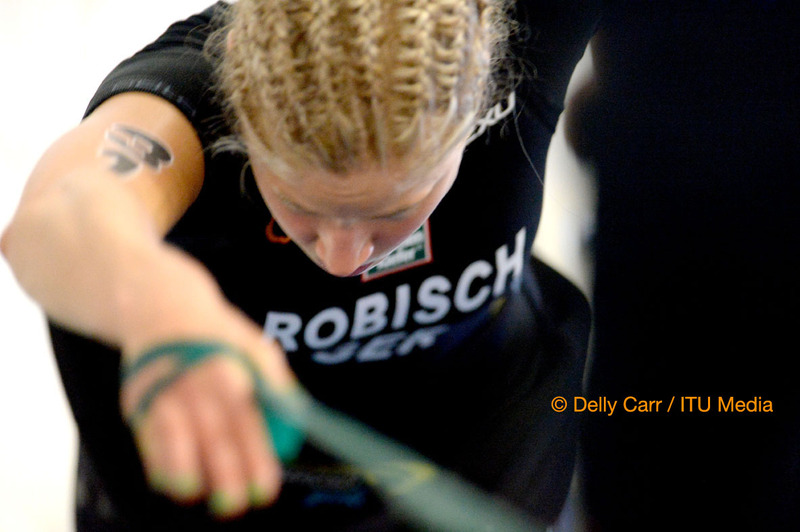 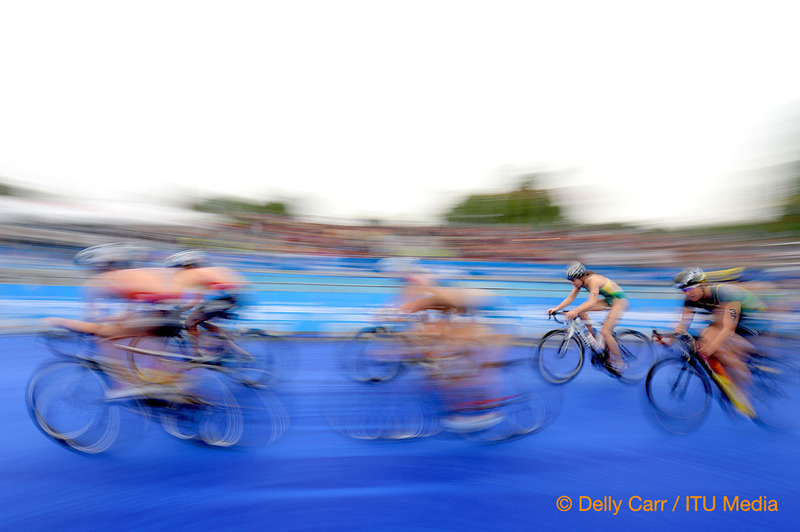 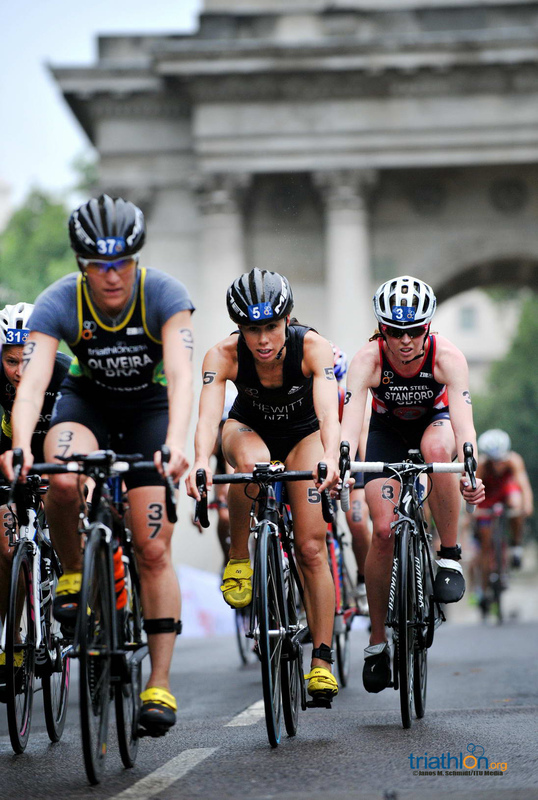 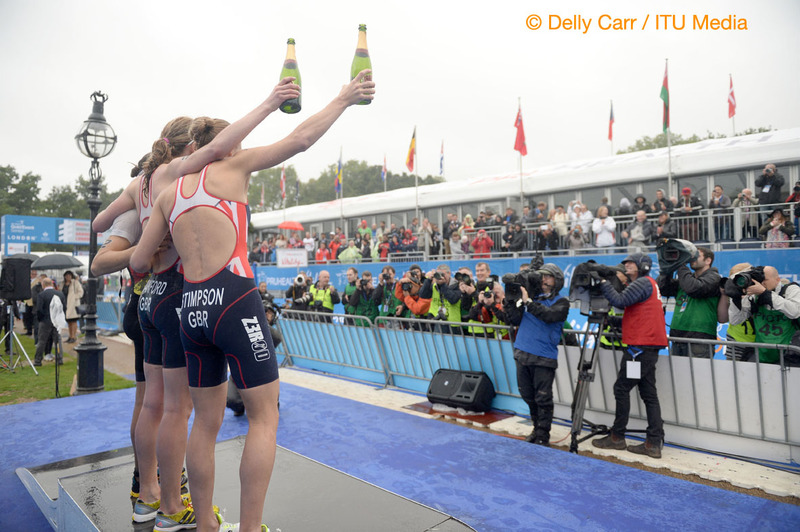 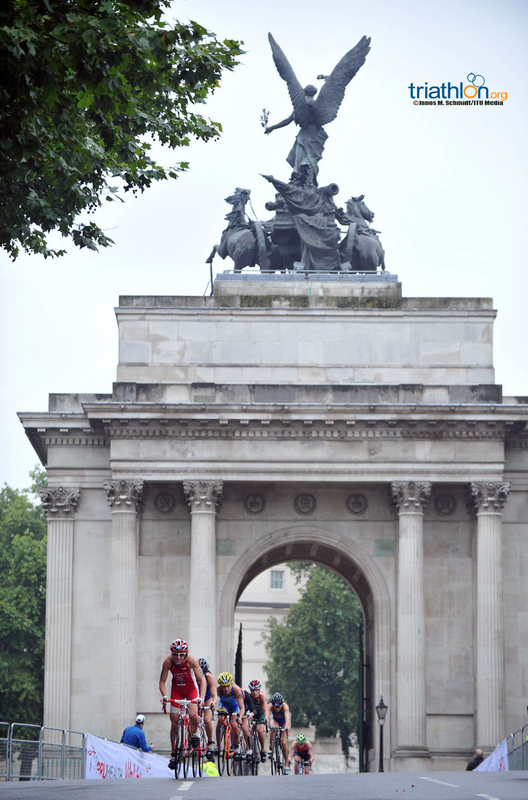 The women’s race will get underway at 8:00am local London time, while the men’s race will start at 10:00am. 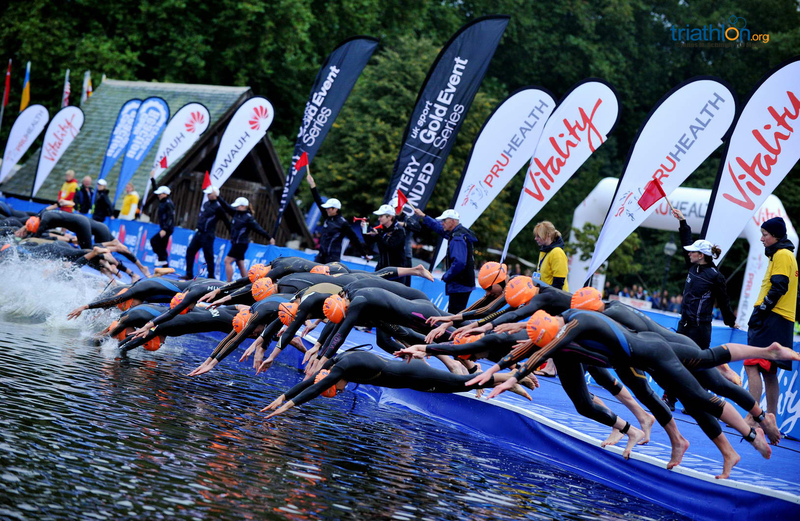 Please also note the start lists are subject to change. 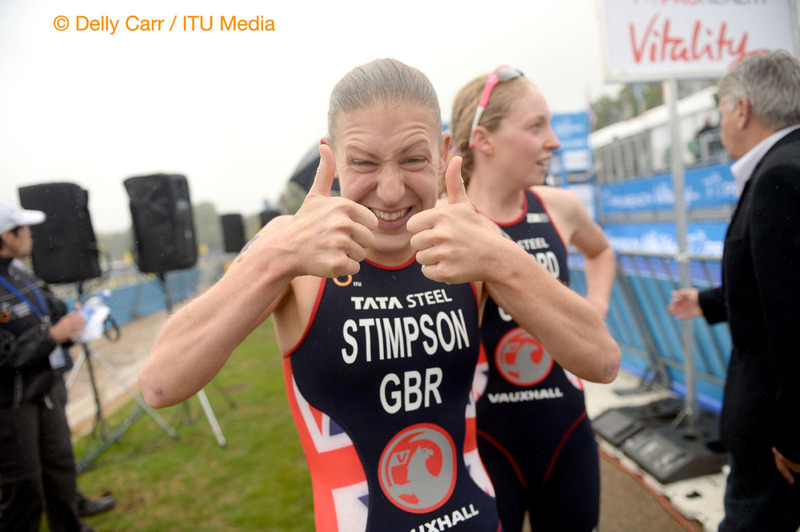 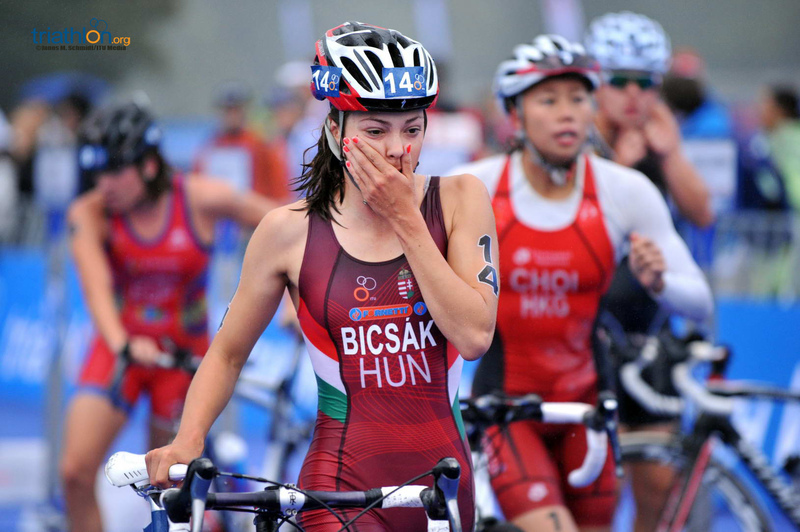 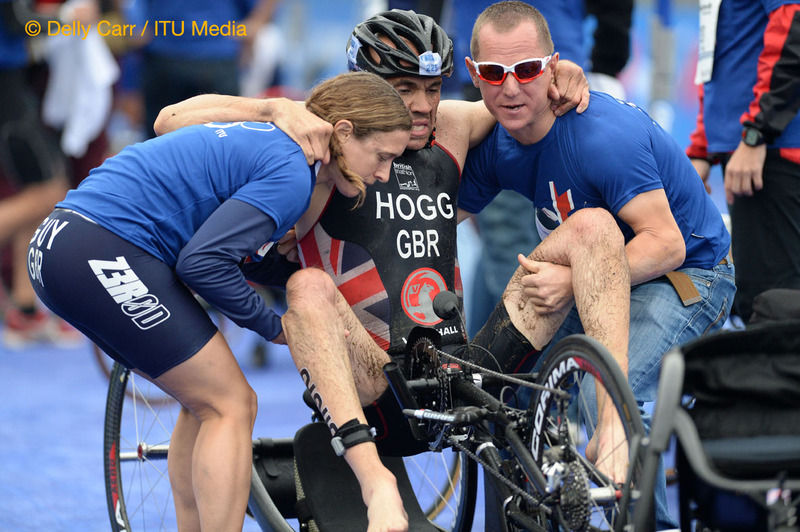 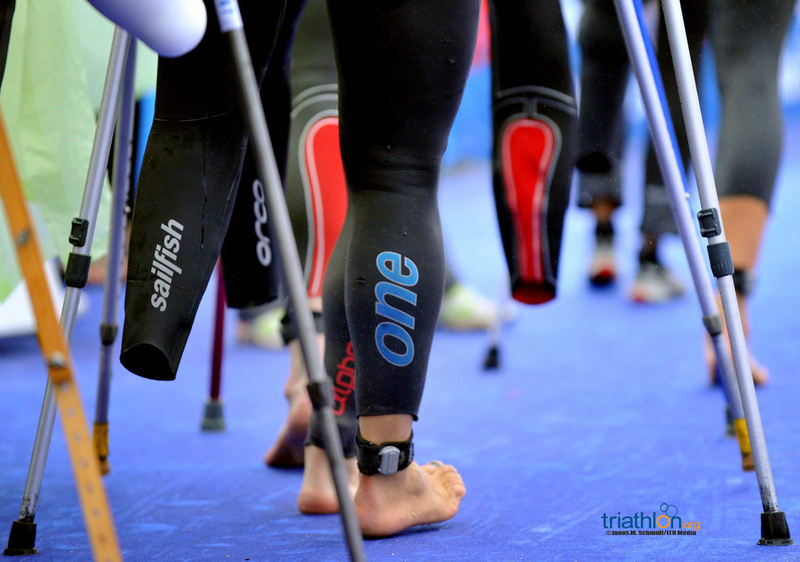 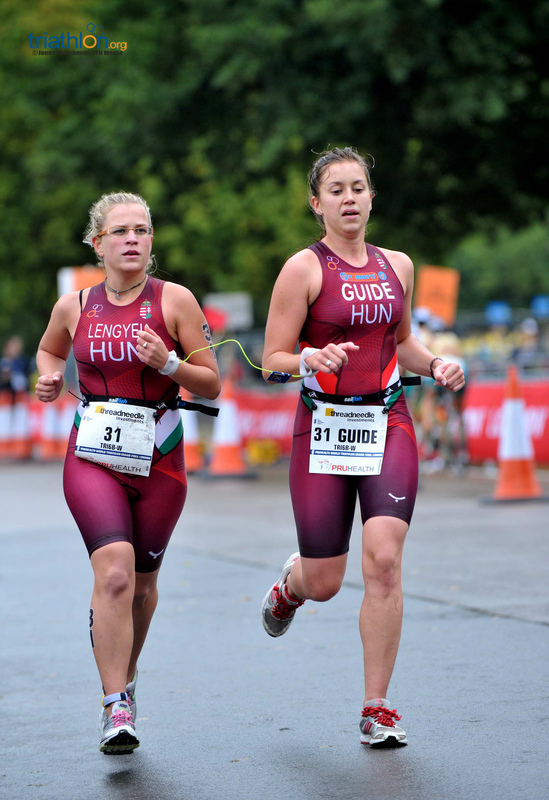 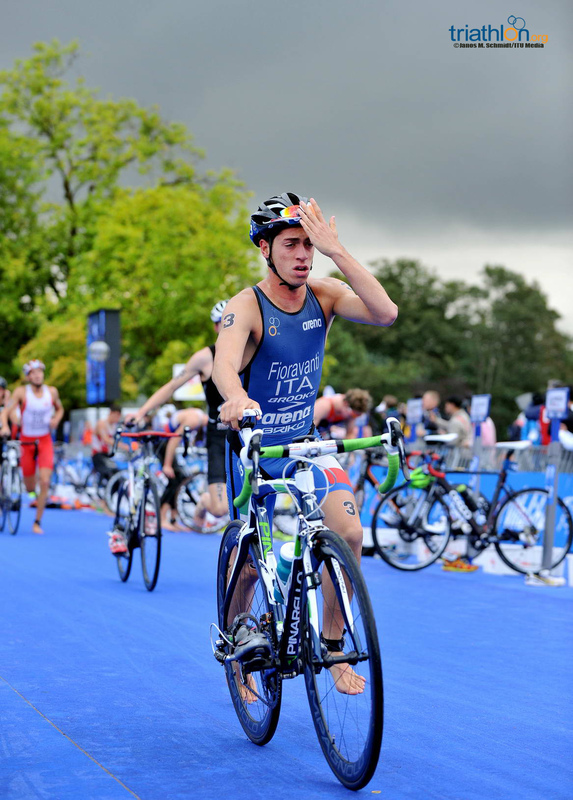 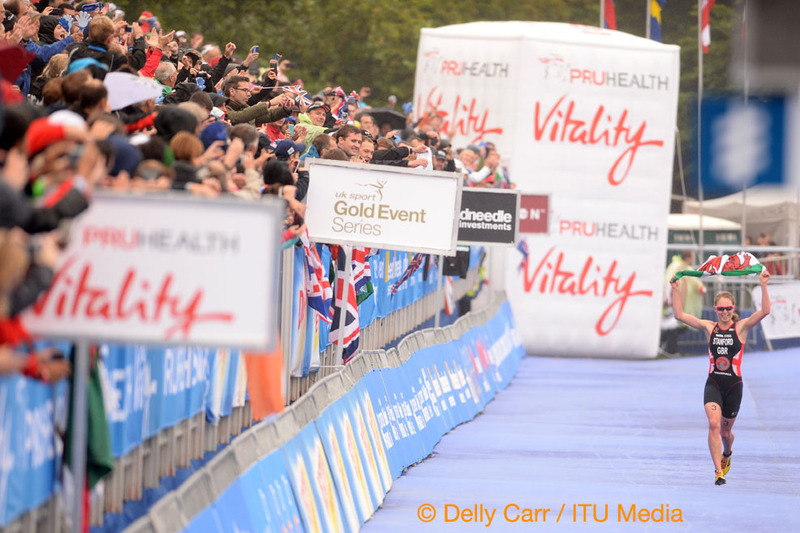 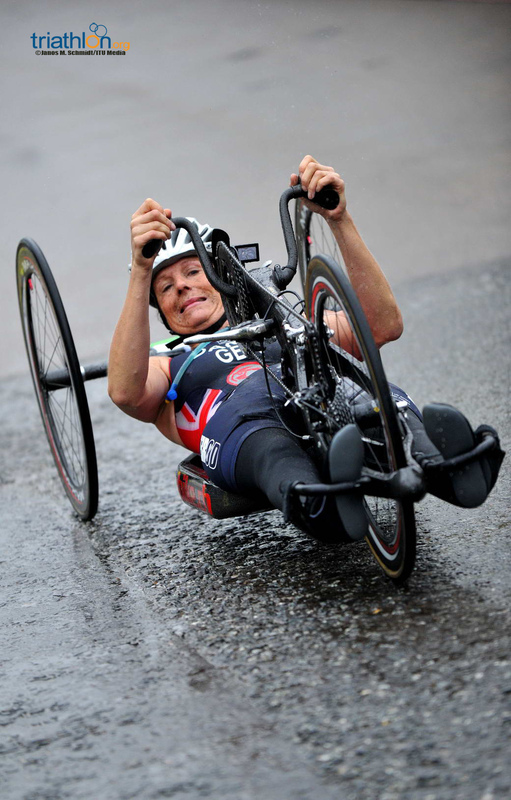 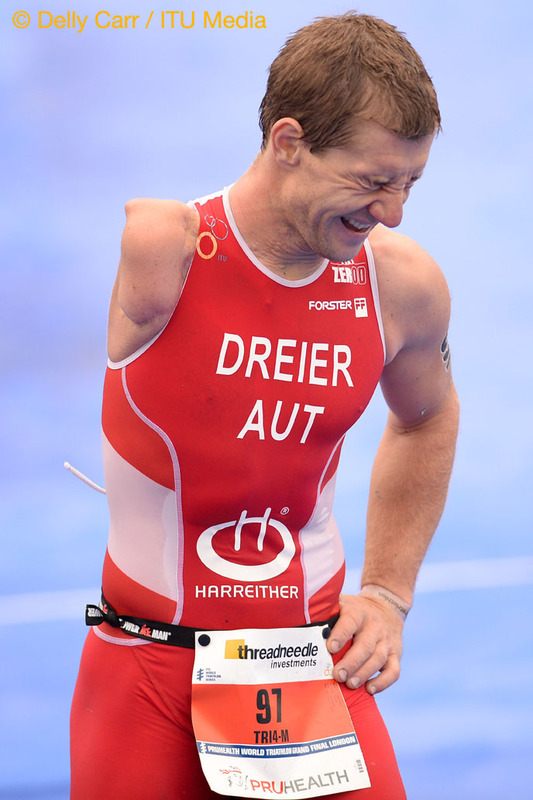 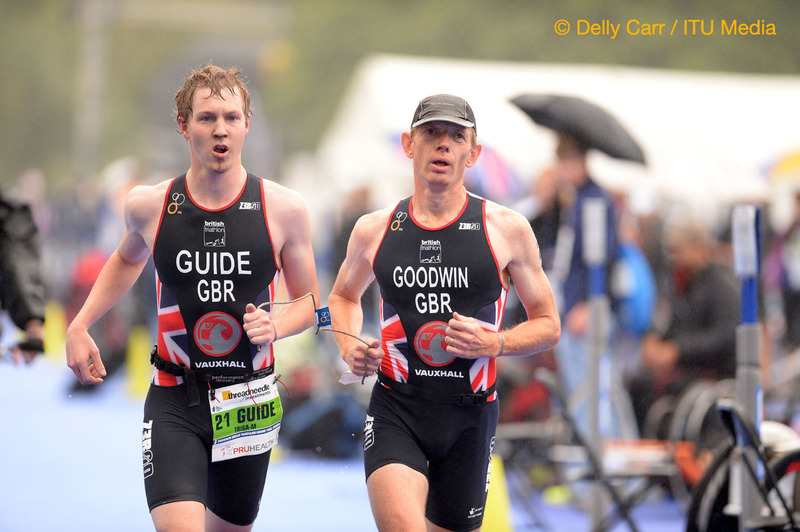 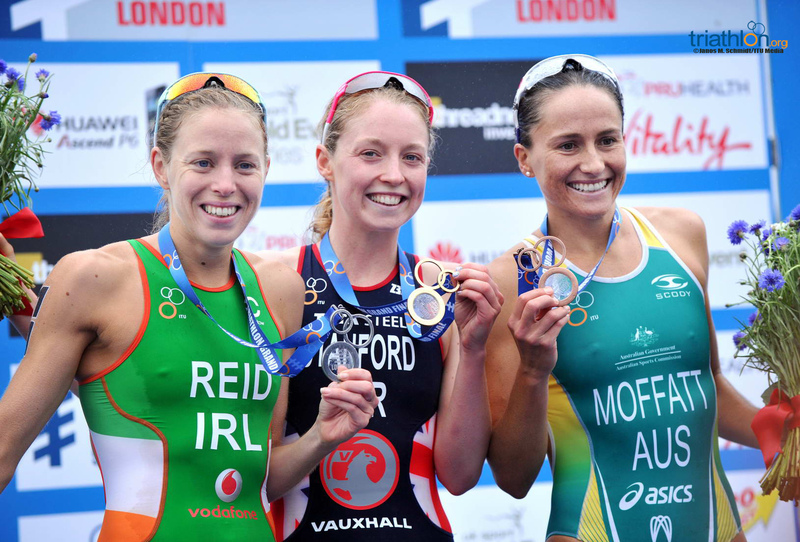 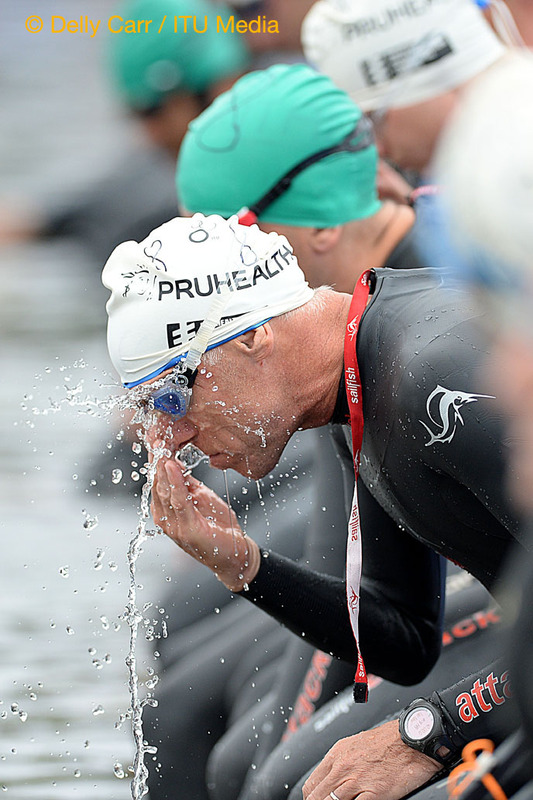 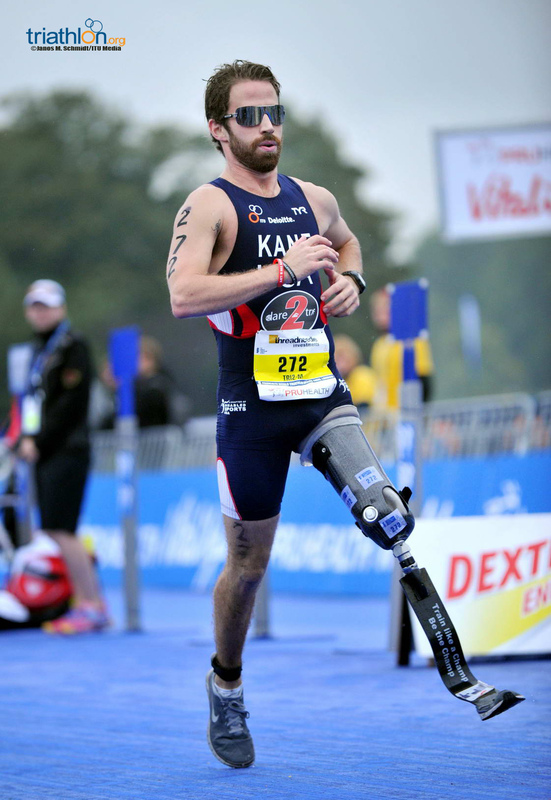 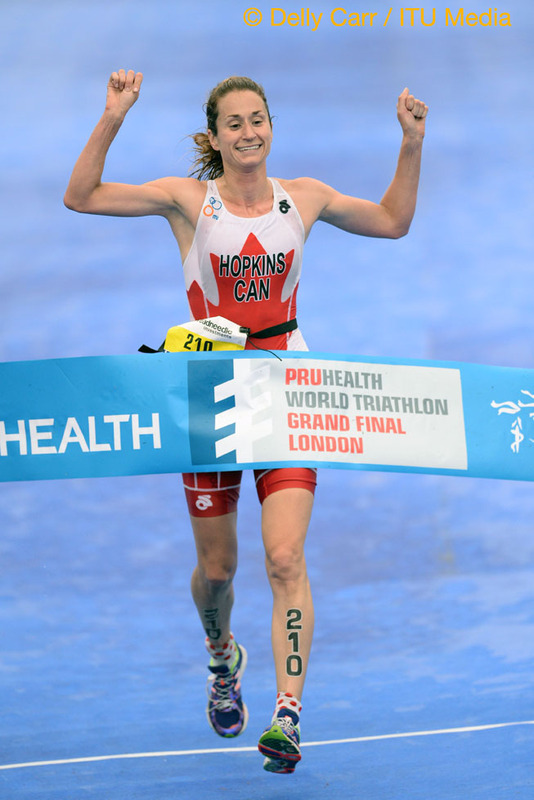 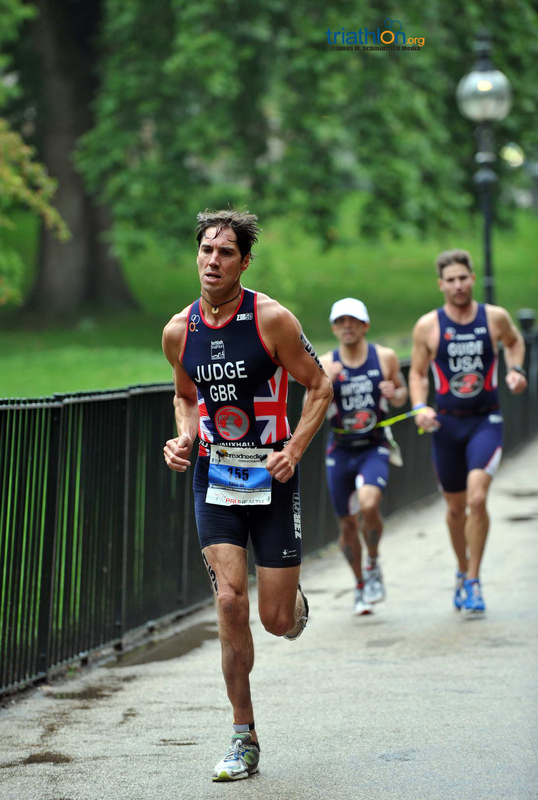 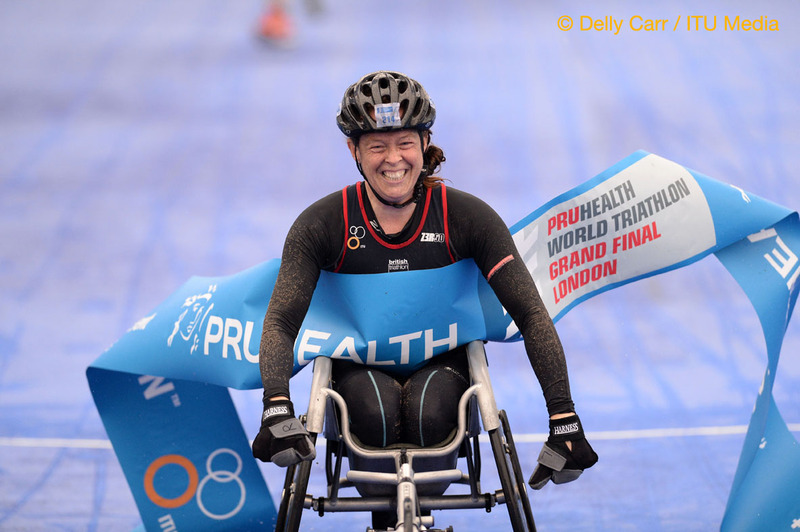 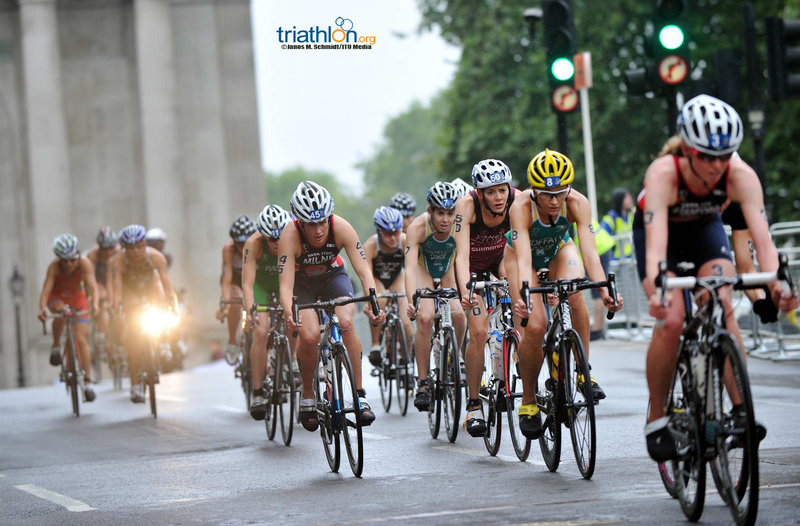 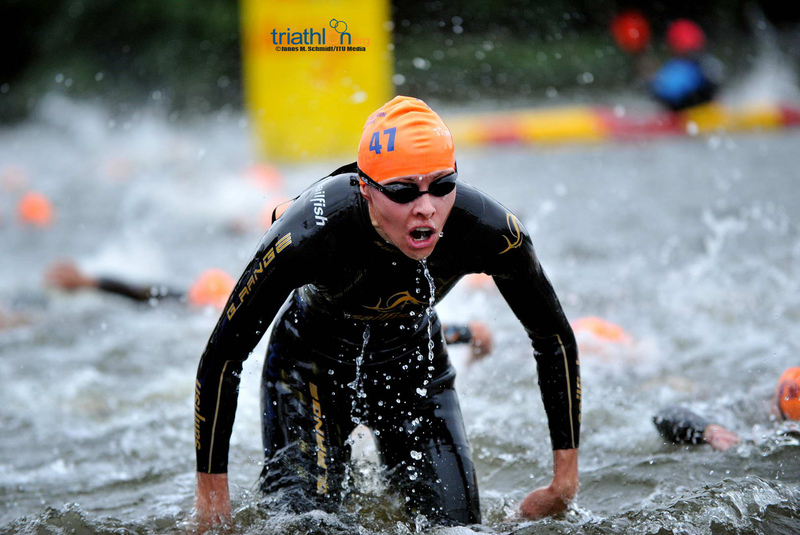 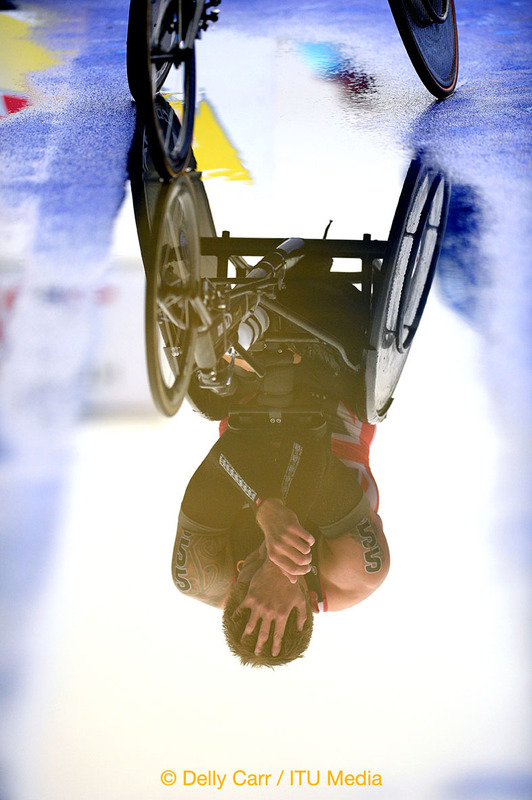 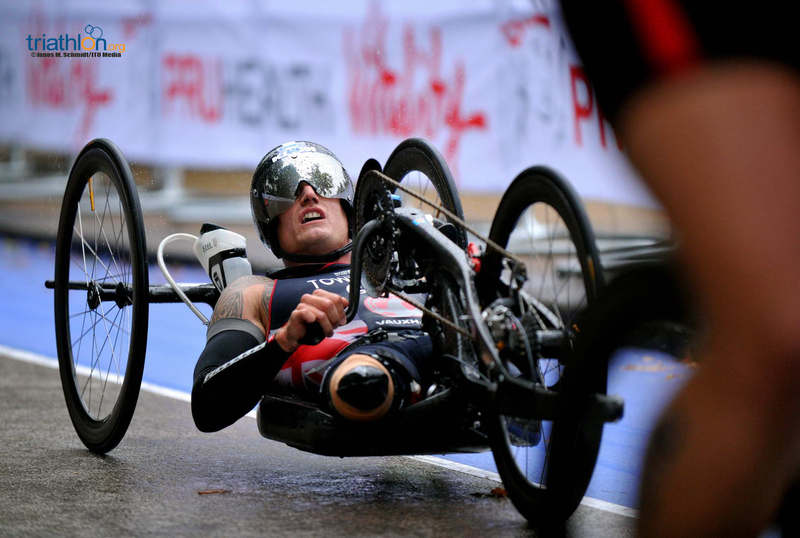 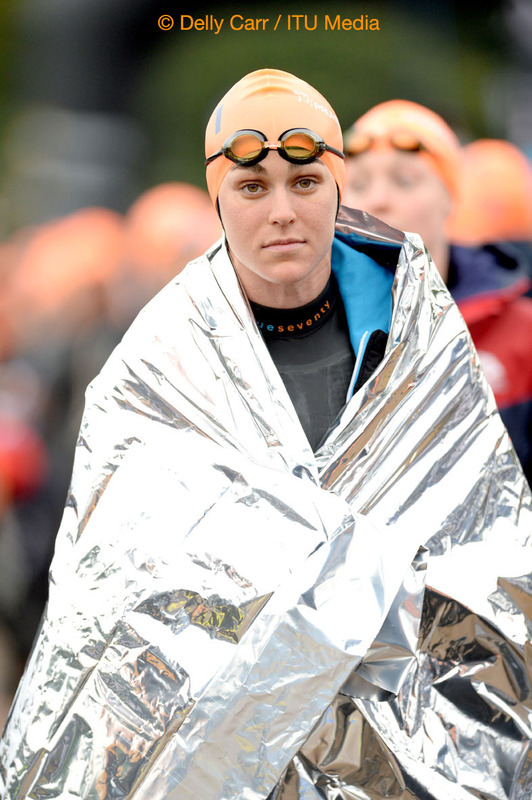 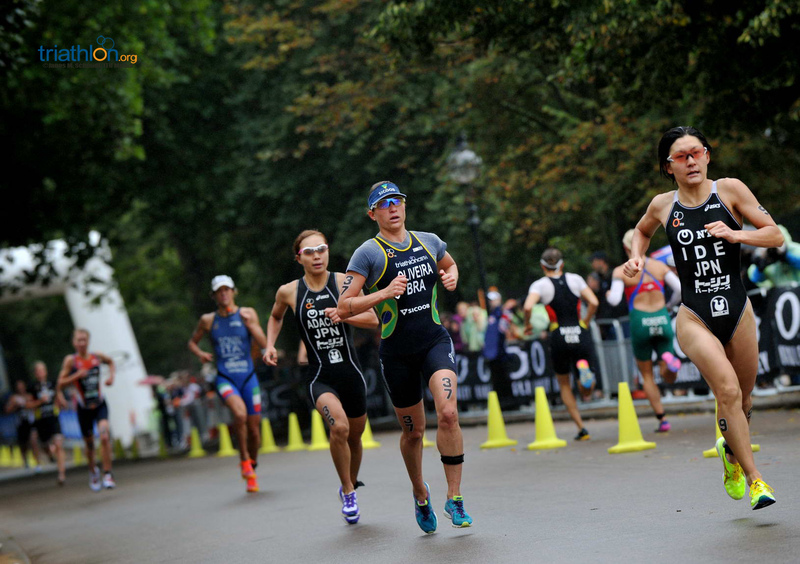 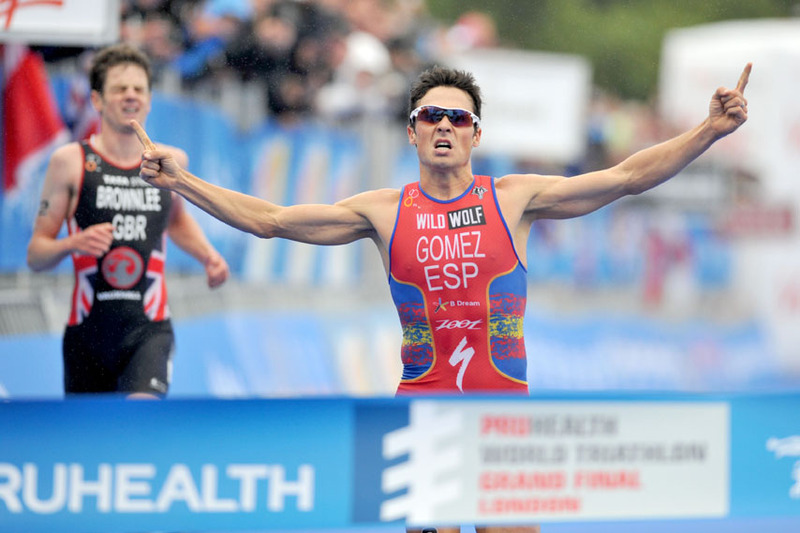 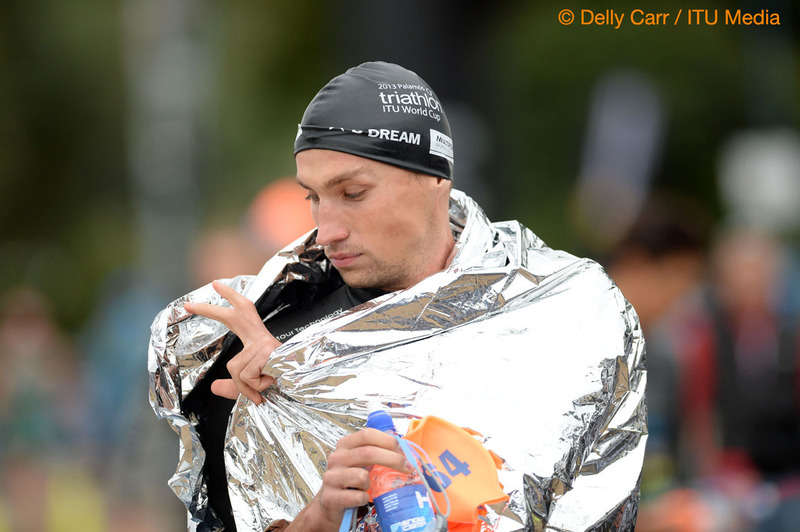 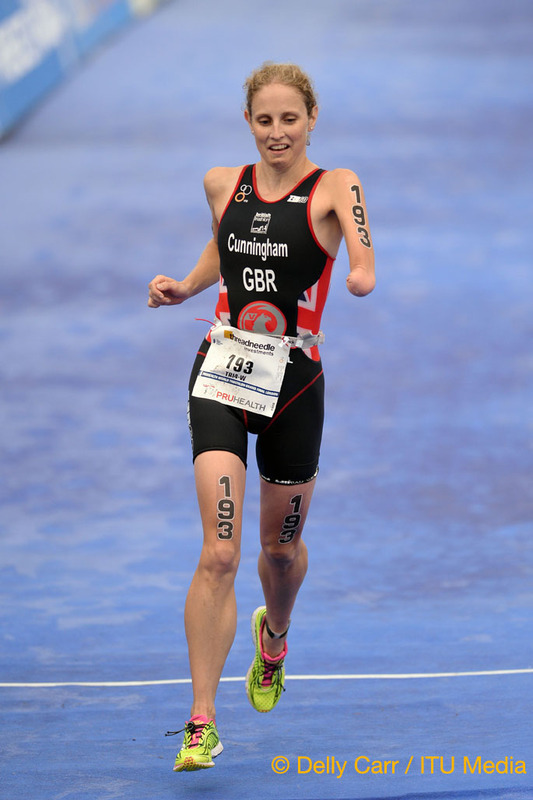 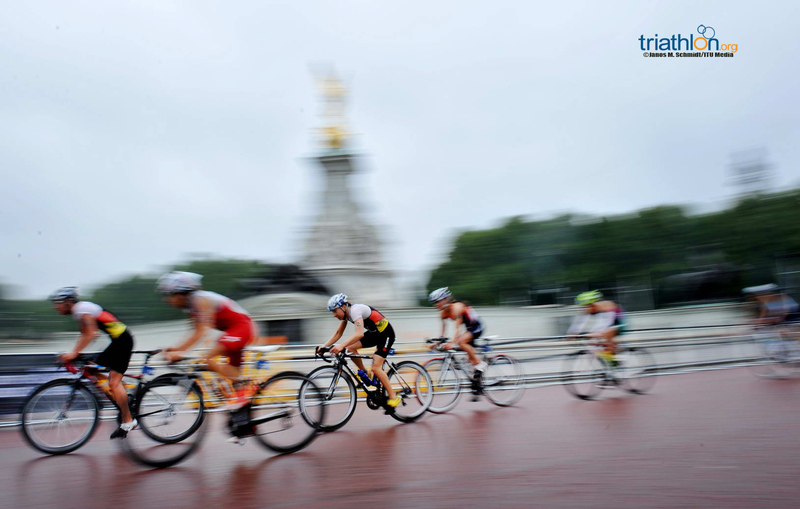 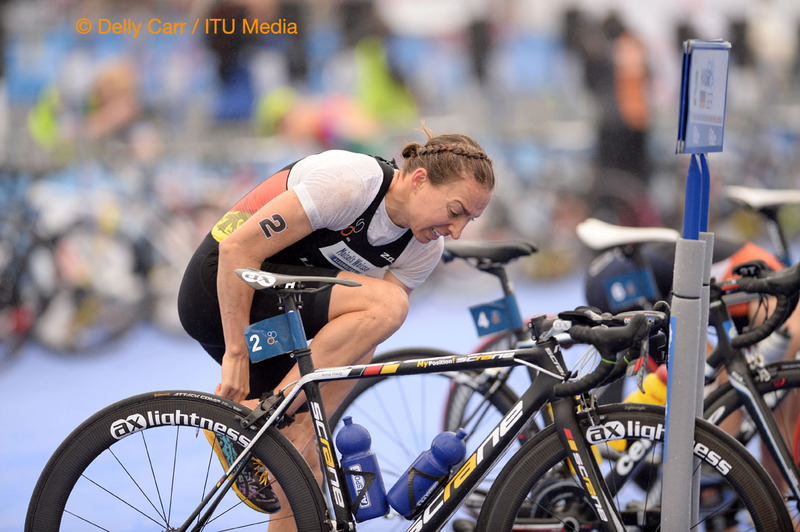 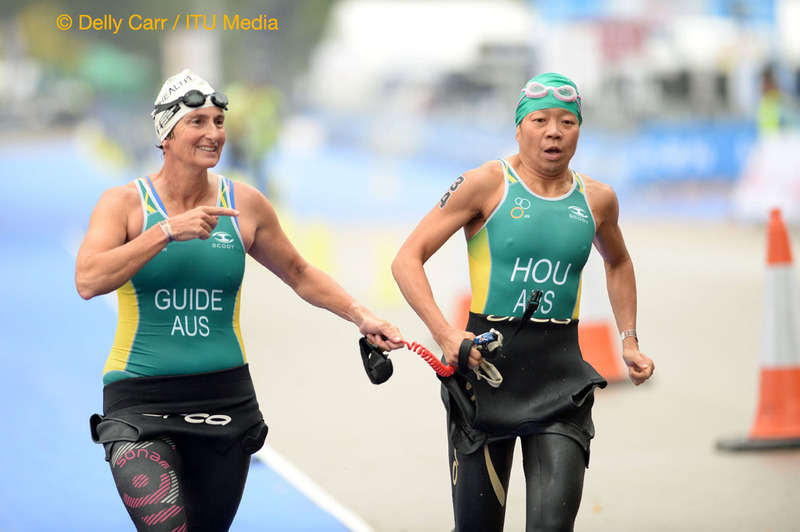 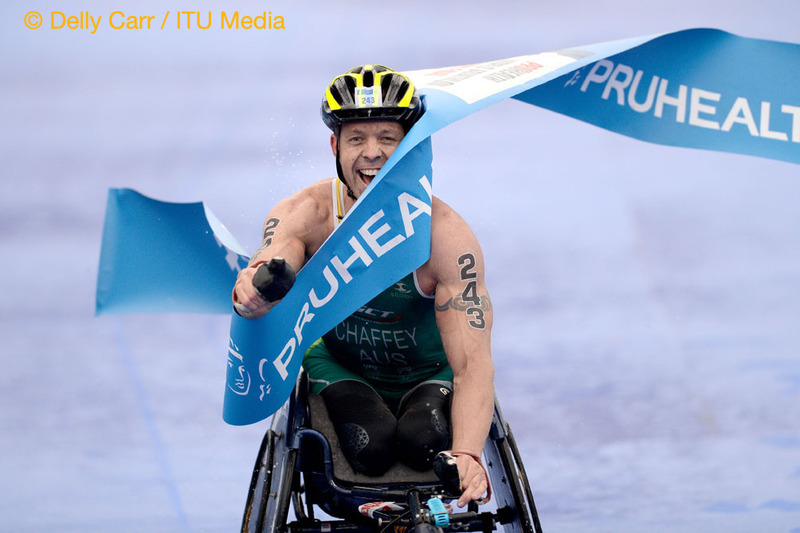 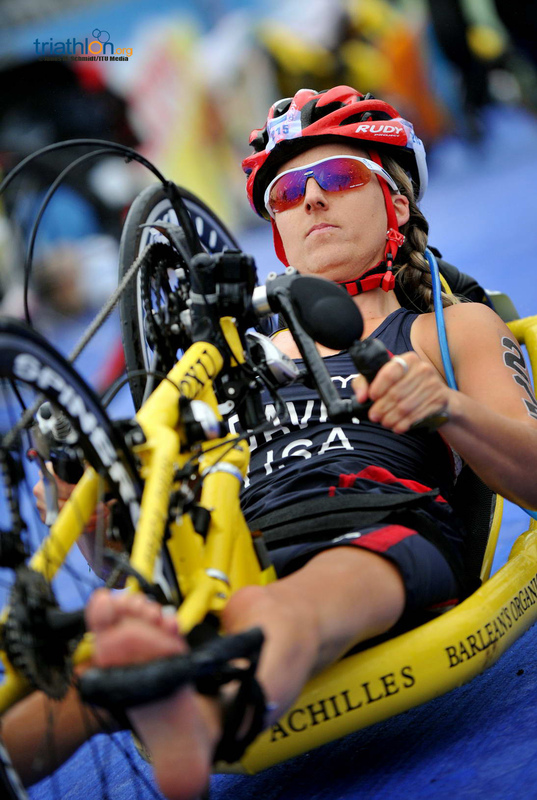 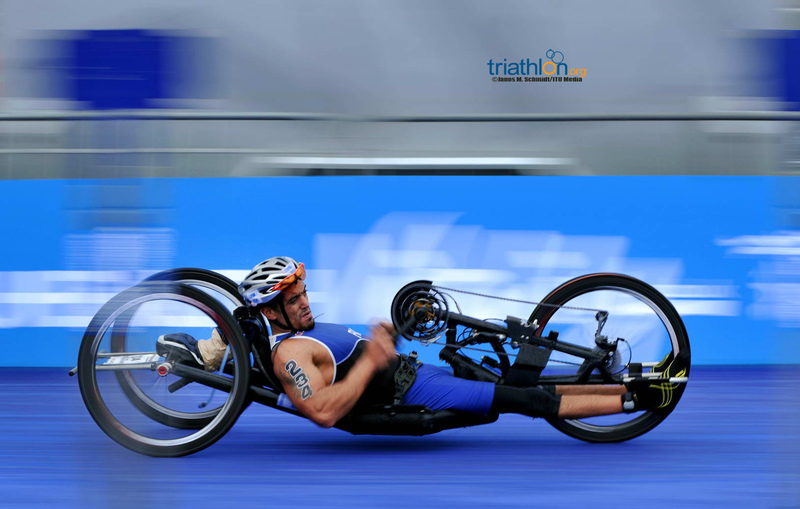 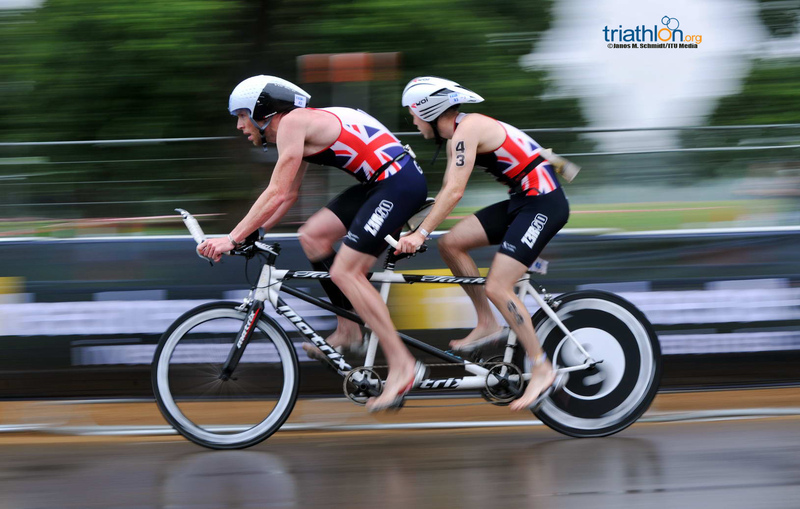 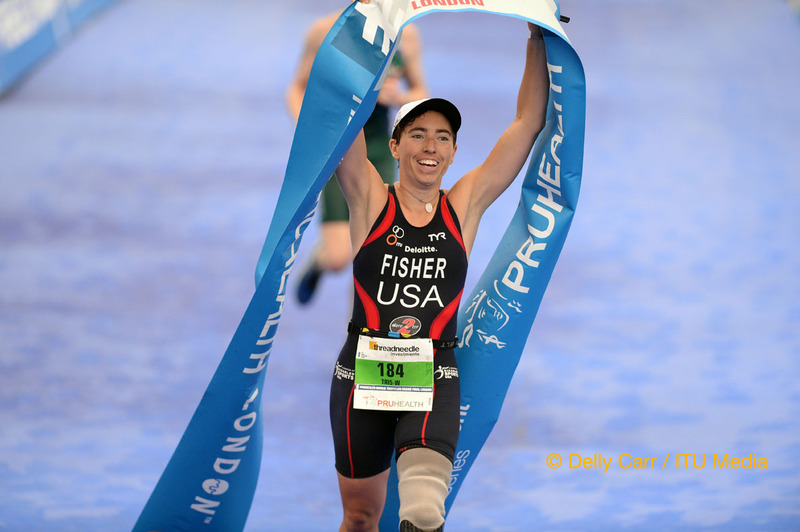 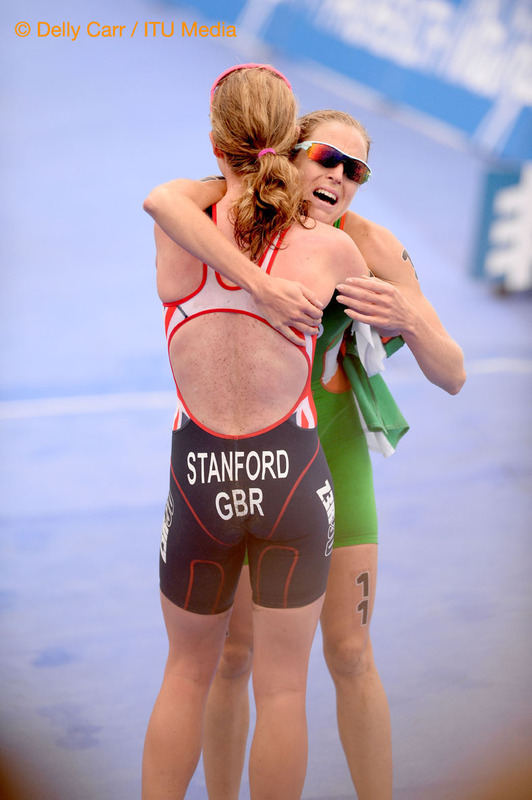 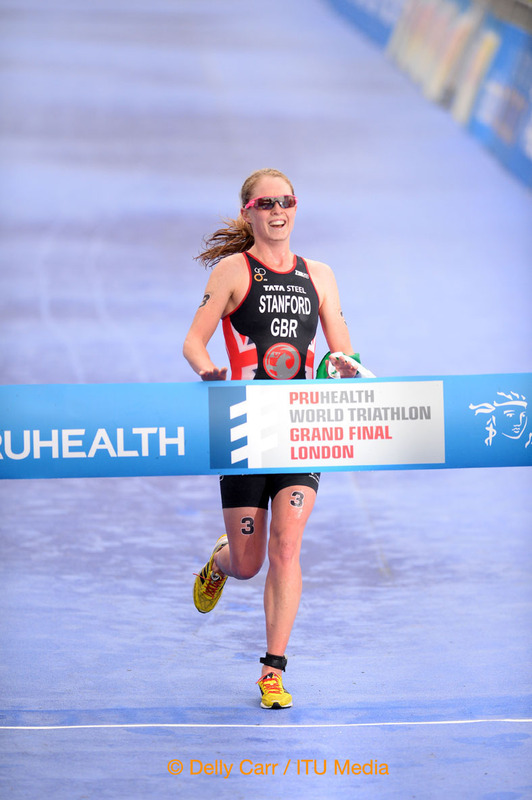 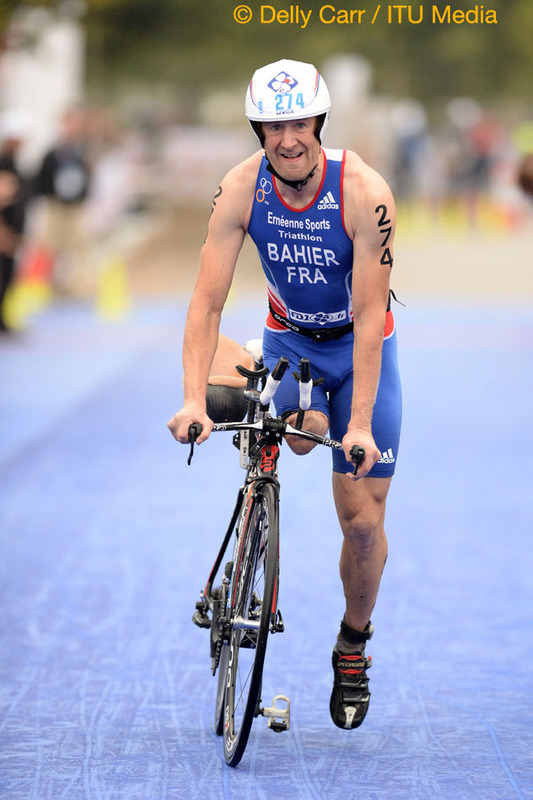 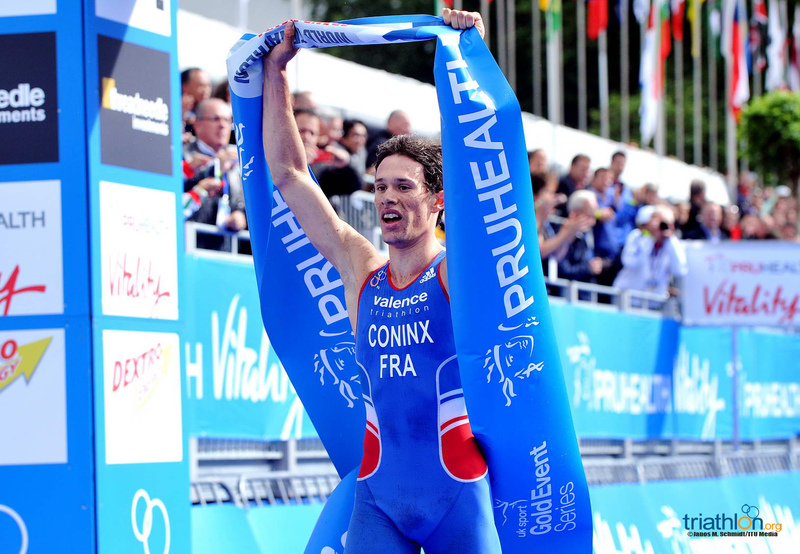 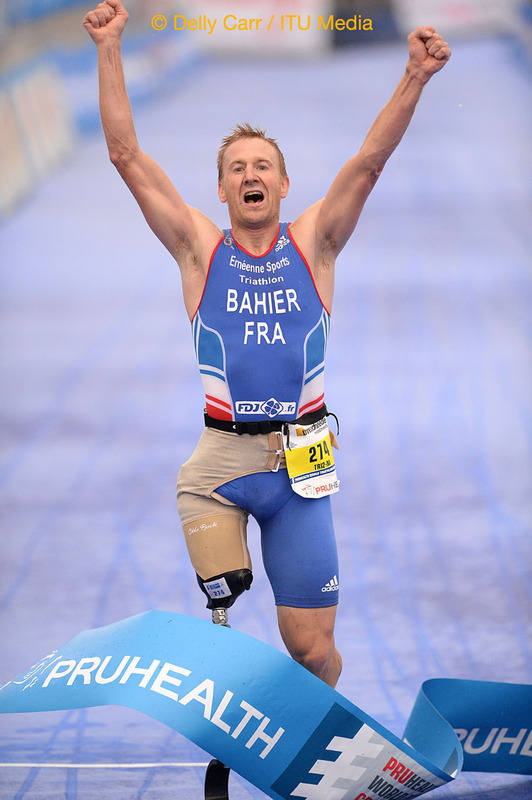 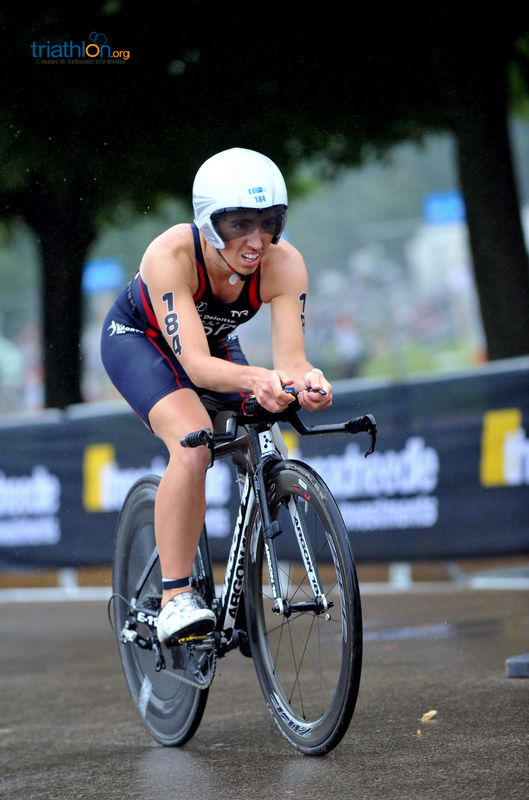 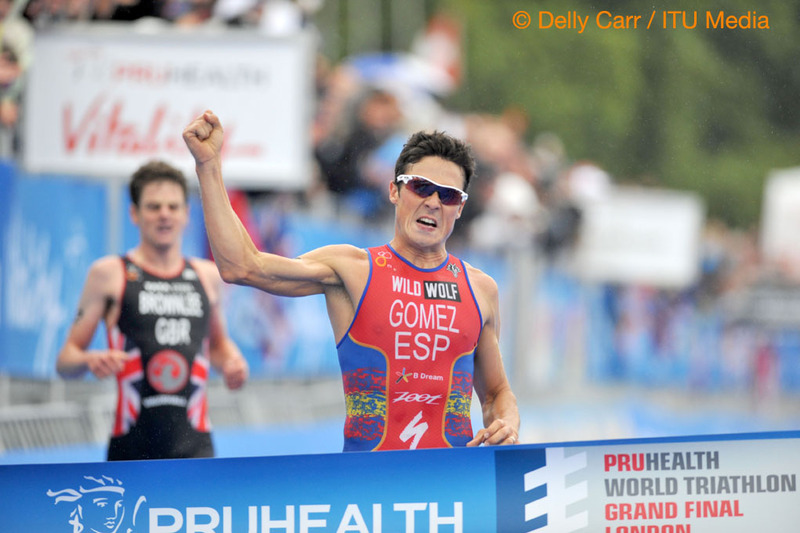 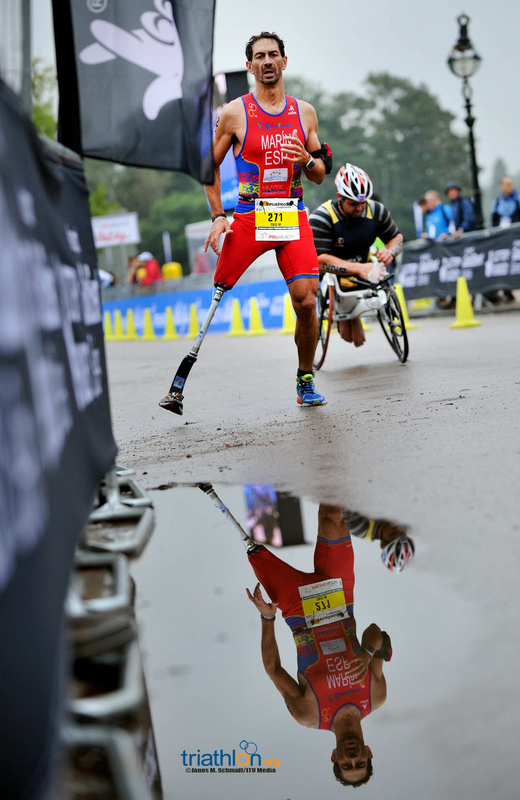 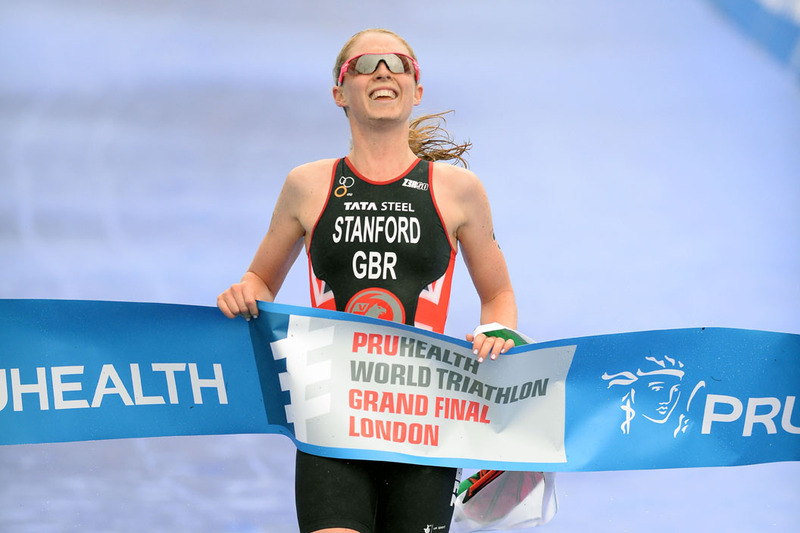 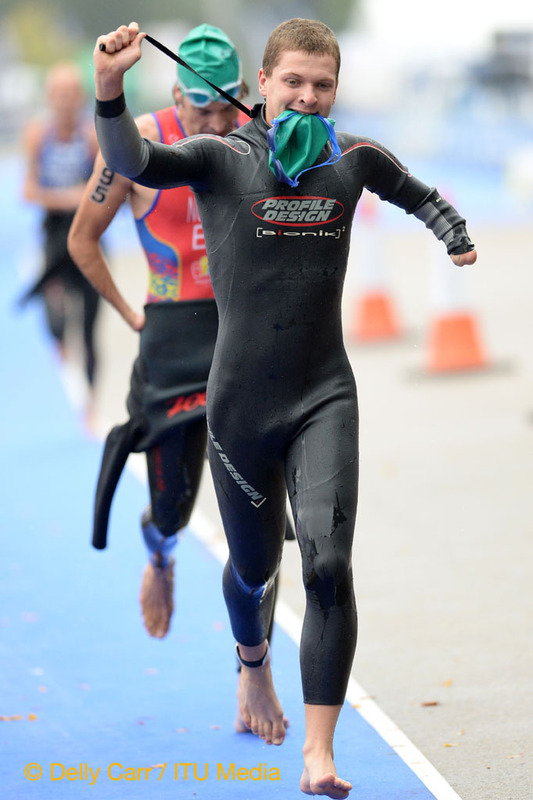 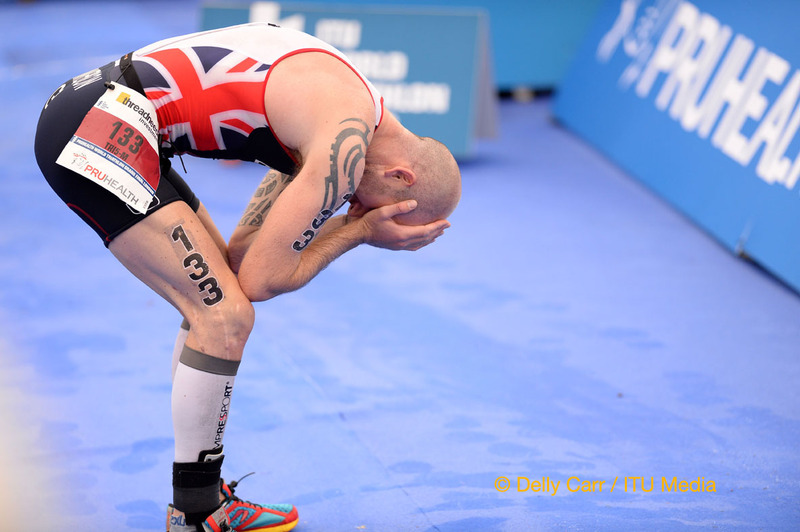 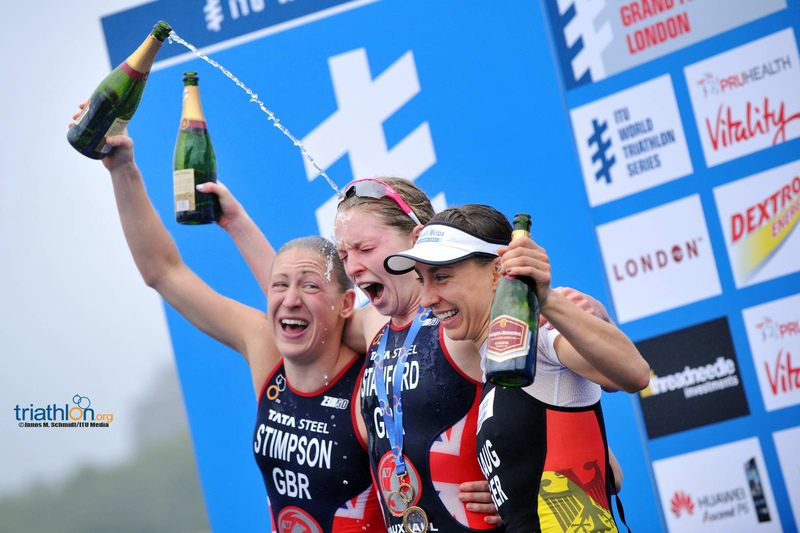 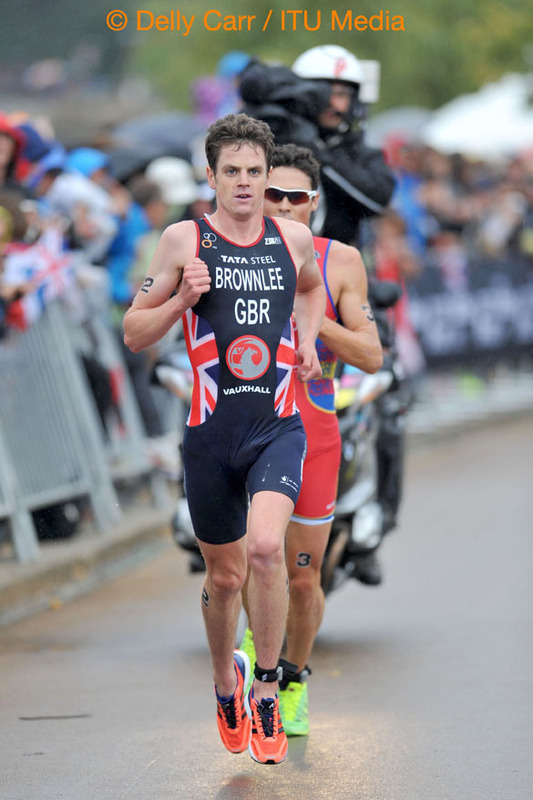 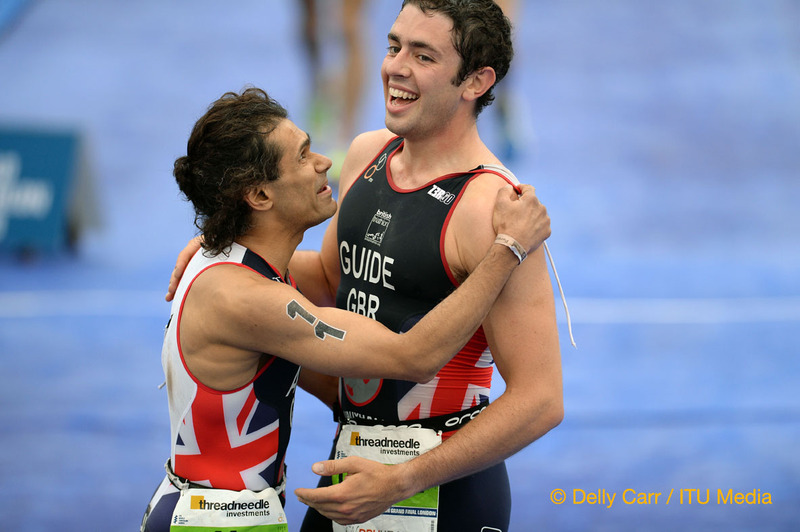 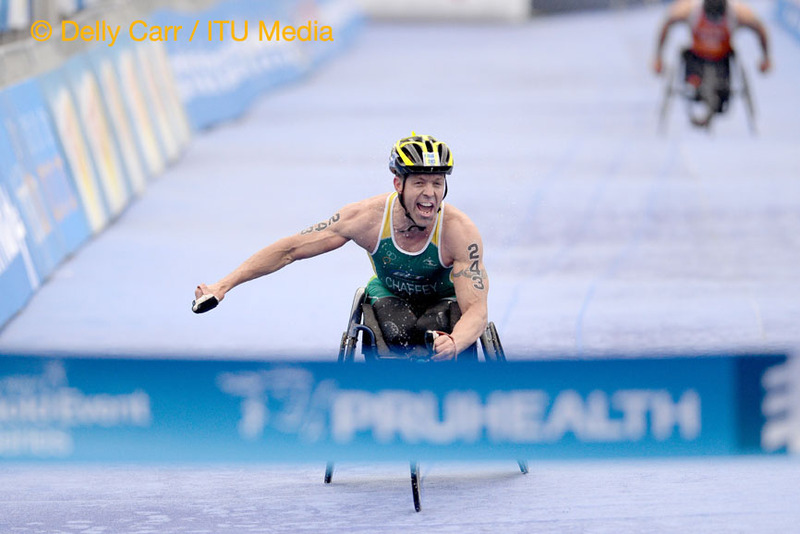 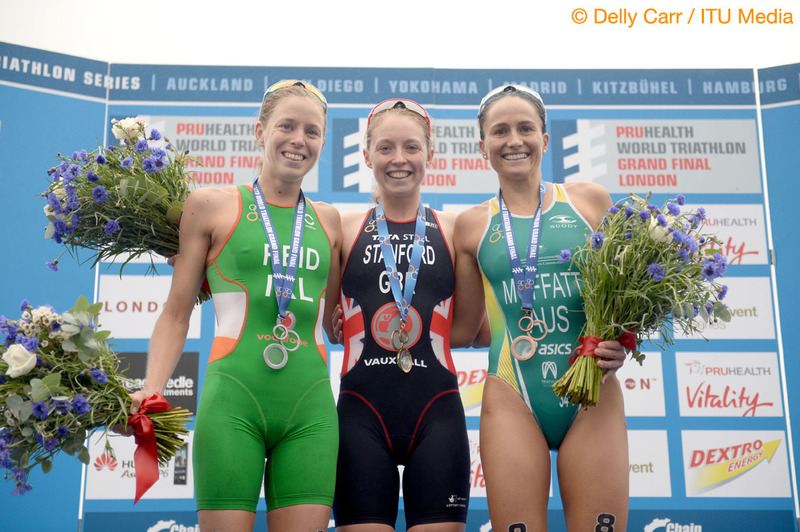 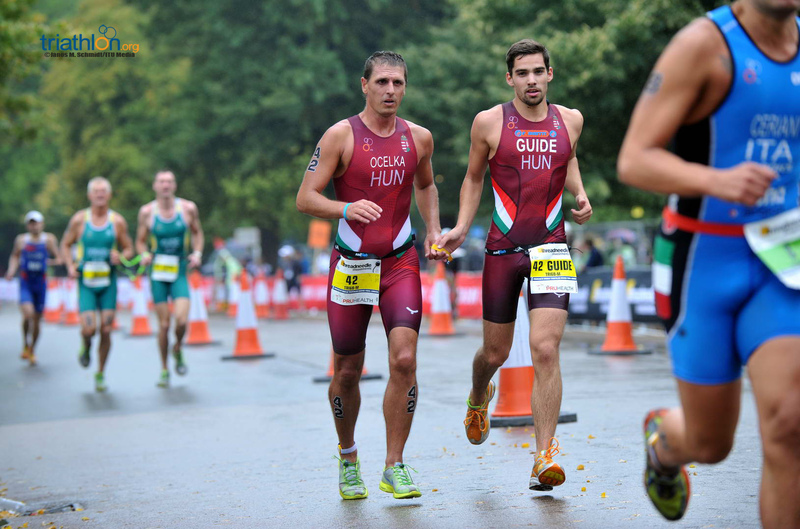 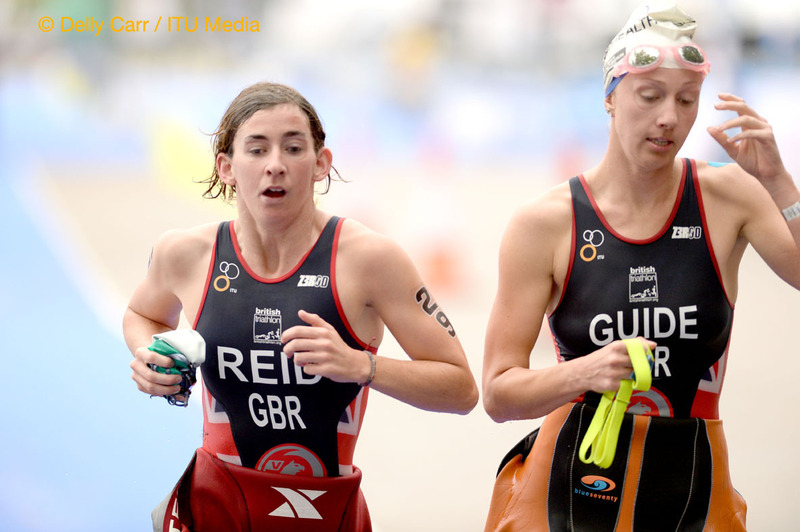 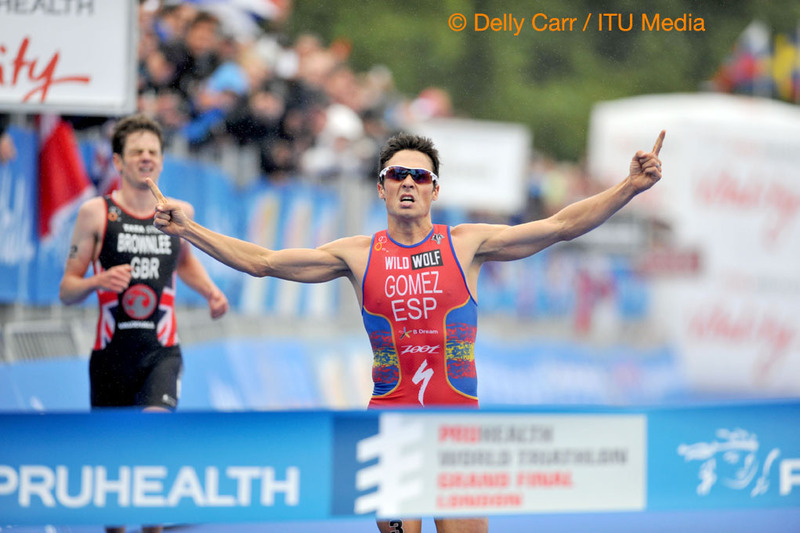 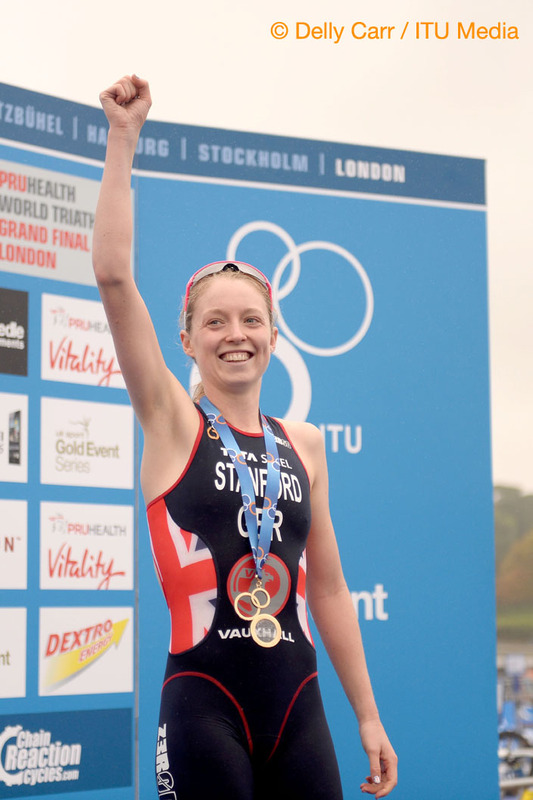 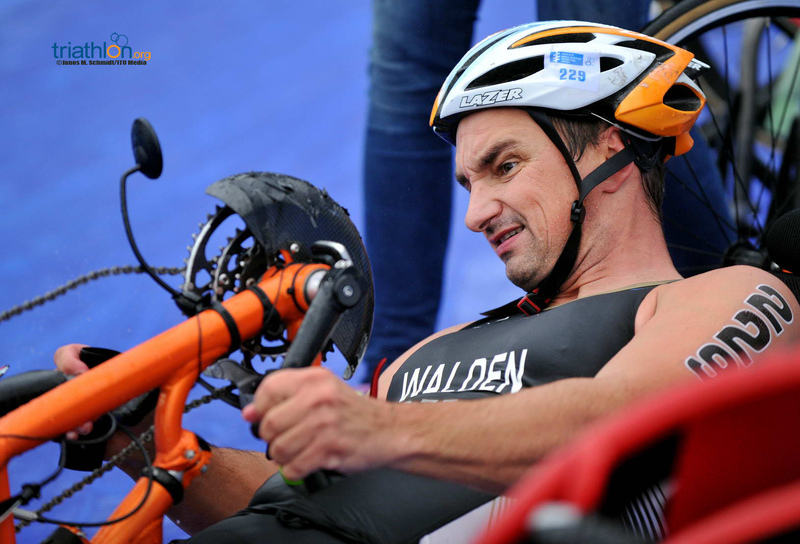 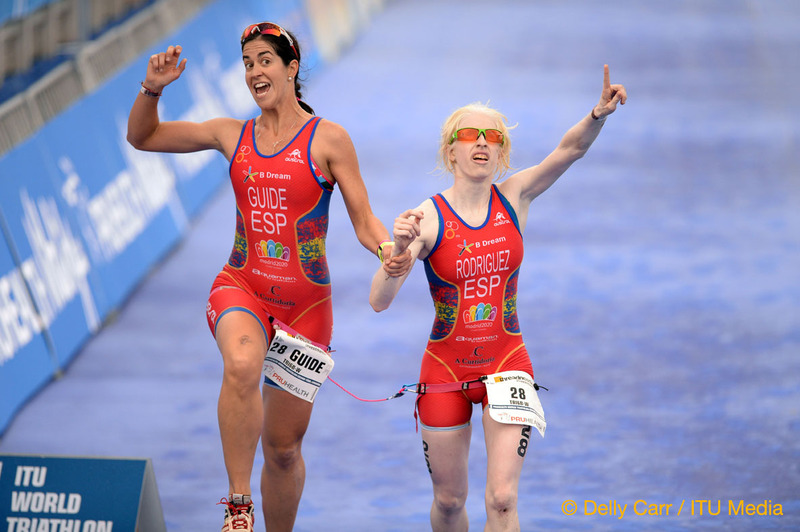 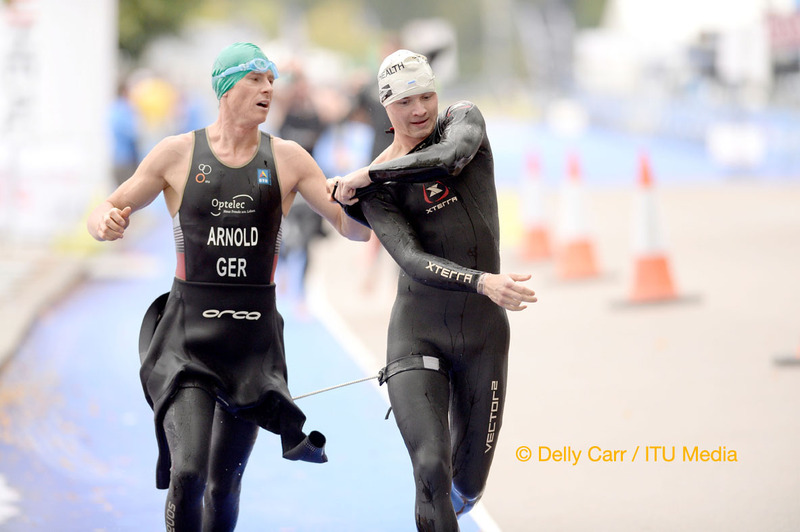 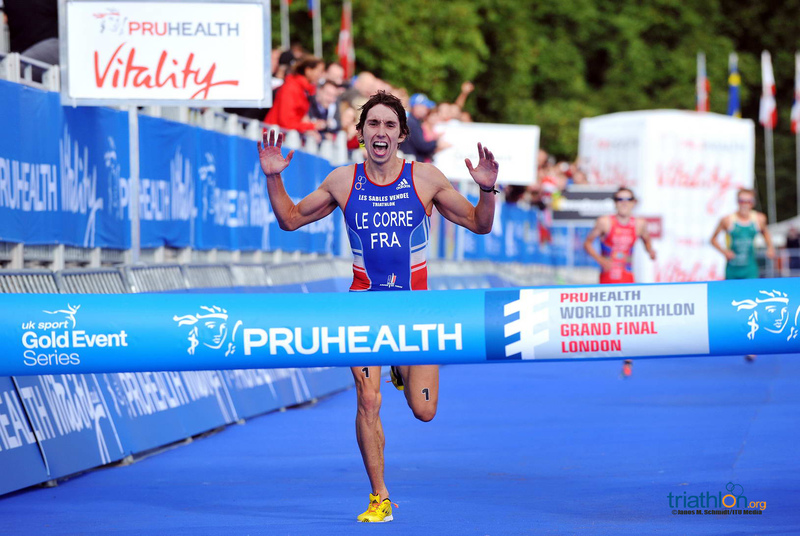 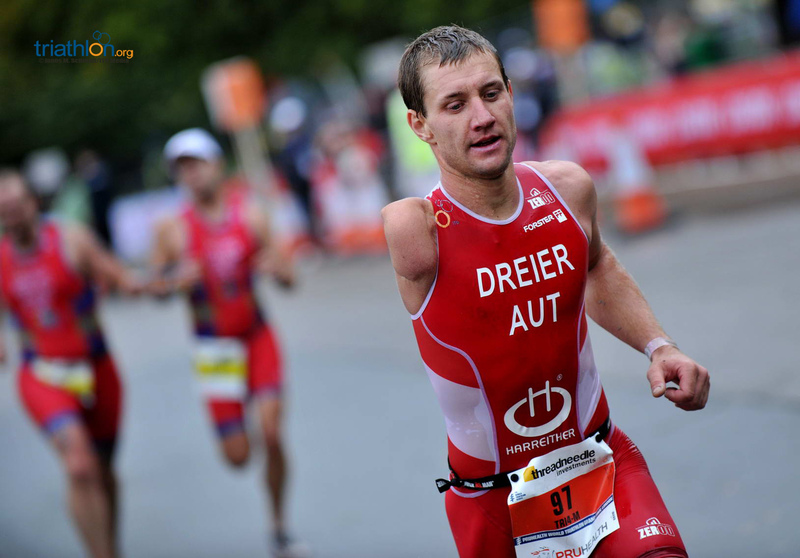 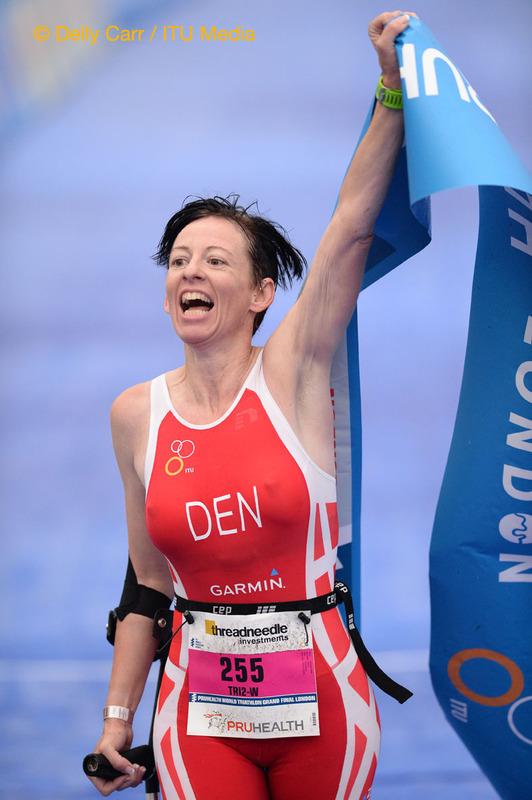 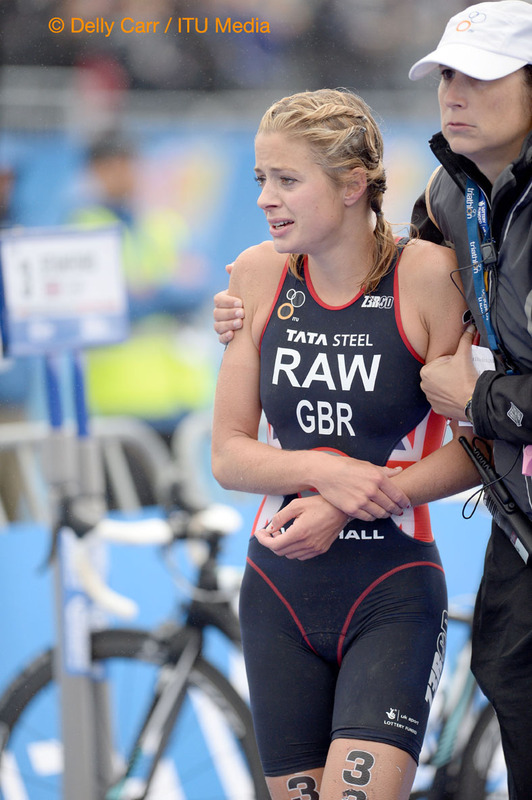 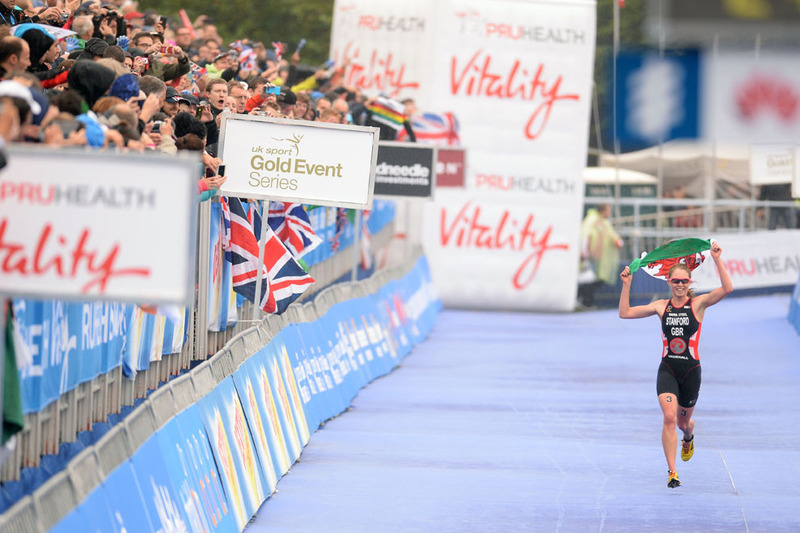 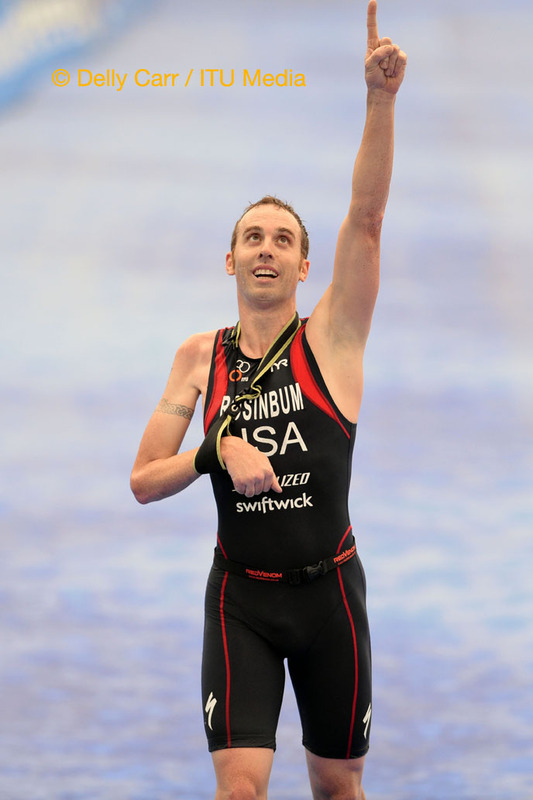 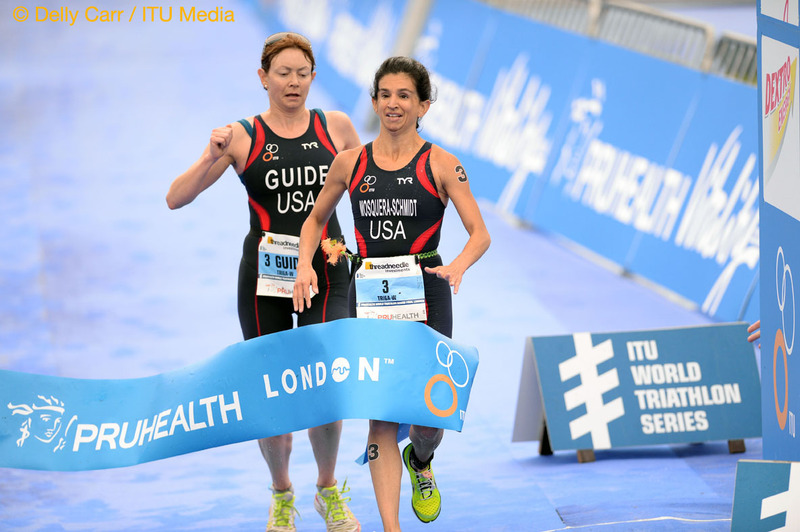 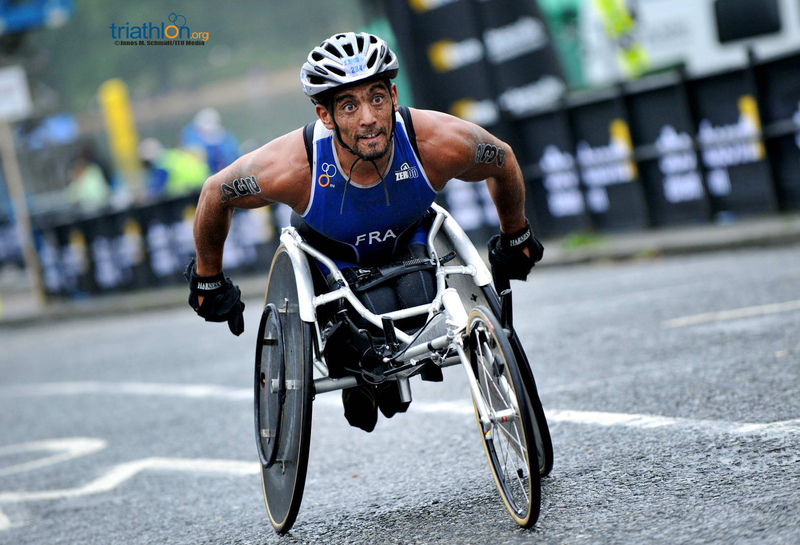 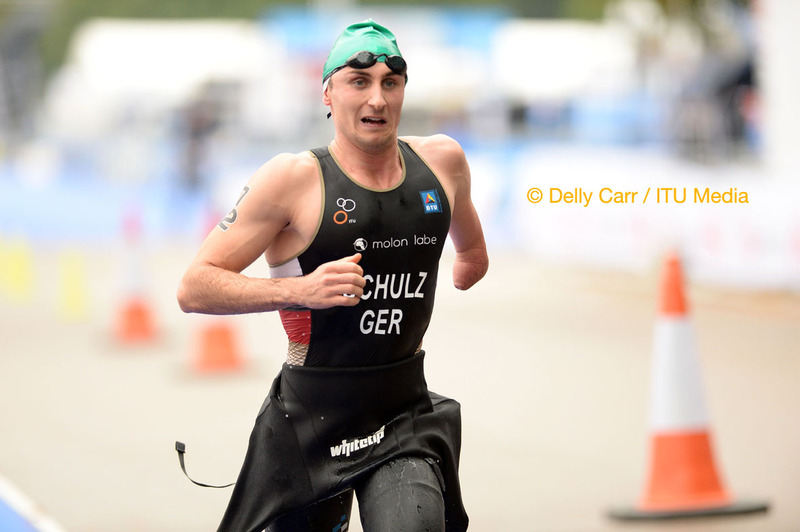 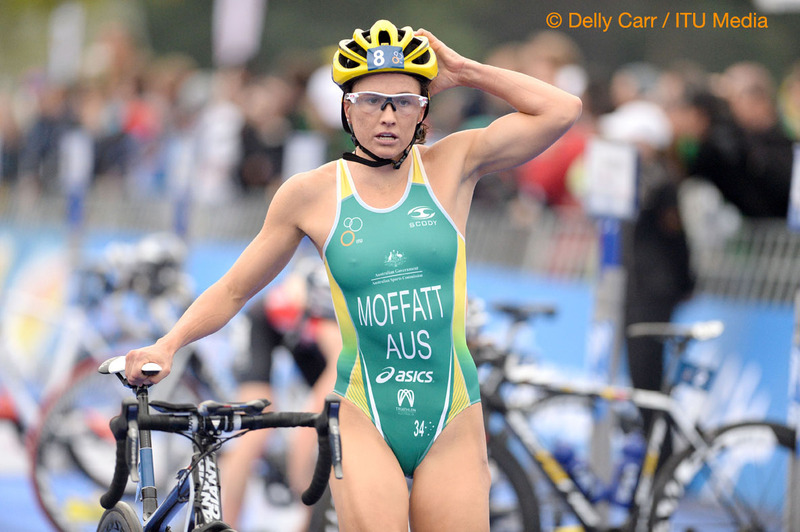 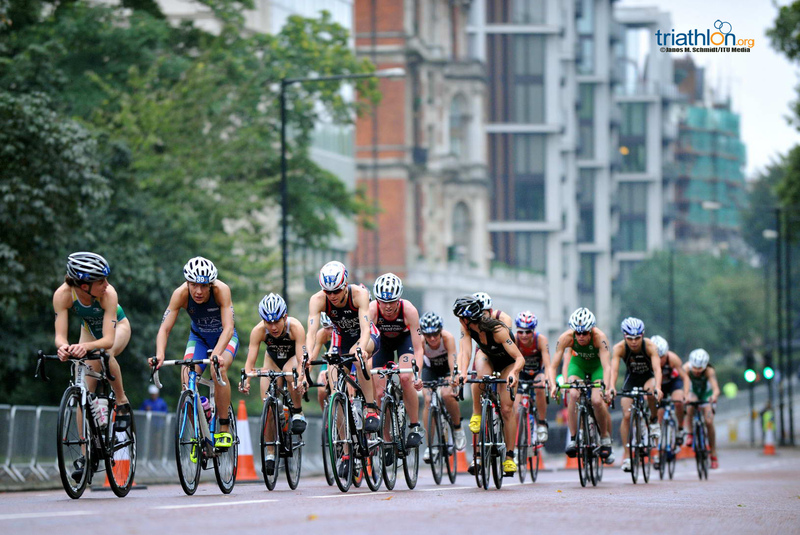 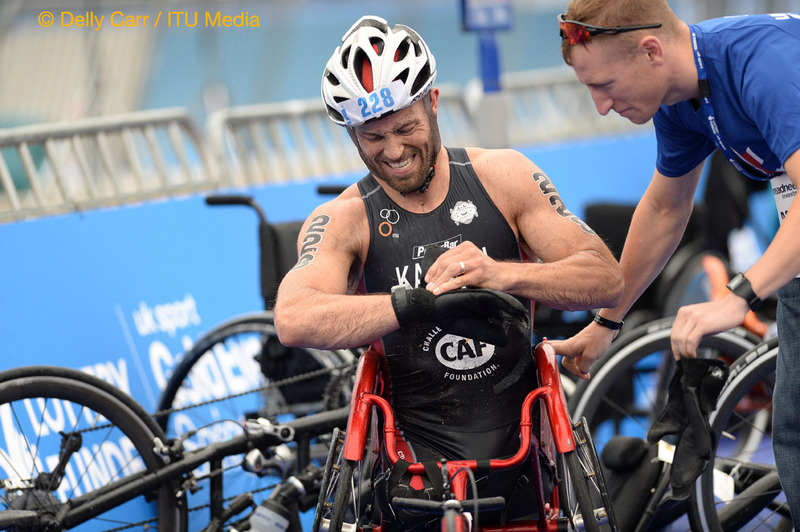 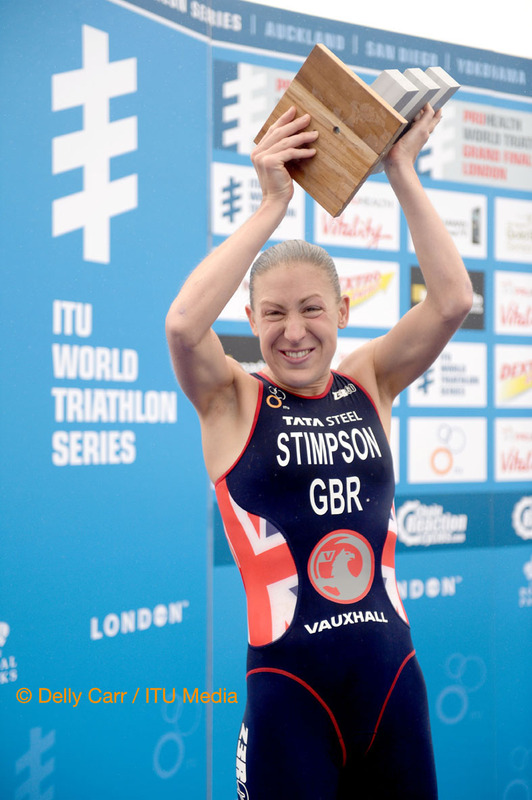 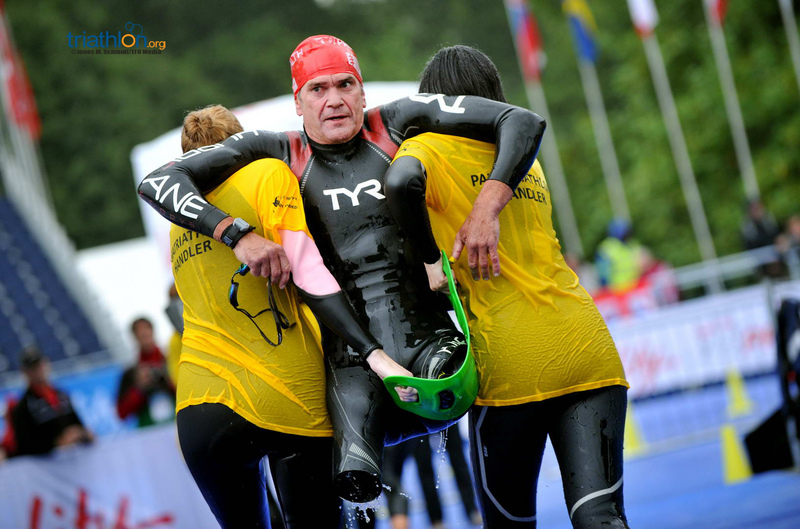 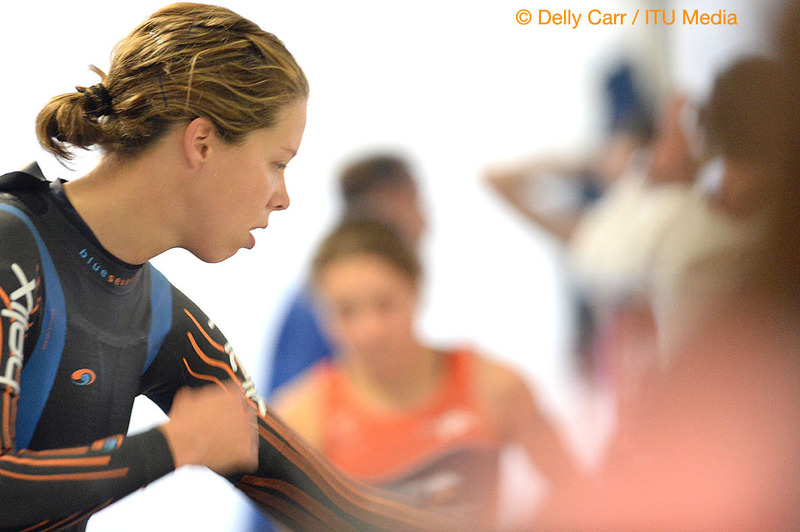 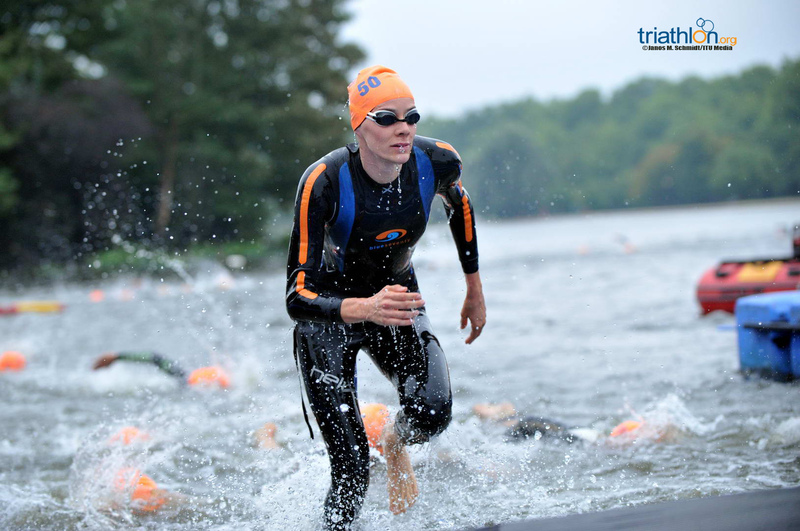 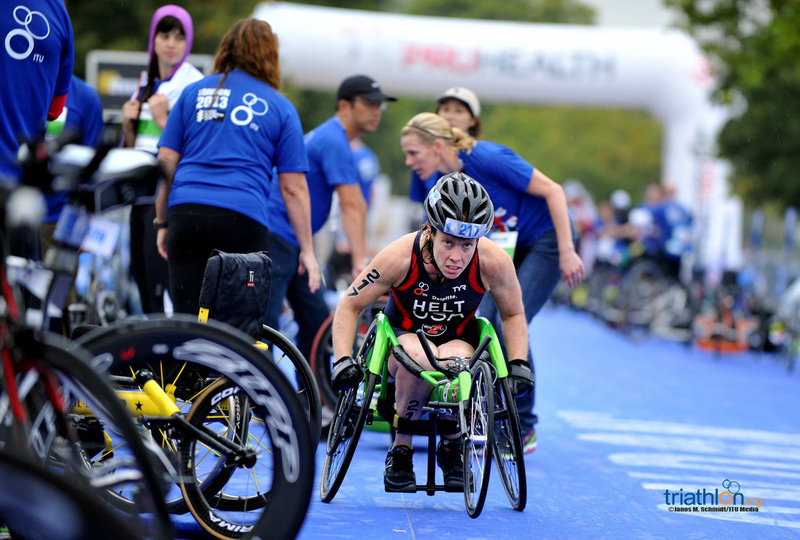 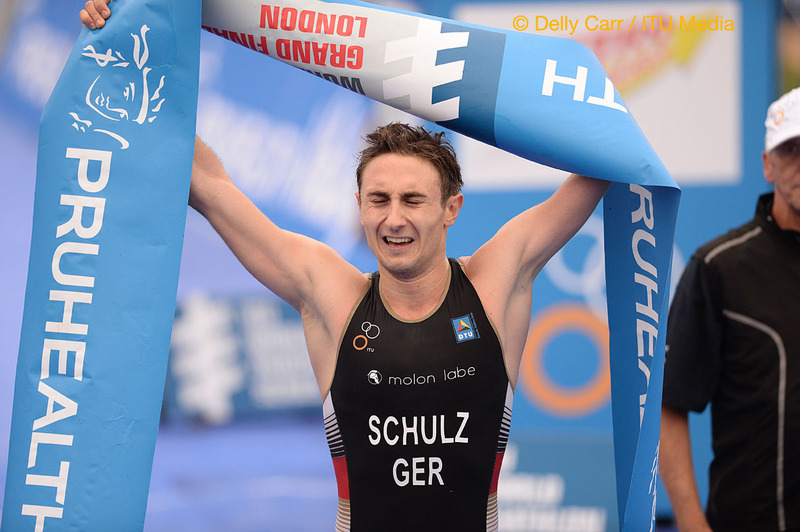 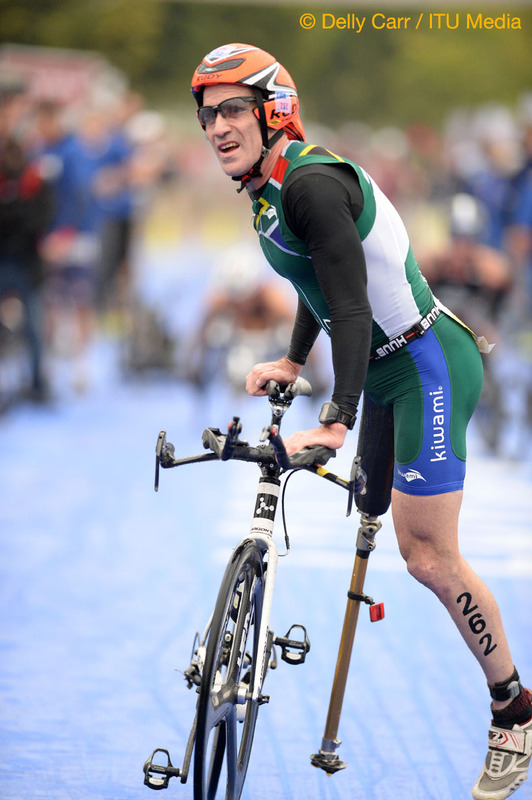 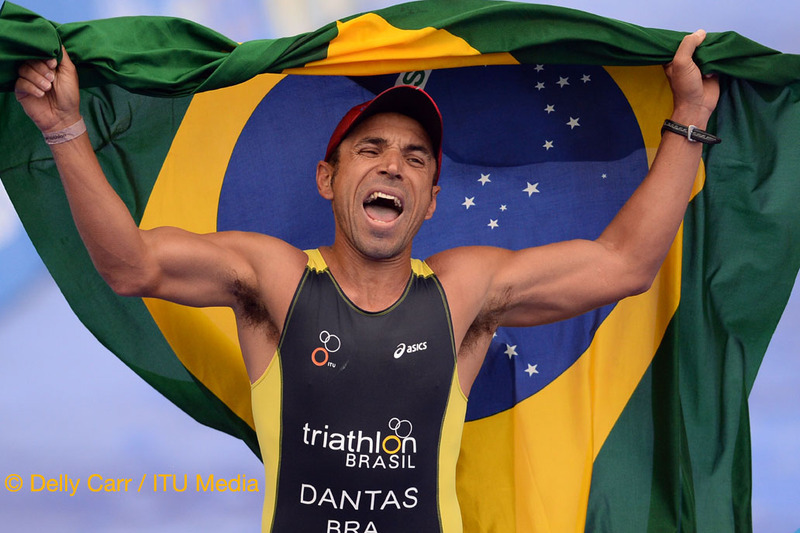 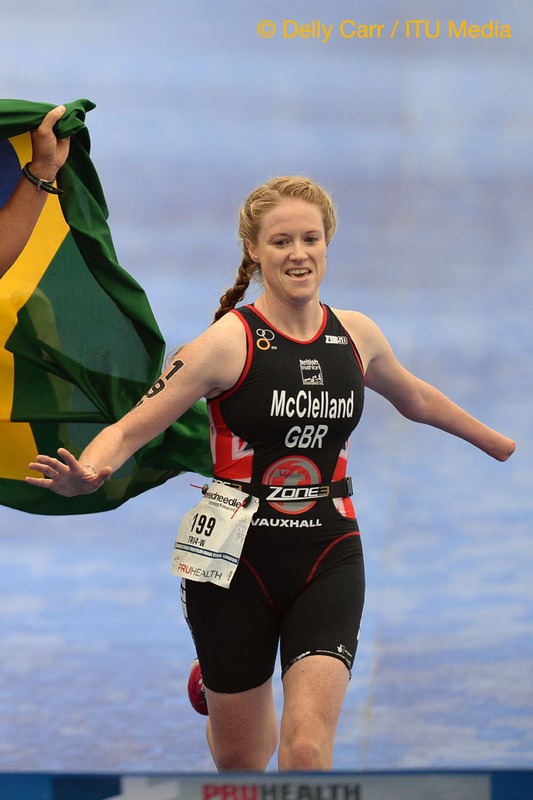 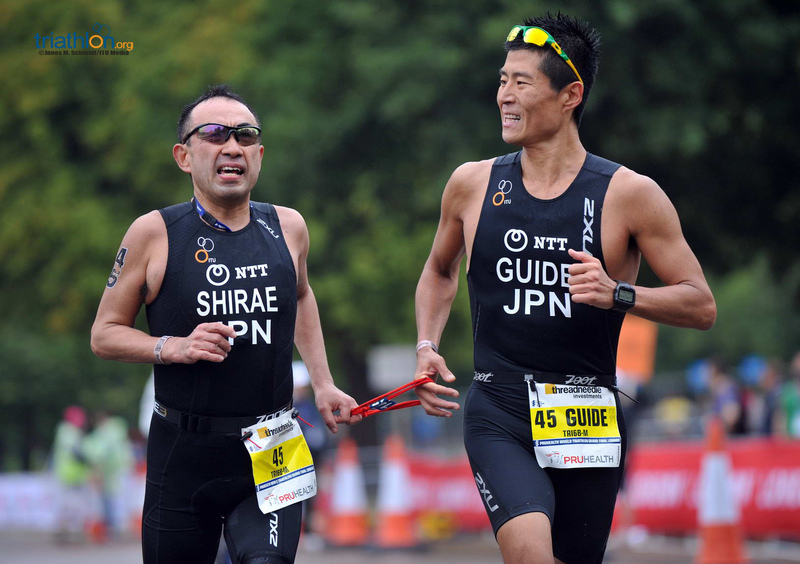 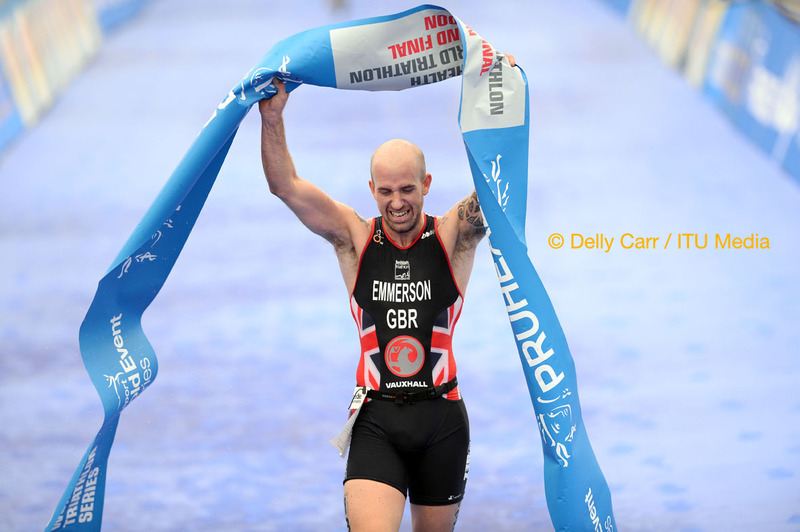 There is just a little over one week to go until the world's best triathletes land in London to contest the PruHealth World Triathlon Grand Final London, so it's time again to share some of those athletes inspiring stories.